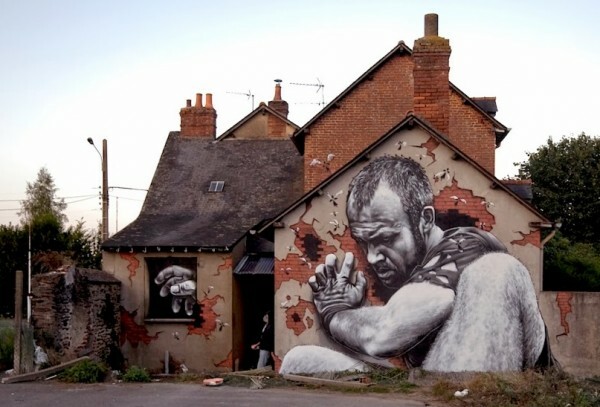 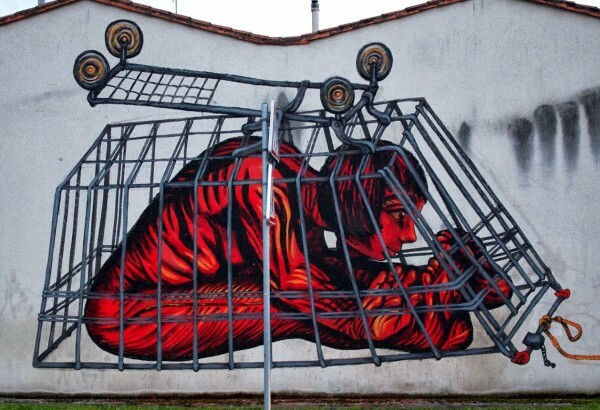 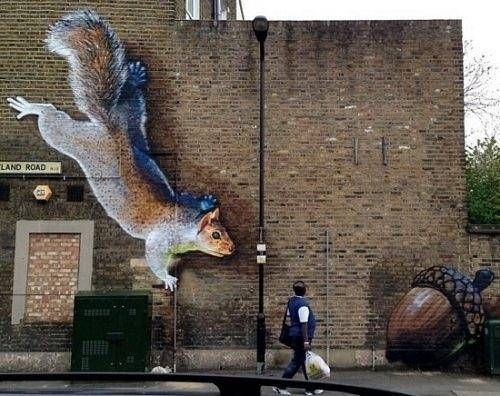 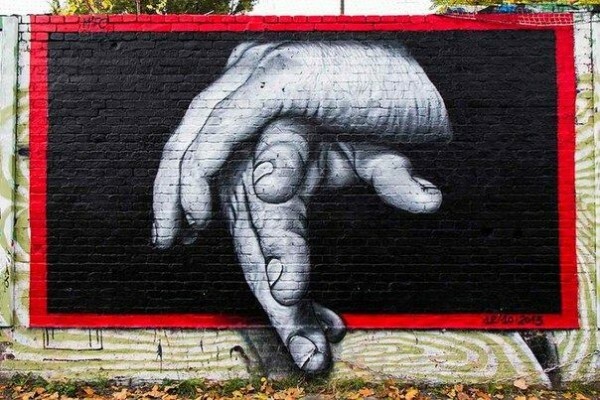 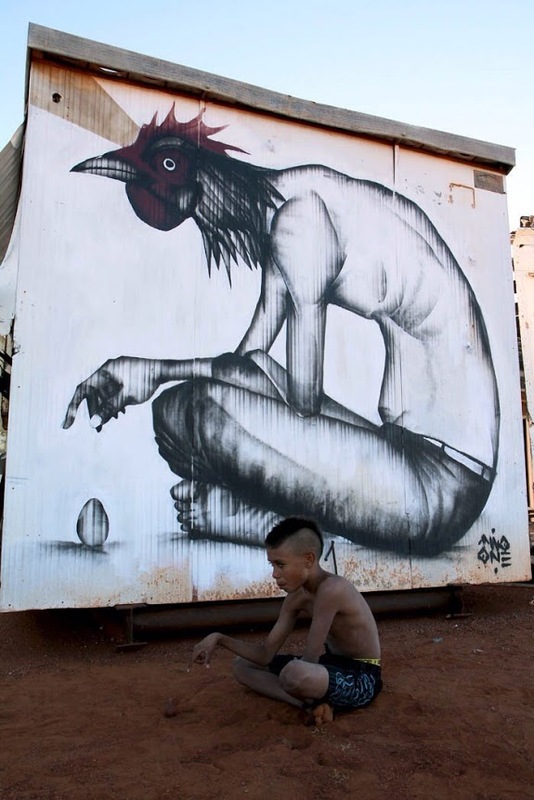 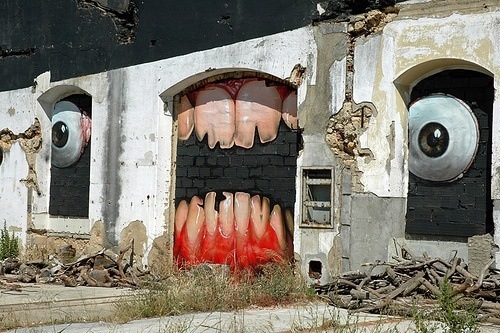 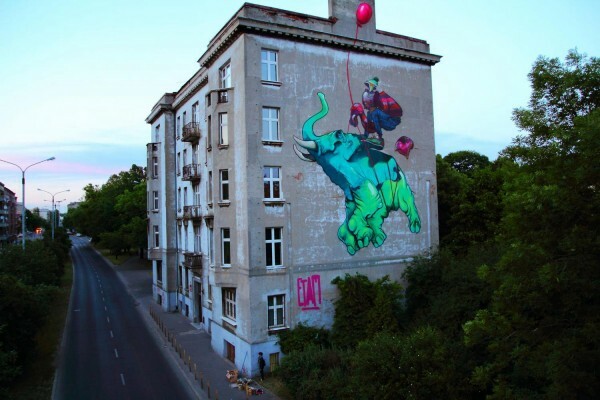 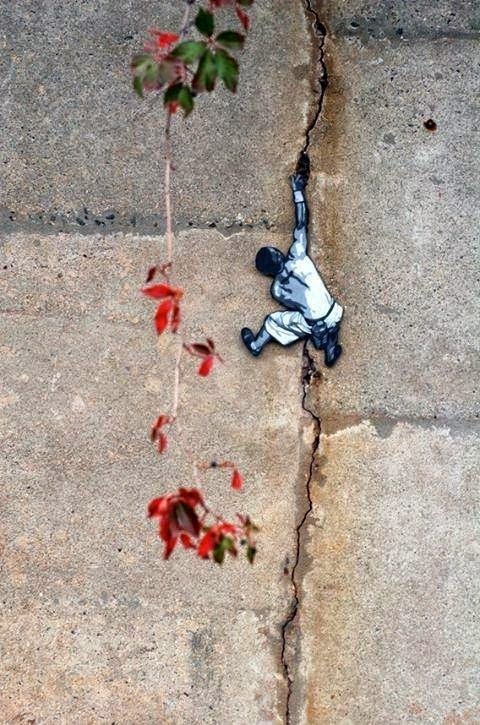 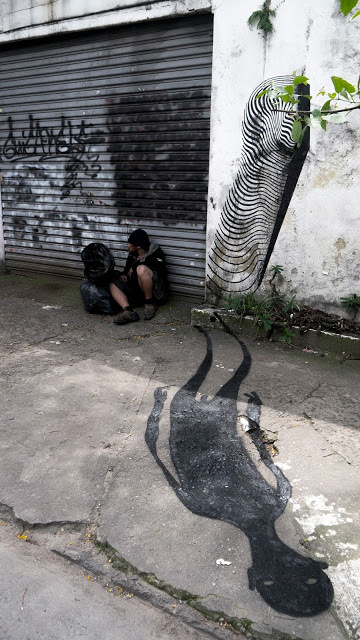 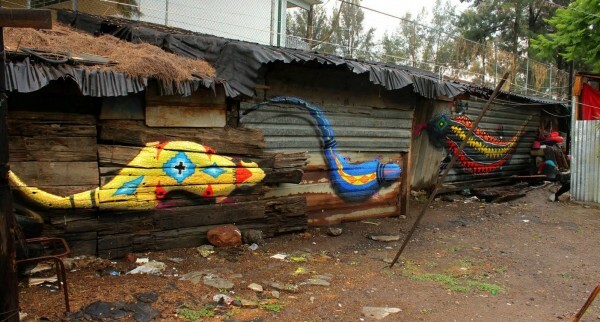 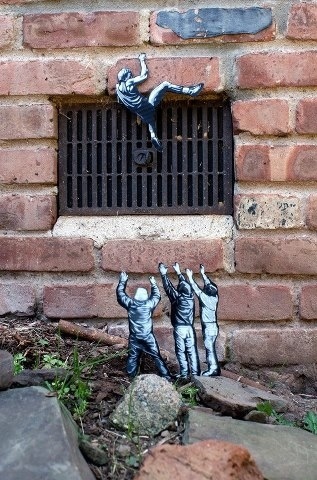 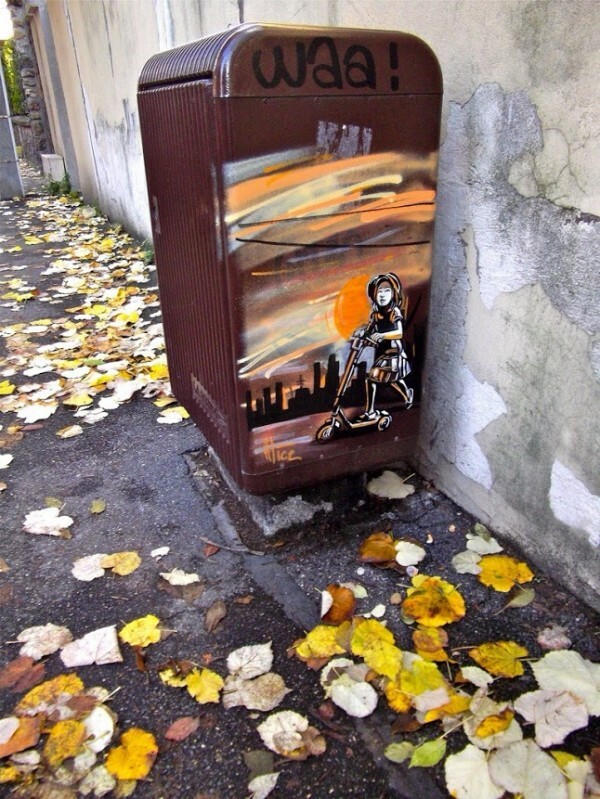 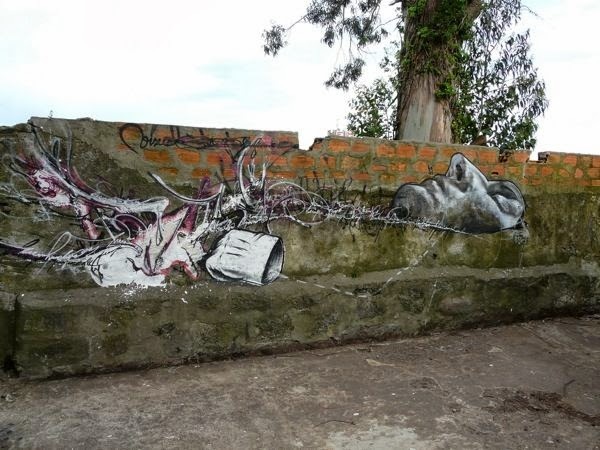 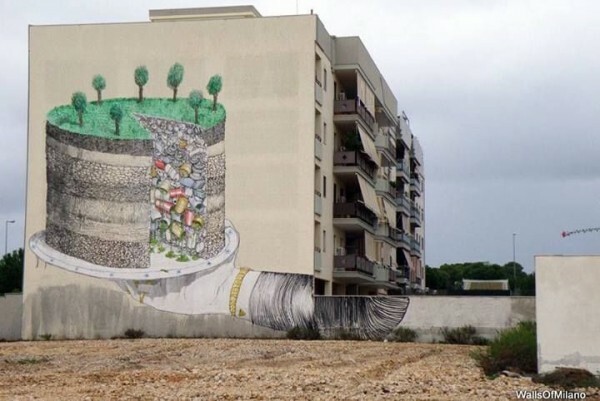 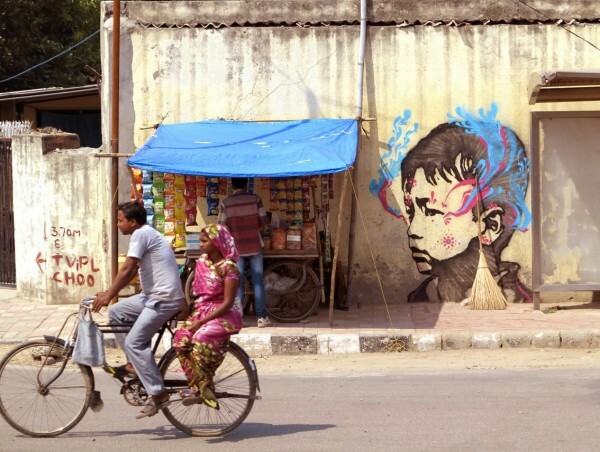 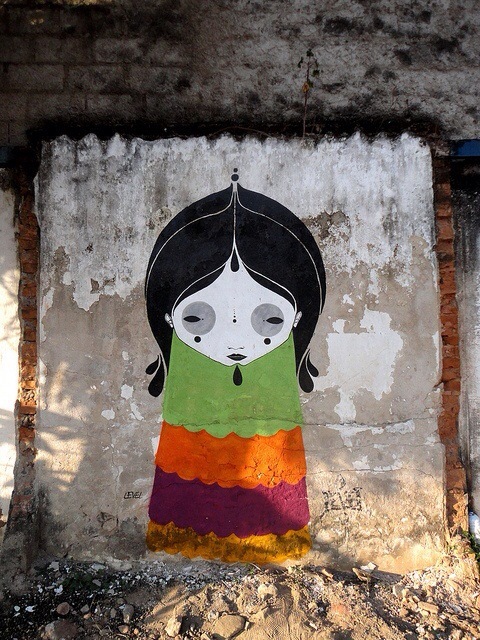 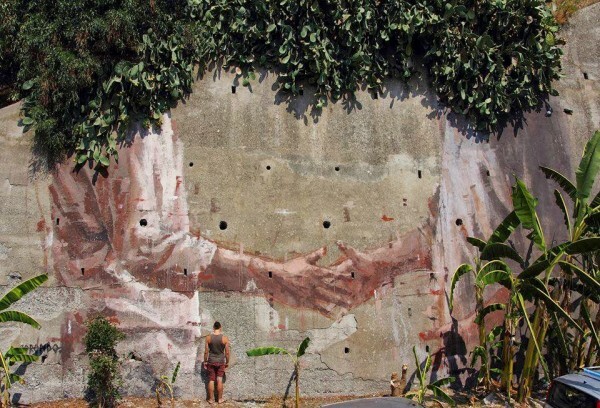 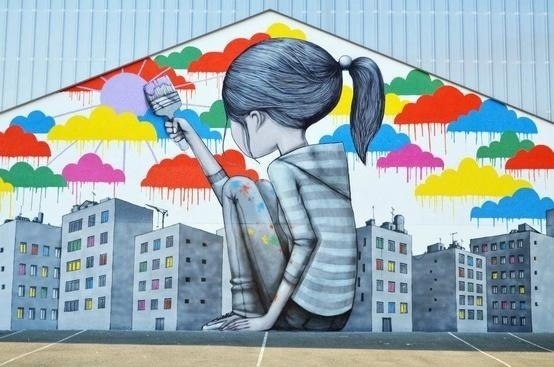 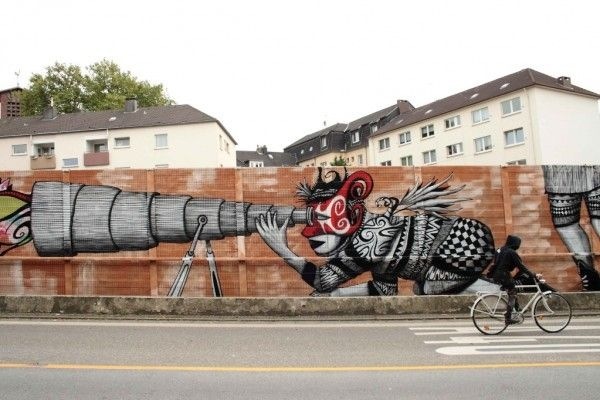 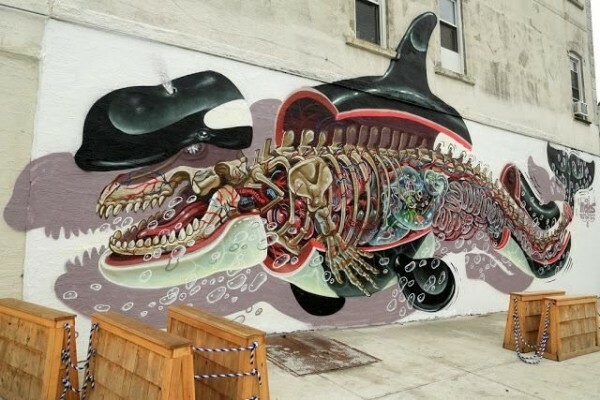 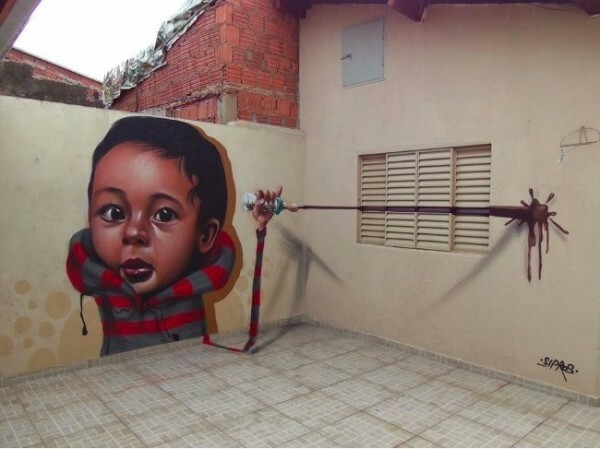 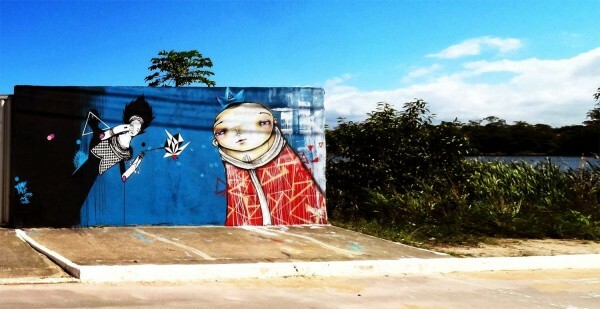 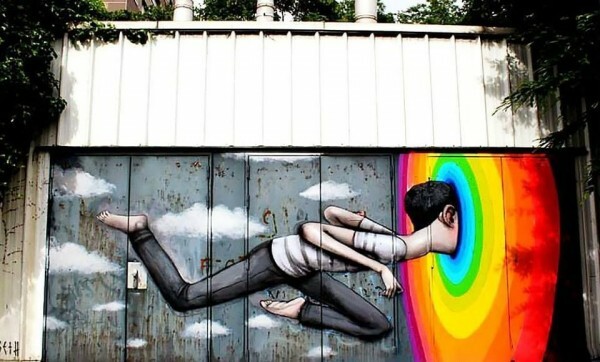 Latest collection of amazing street art from world urban artists who make our planet a more interesting place to live. 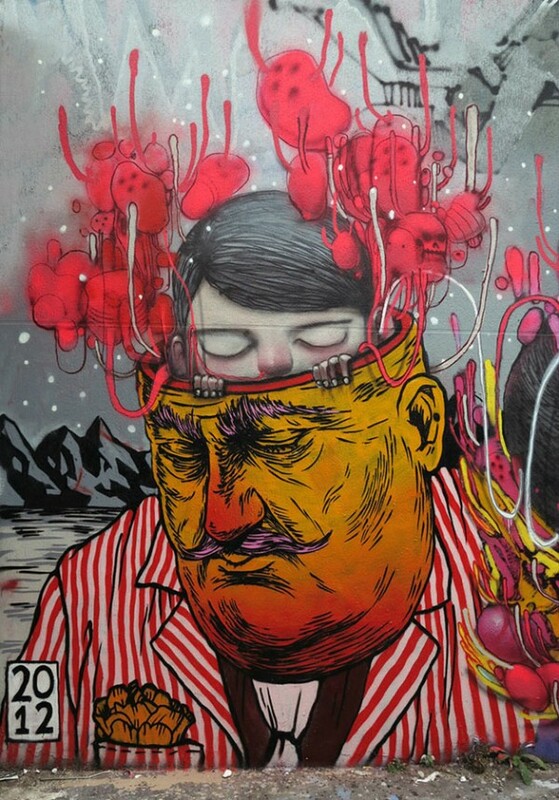 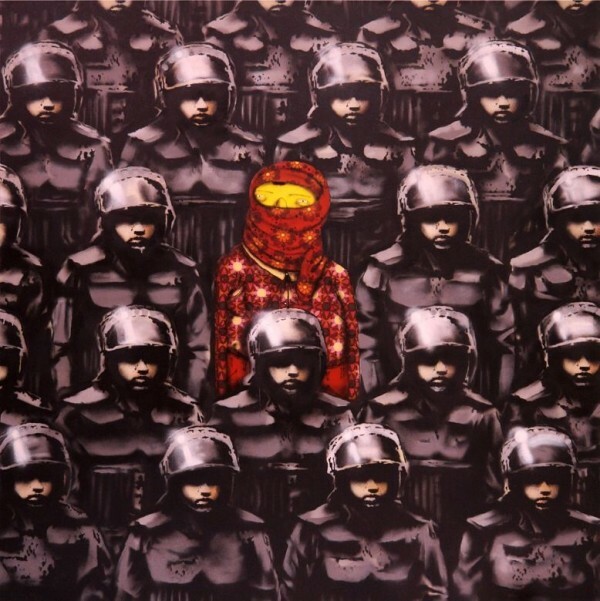 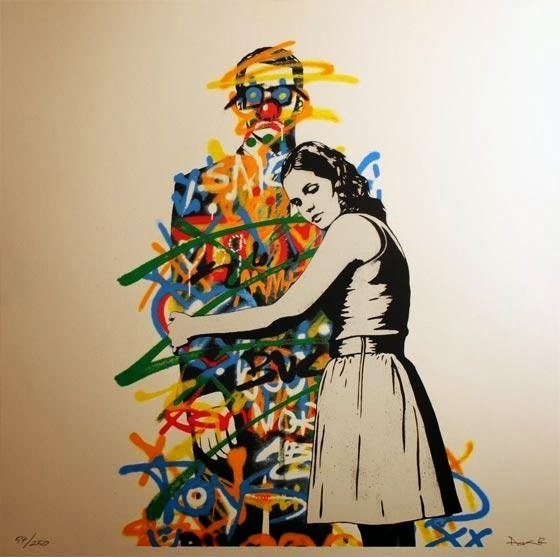 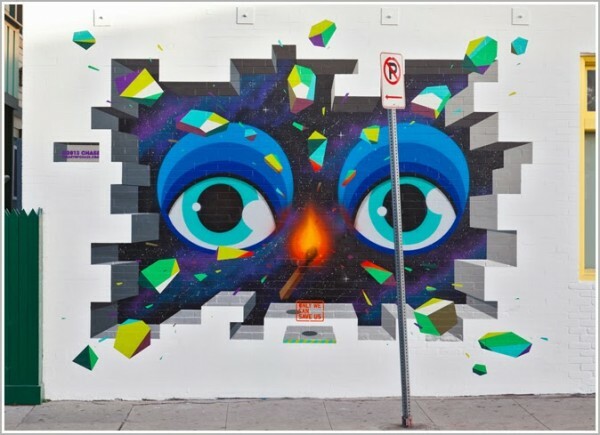 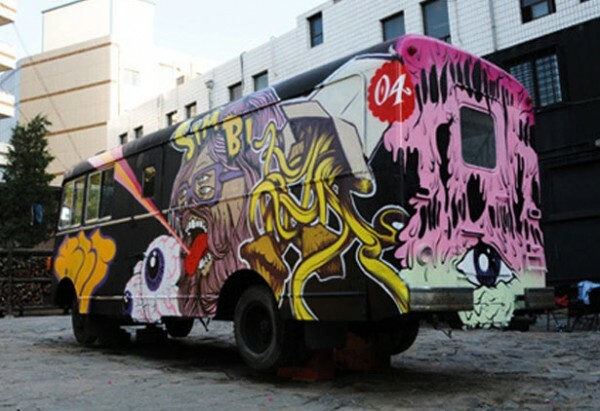 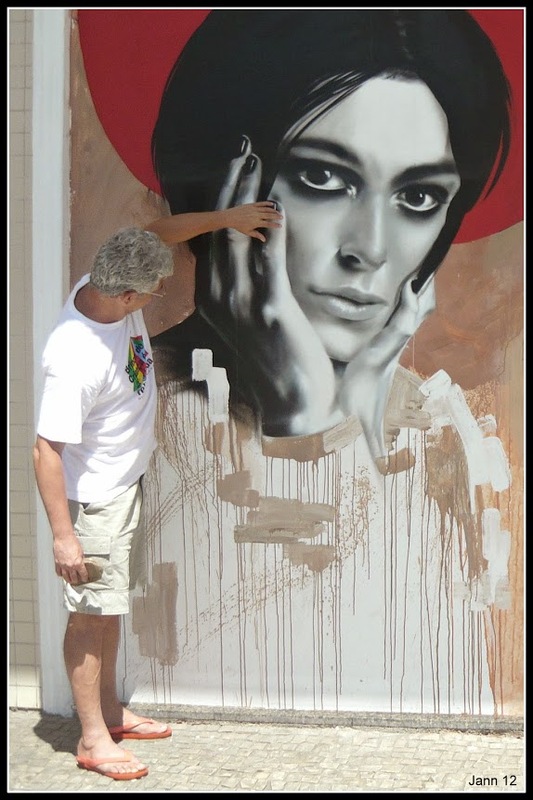 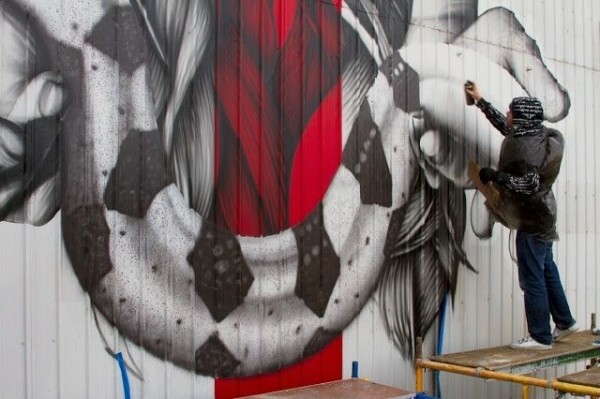 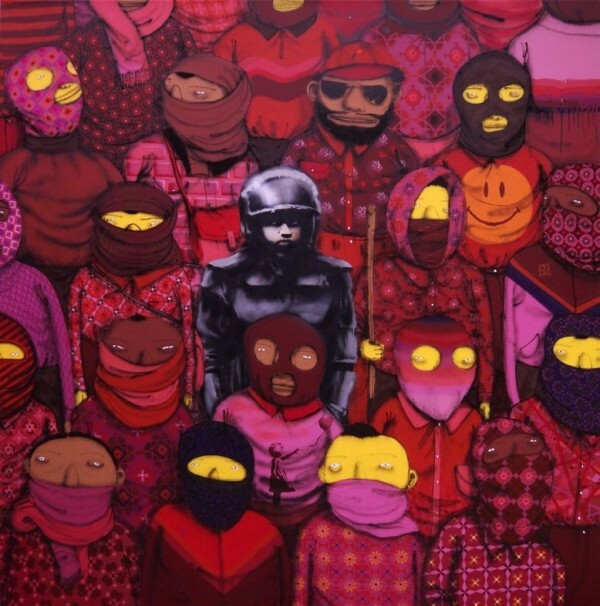 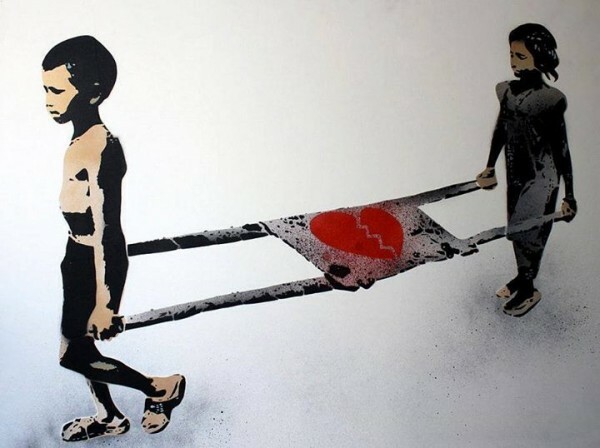 Check out some awesome work from artists such as SmugOne, Sam3, Swoon, Bart Smeets, Etam Cru, Okuda and many more. 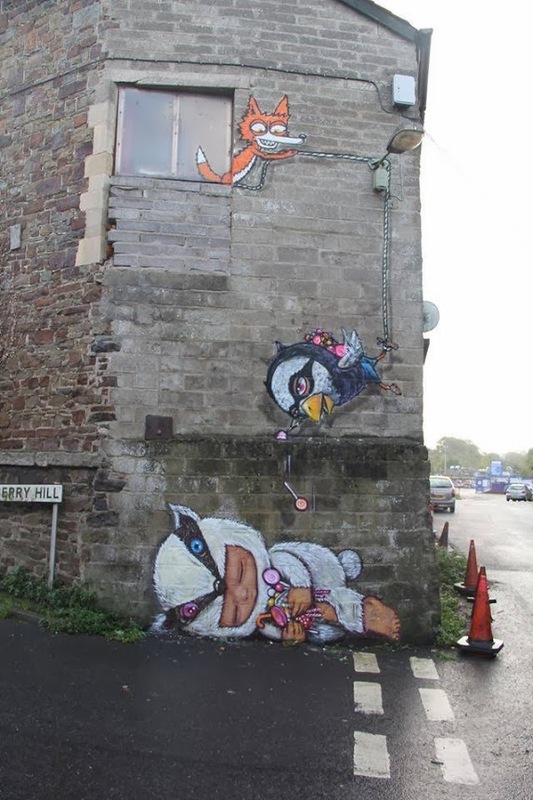 See more street art online in Mr Pilgrim’s street art blog or catch up with the very latest street art posts on Mr Pilgrim’s google page. 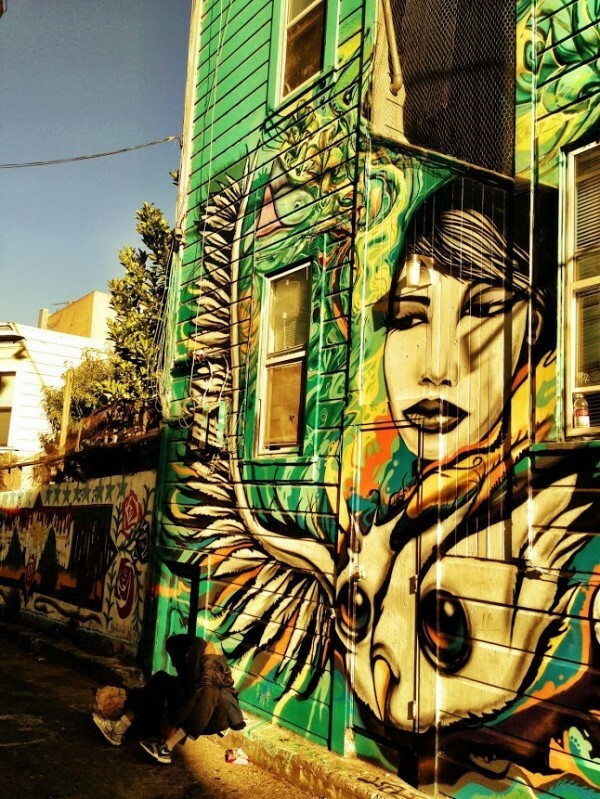 DISCLAIMER: All images are copyrighted by their respective owners unless otherwise stated. 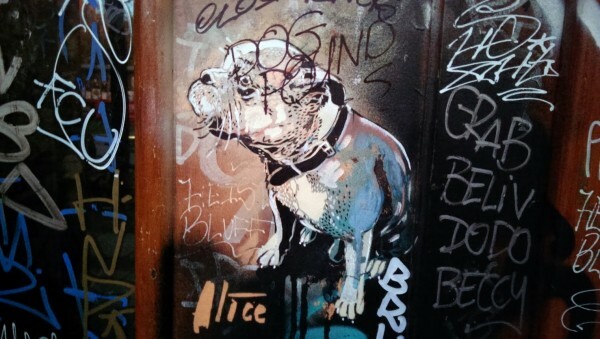 None of the images in this blog are property of Mr Pilgrim unless stated otherwise. 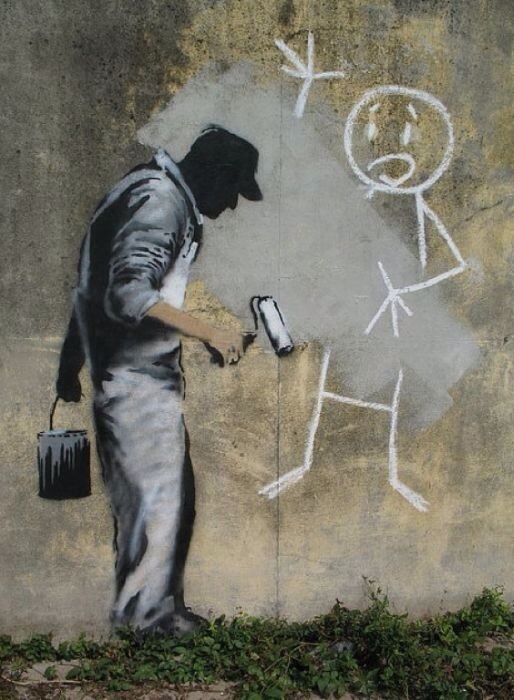 FOR PHOTO OWNERS: If it happens that you see your work posted here, and you don’t want it to be, and you want it removed/credited, please email using the contact me page. 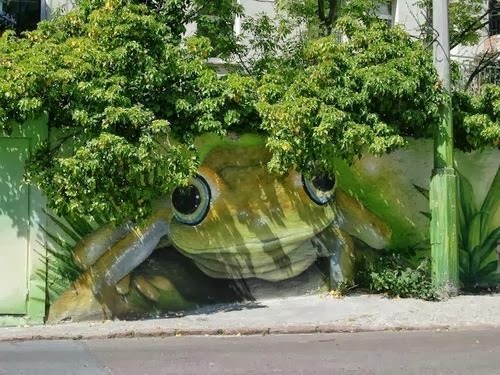 FOR OTHERS: If you see a photo/video that is not properly credited, and you know the real owner, or artist please let me know using the contact me page. 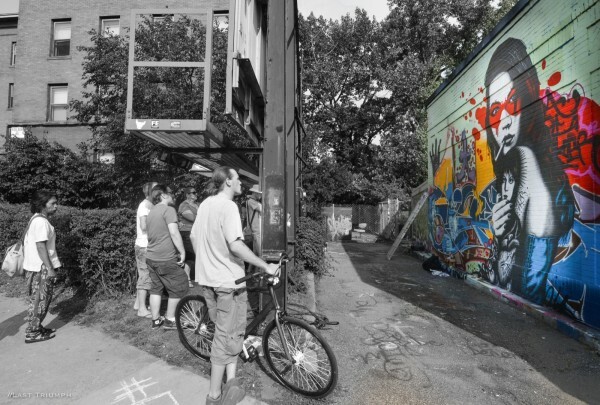 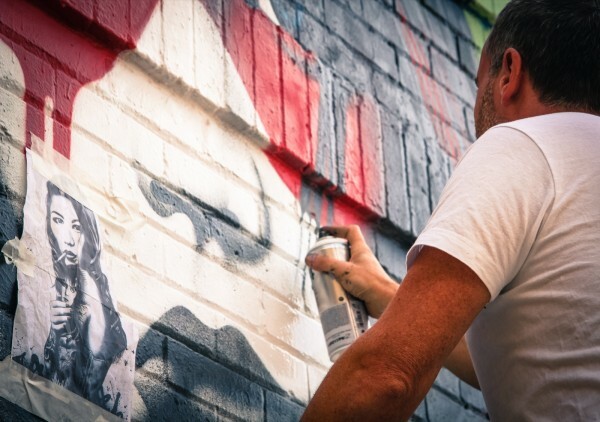 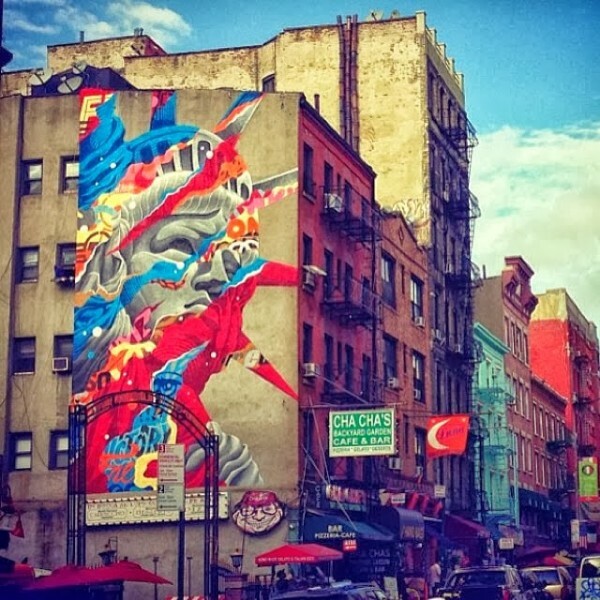 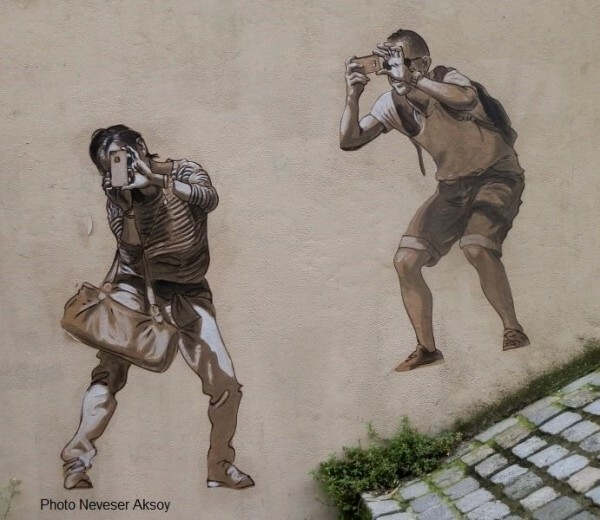 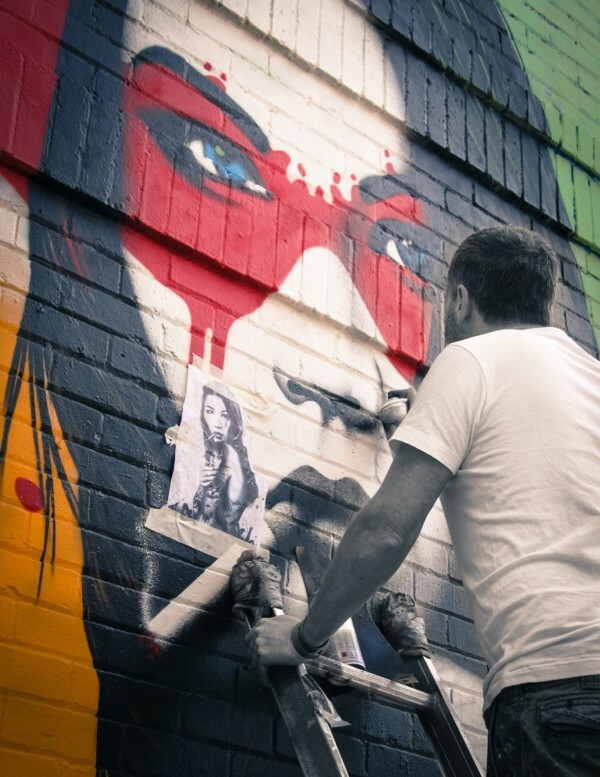 Discover the world of street art from the professionals who bring this amazing world to light at amazing sites such as Brooklyn Street Art, Street Art News and Colossal. 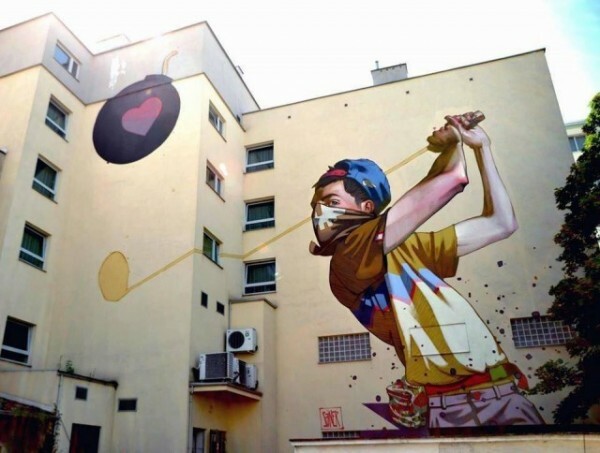 Here’s the latest volume of amazing street art and world graffiti art from some of the best urban artists in the world. 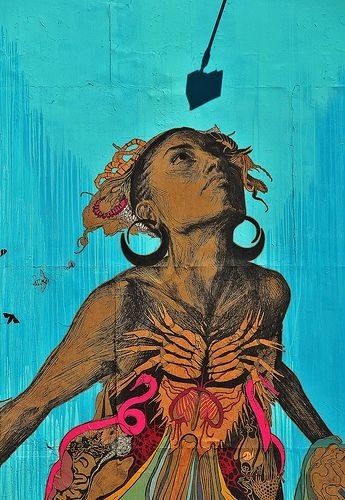 This volume includes incredible graffiti art from Borondo, Blek Le Rat, Aryz, Alice Pasquini, David Walker, Deih, L7M, Nychos and many more. 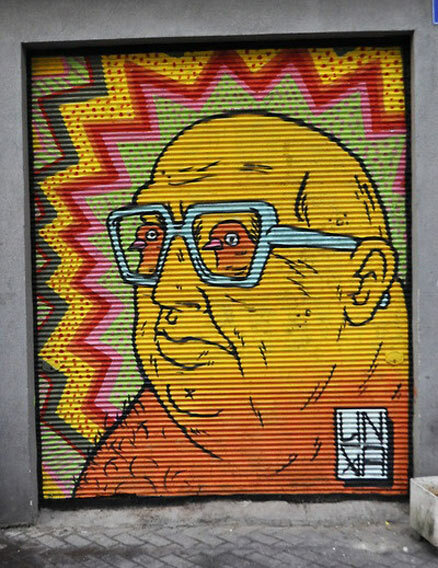 See more in previous posts on Mr Pilgrim street art blog or catch up with the very latest urban art posts on Mr Pilgrim’s street art page. 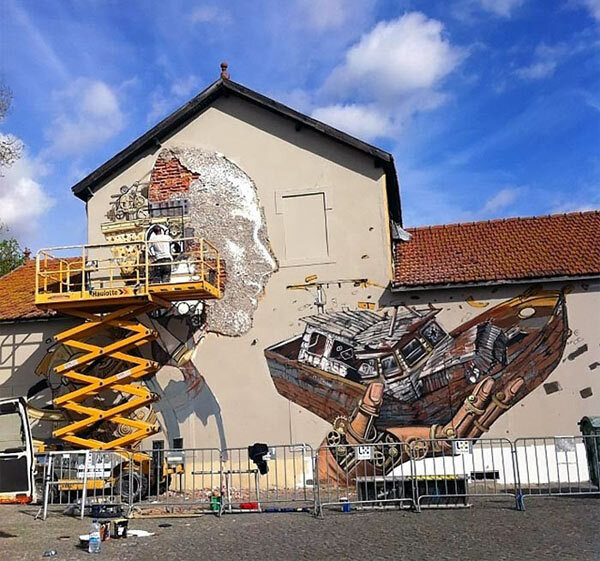 World graffiti art, street art, street artists, urban artists online, urban art, graffiti, free walls, Awer, Faith47, Nychos, Etam Cru, Liliwenn, BomK, DFace, Kobra, Vinz, Miss Van, Borondo, Roa, Swoon, Ben Slow, Ino, Invader, Obey, Dotdotdot, c215, Sam3, Jr, L7M, Deih, Interesni Kazki, Gaia, Jef Aerosol, Dulk, Dolk, David Walker. 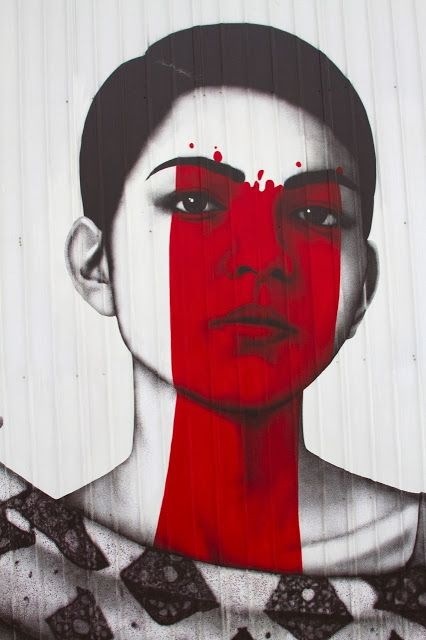 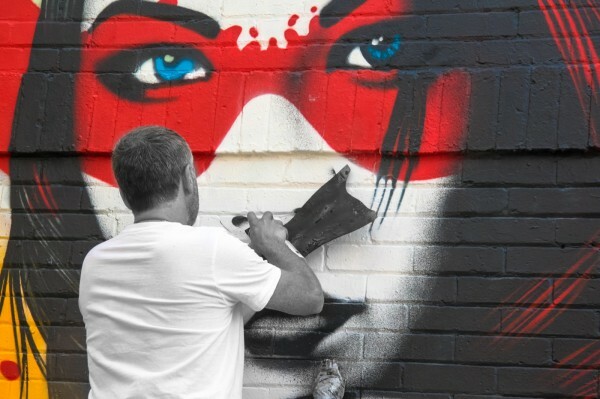 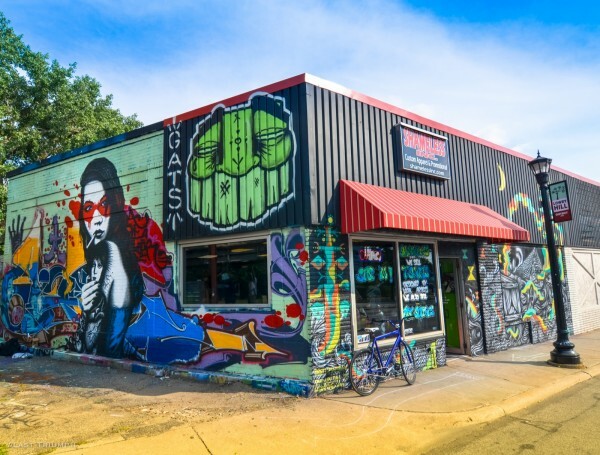 Minneapolis is the largest city in the state of Minnesota in the USA that has played host to the amazing talents of Irish artist Fin Dac who created two great murals there last year. 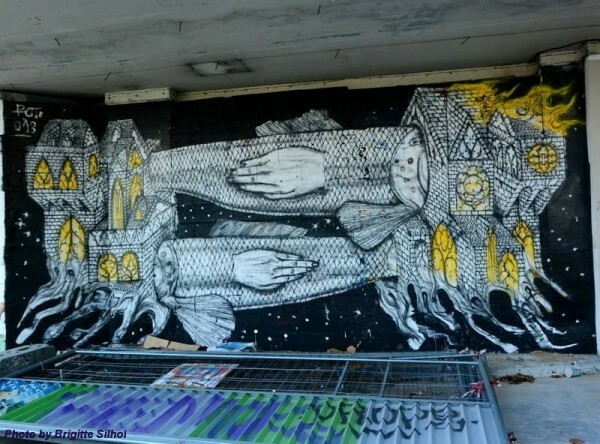 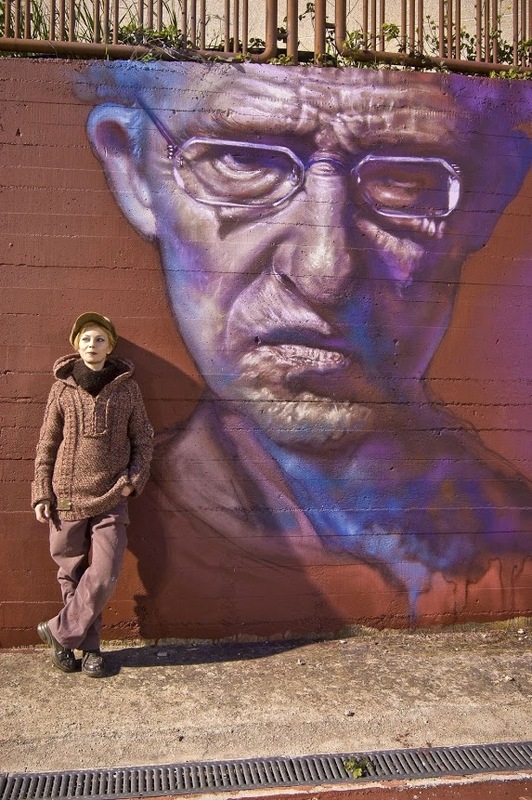 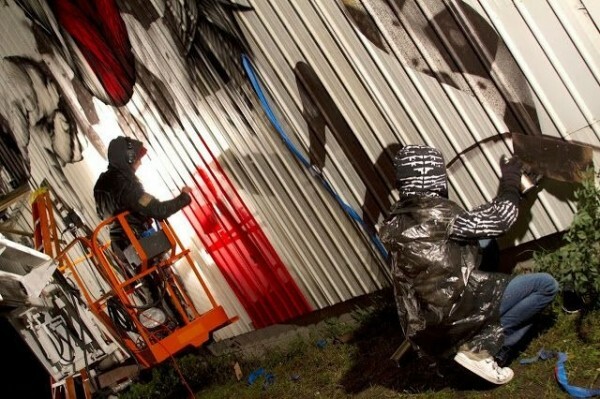 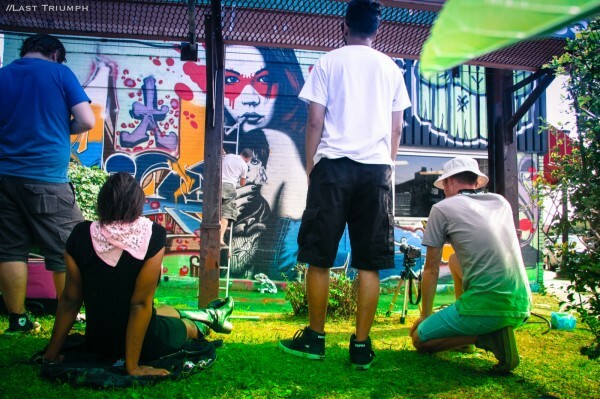 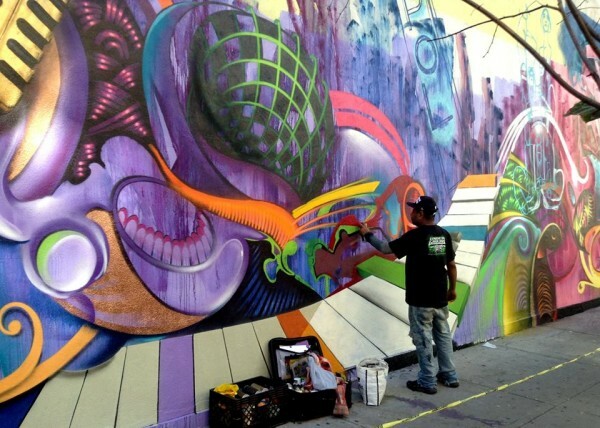 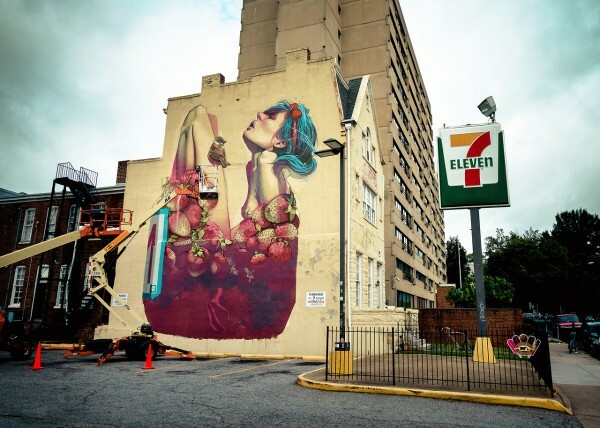 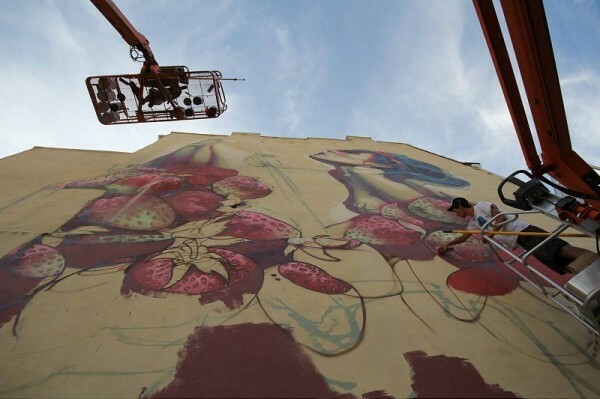 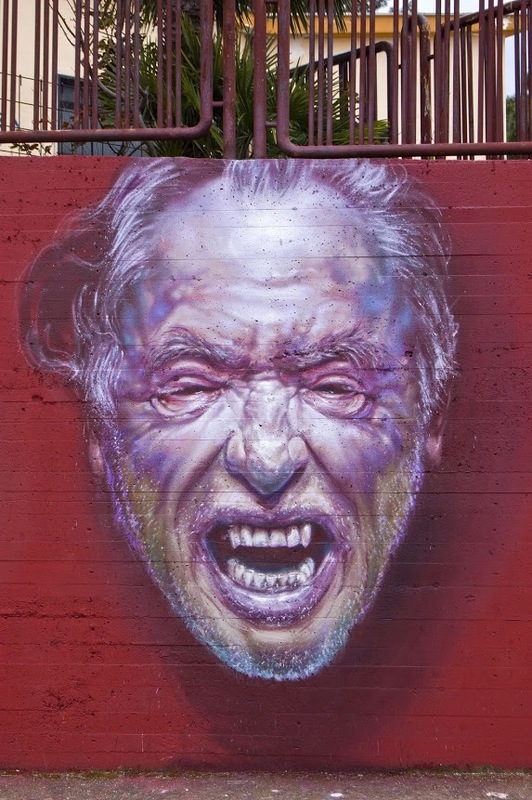 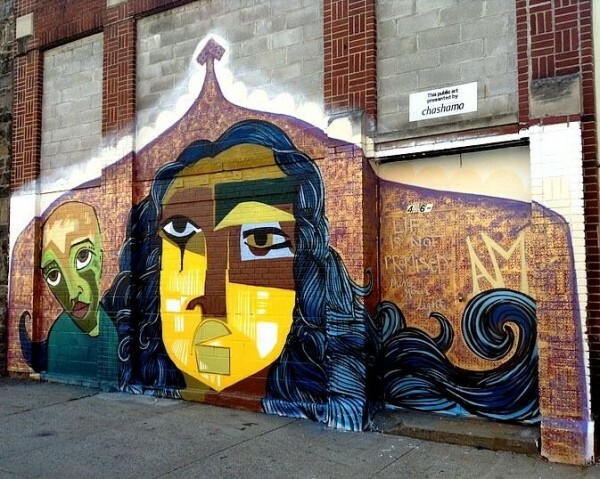 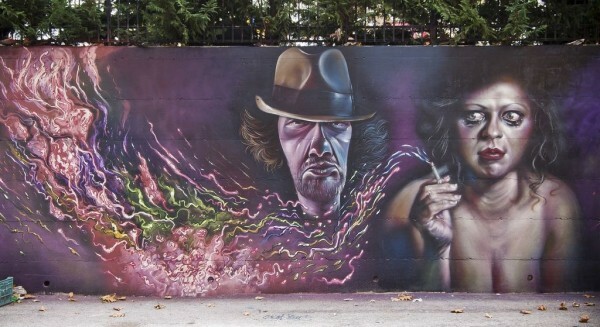 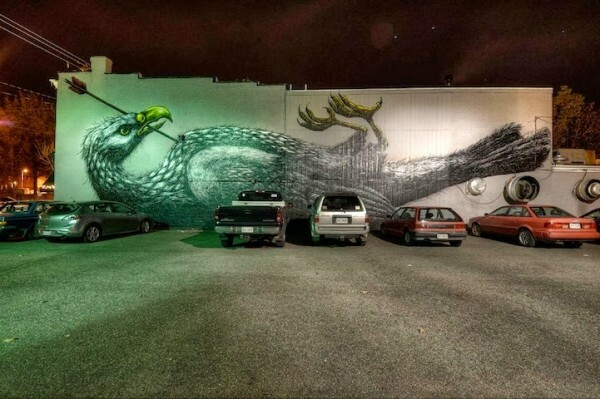 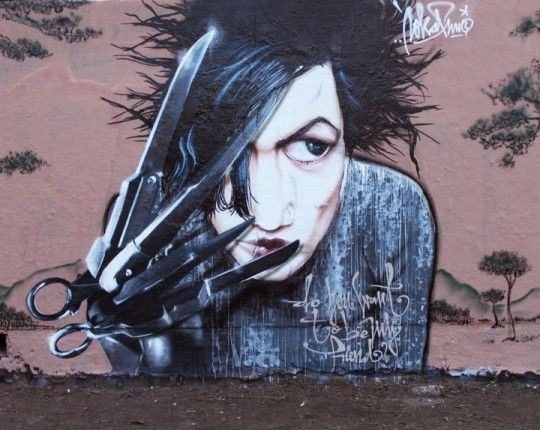 He was accompanied by Angelina Christina of Starfighter Studios back in October 2013 and they both worked on “The Serpenteens” which is the first mural featured. 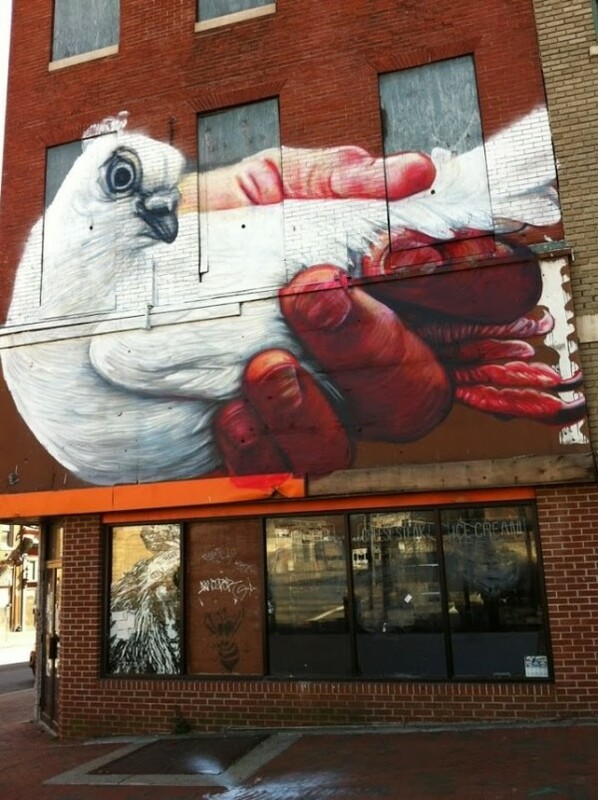 You can find this impressive piece on 3449 North 2nd Street, Minneapolis, MN 55412, USA. 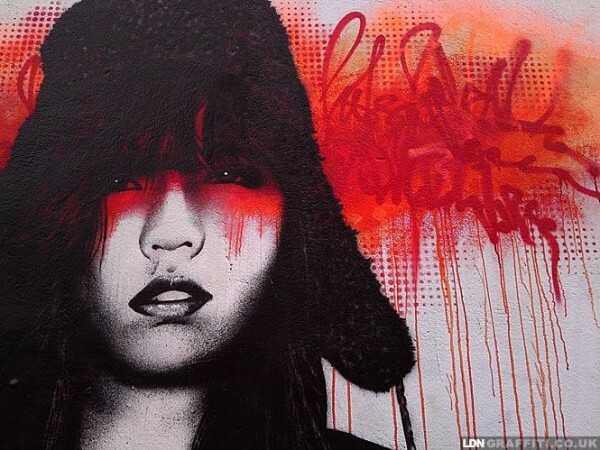 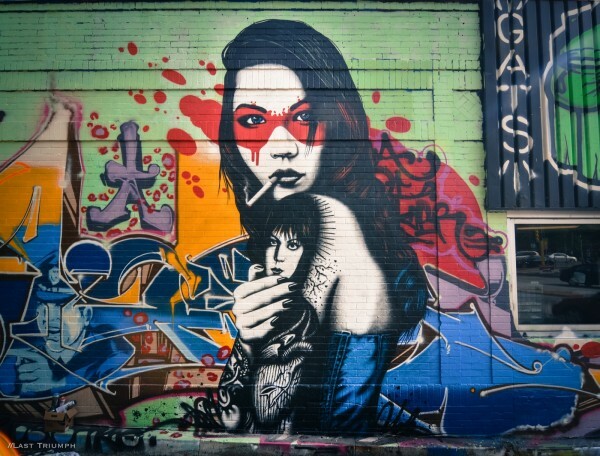 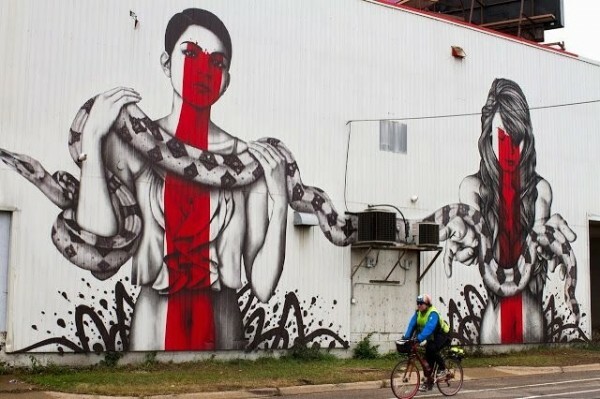 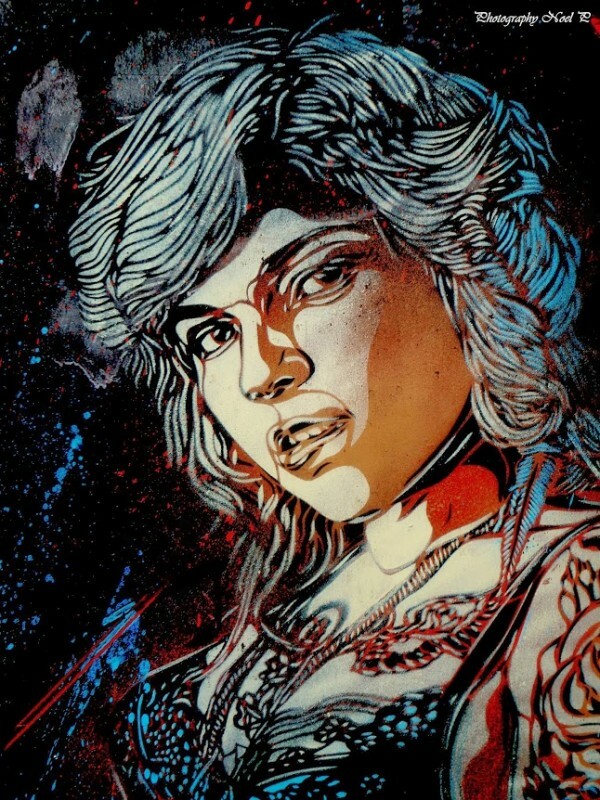 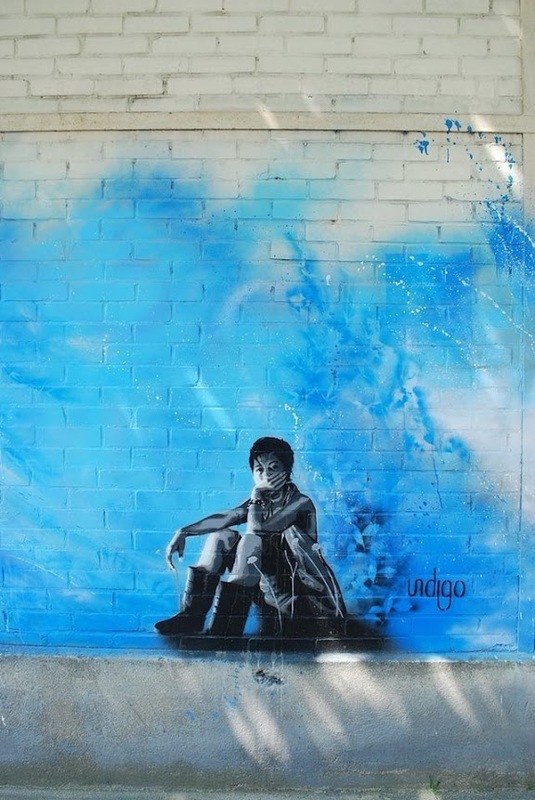 Prior to that in August of 2013 Fin Dac worked on this great mural featuring his almost trademarked hot girl with tattoos which is on the side of the Shameless Inc building on Hennepin Avenue. 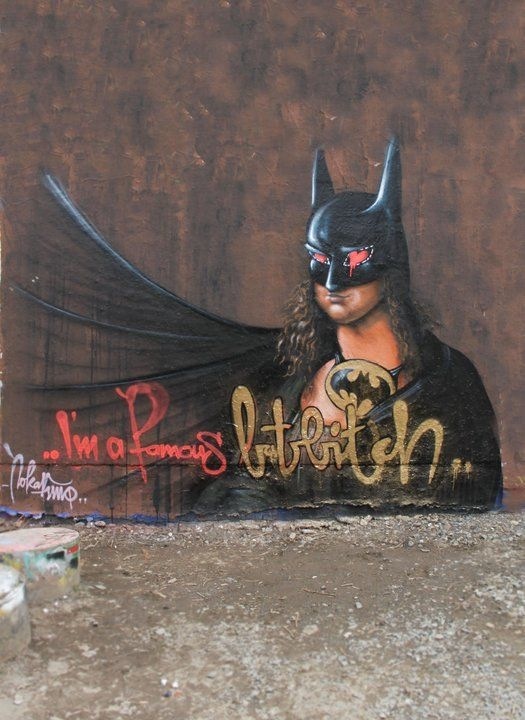 Catch up with more great murals, street art, urban art, graffiti and more on Mr Pilgrim’s street art google page or alternatively check out some more amazing urban art on Mr Pilgrim’s street art blog. 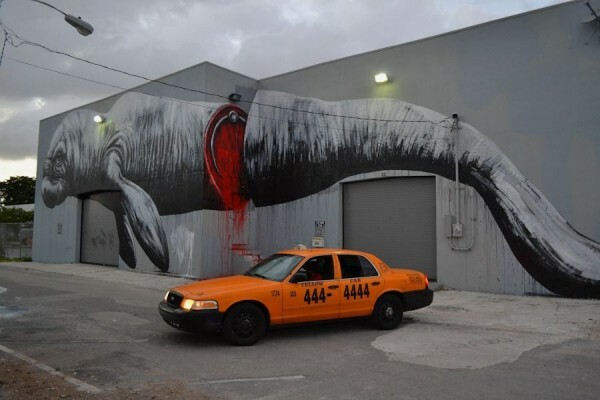 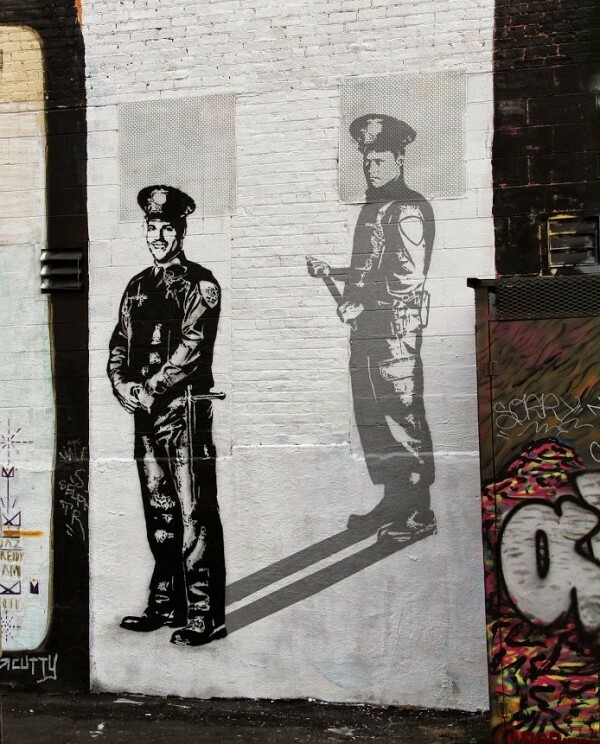 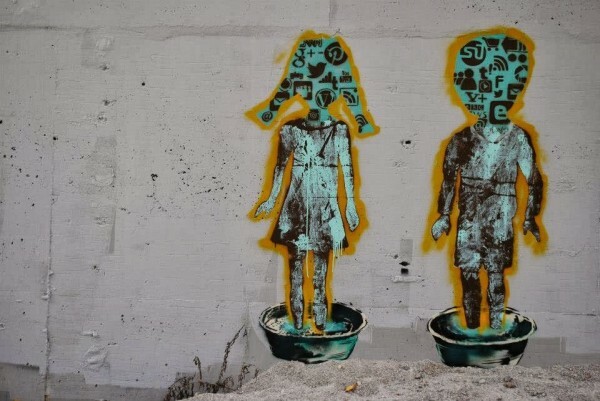 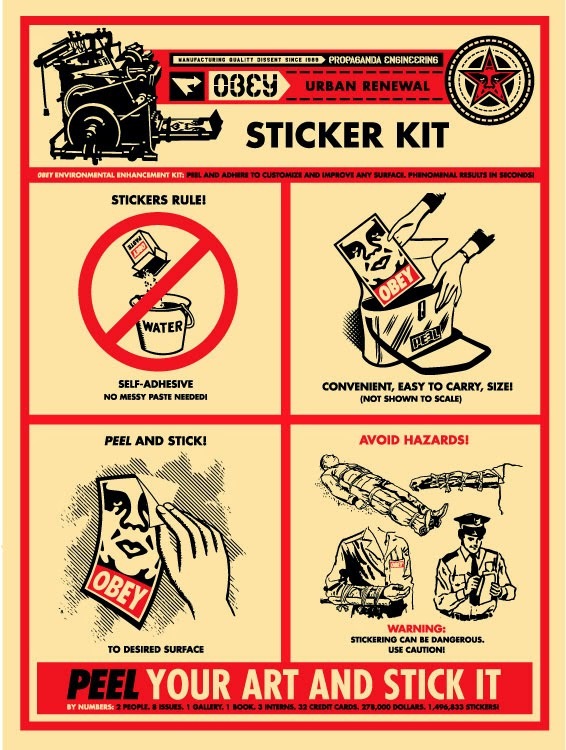 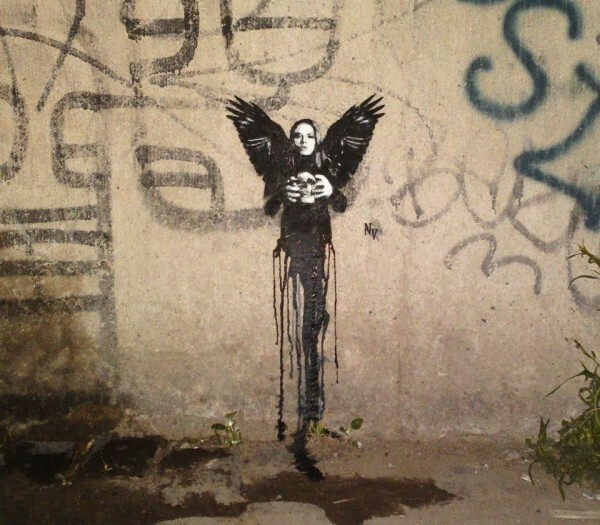 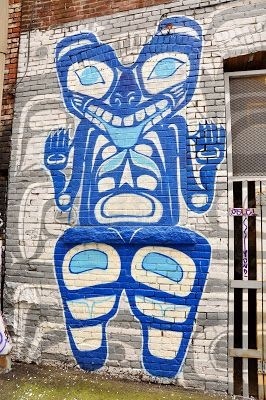 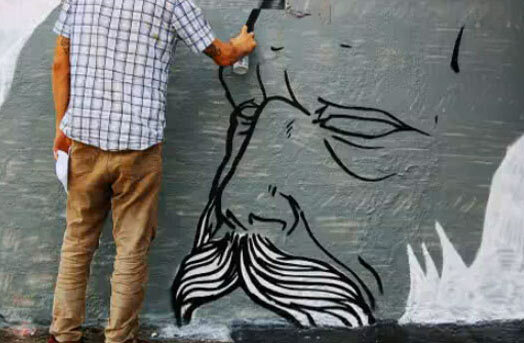 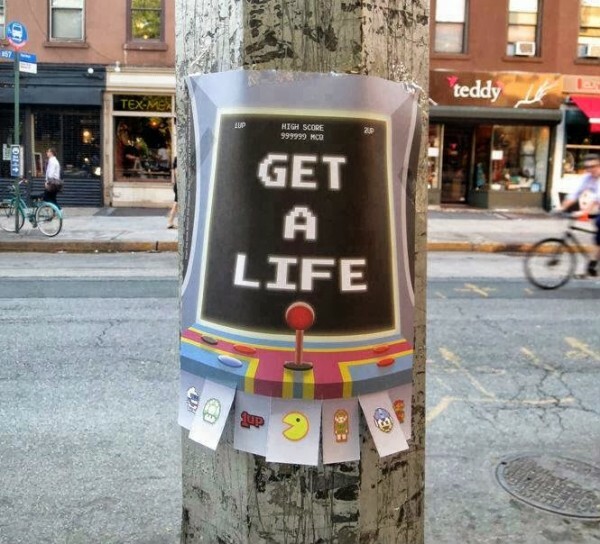 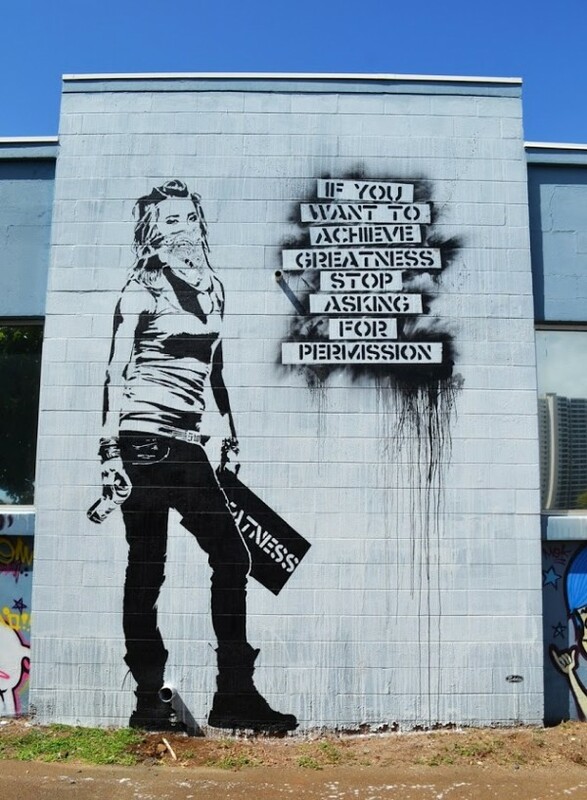 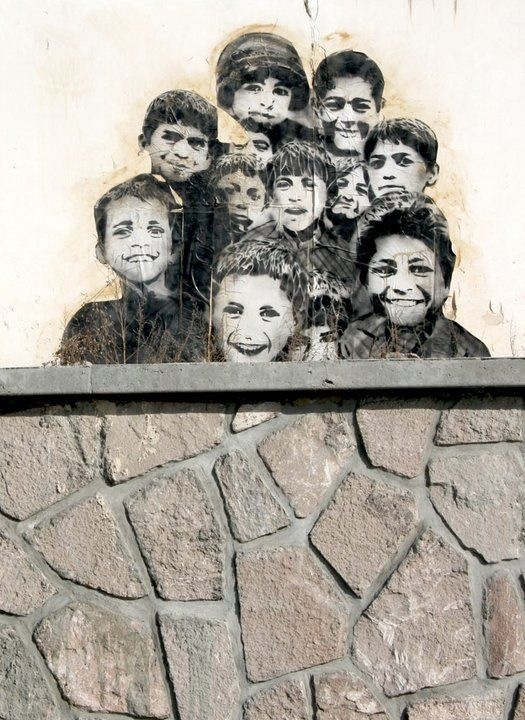 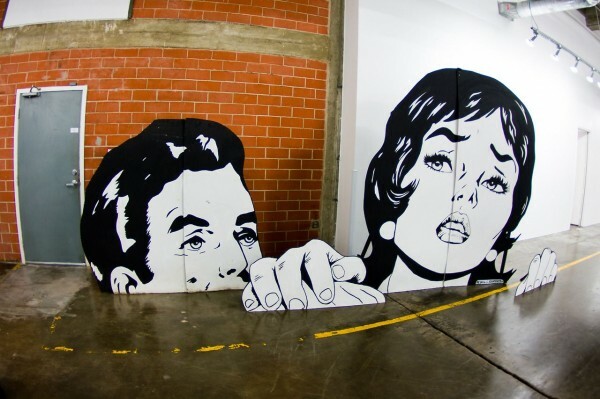 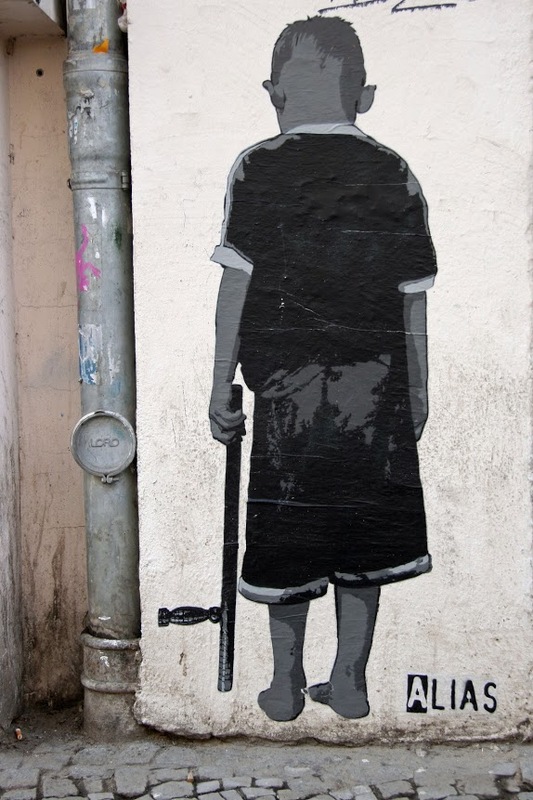 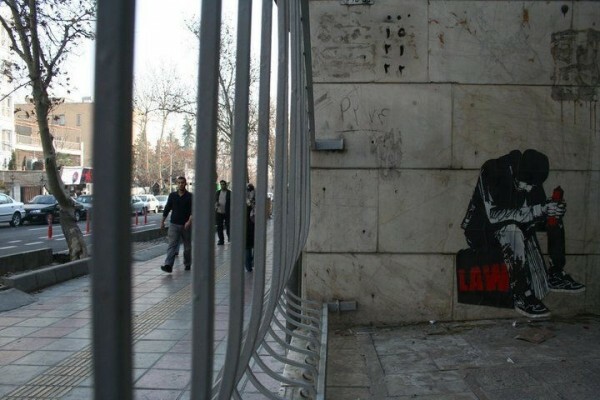 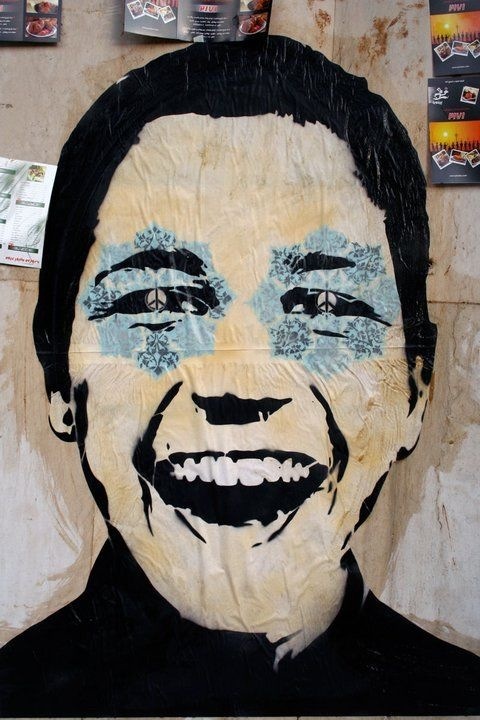 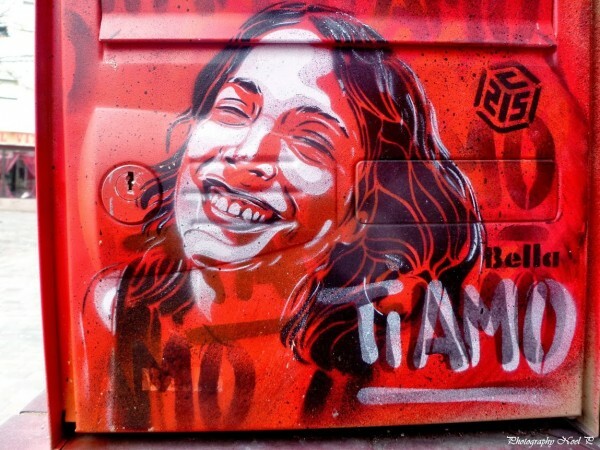 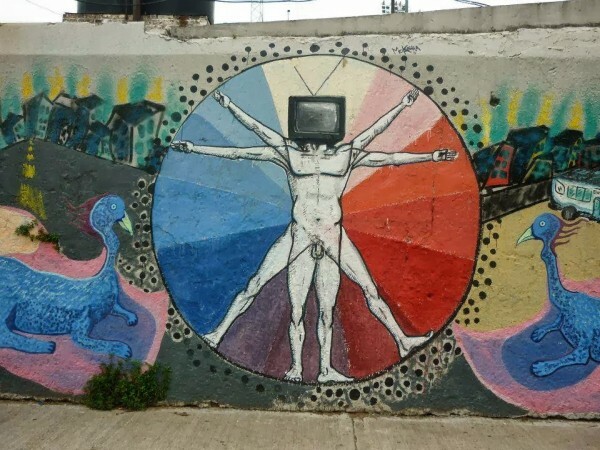 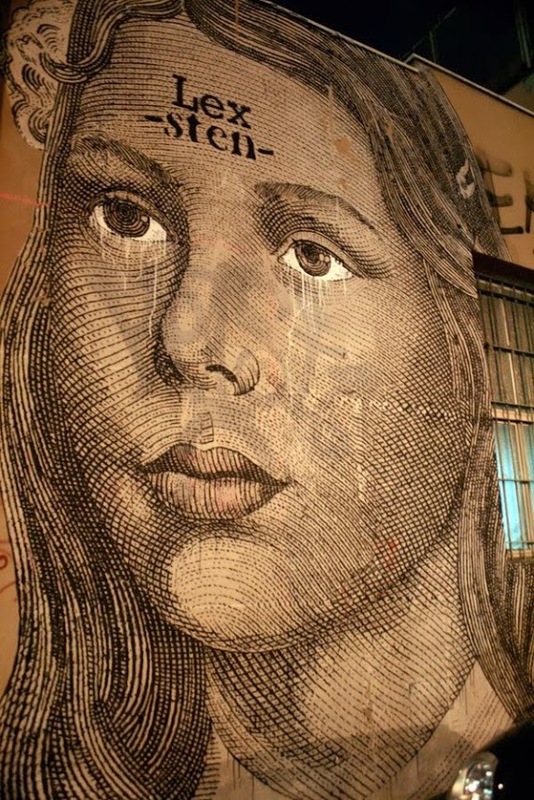 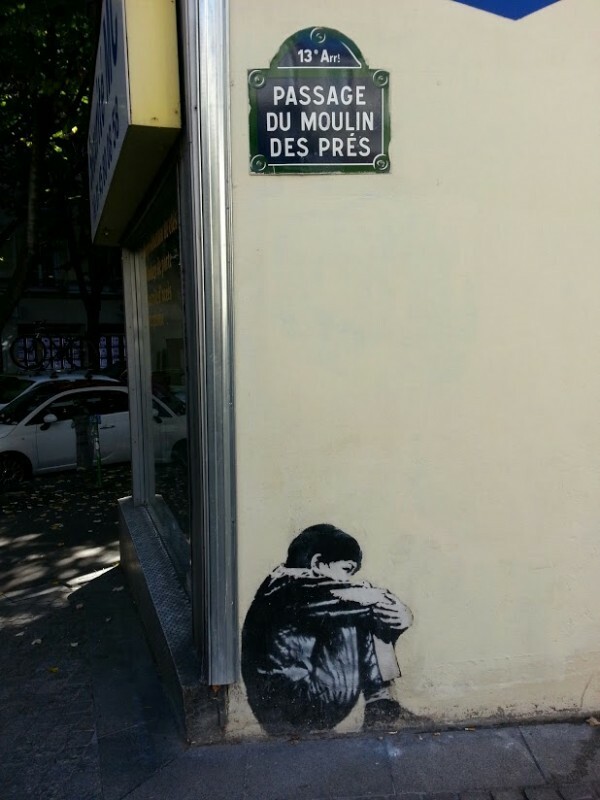 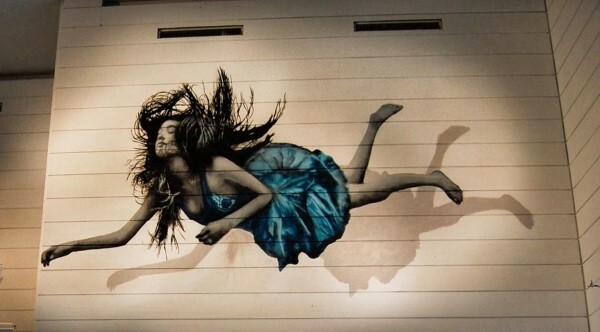 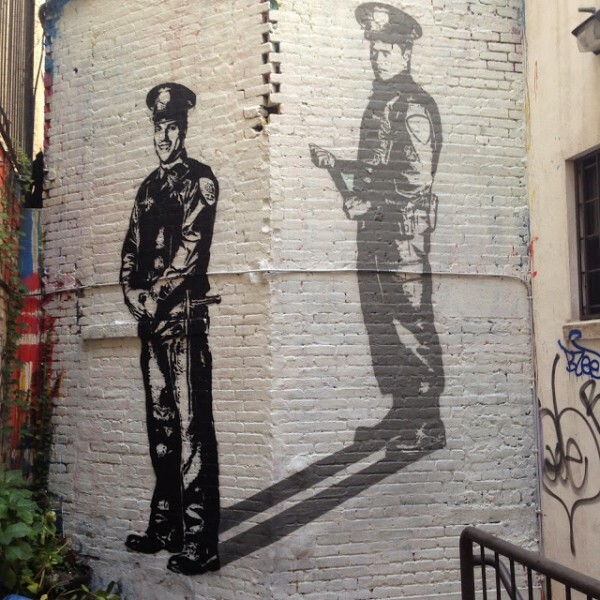 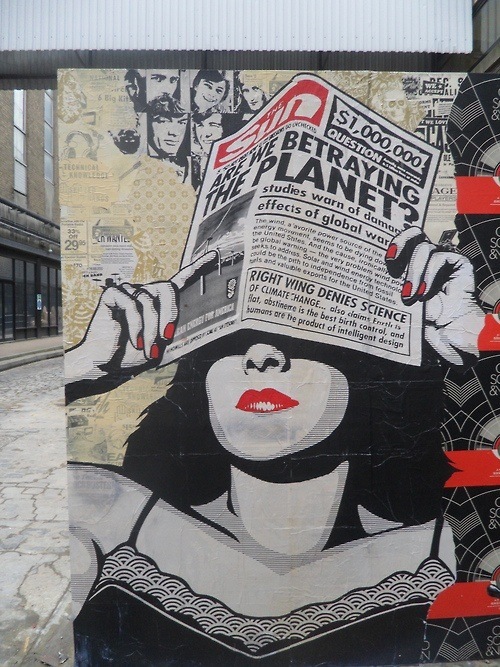 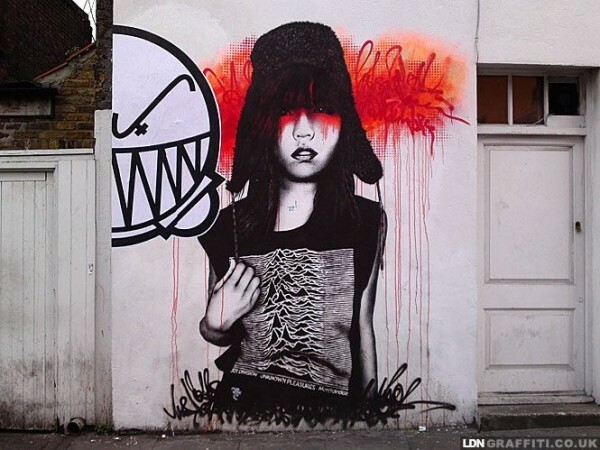 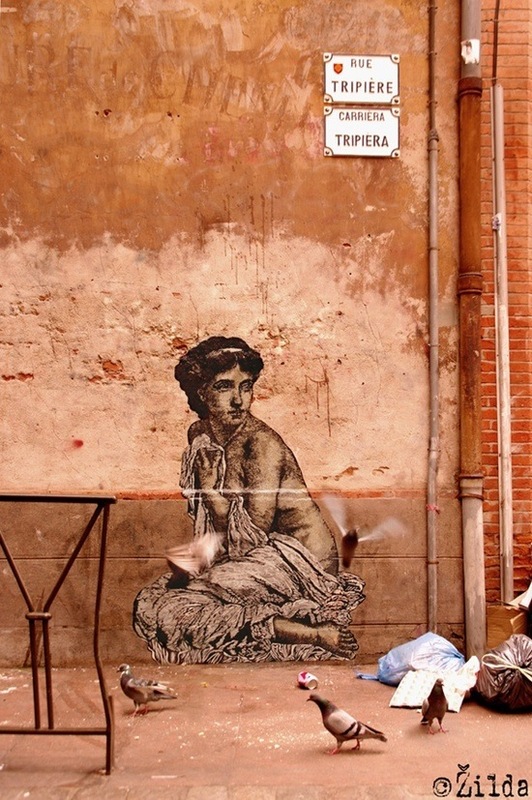 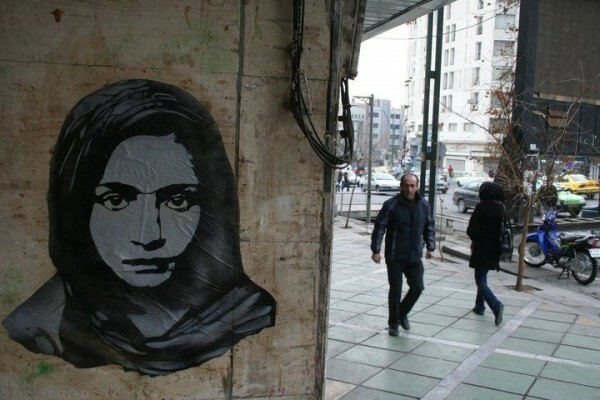 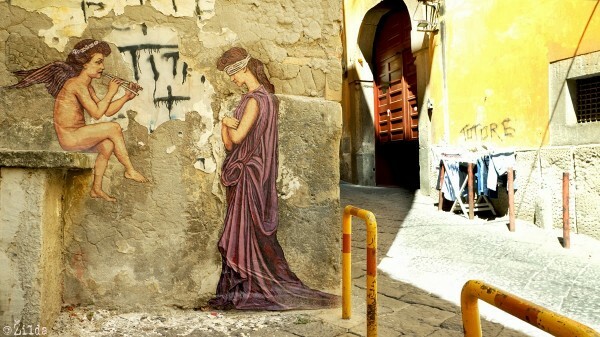 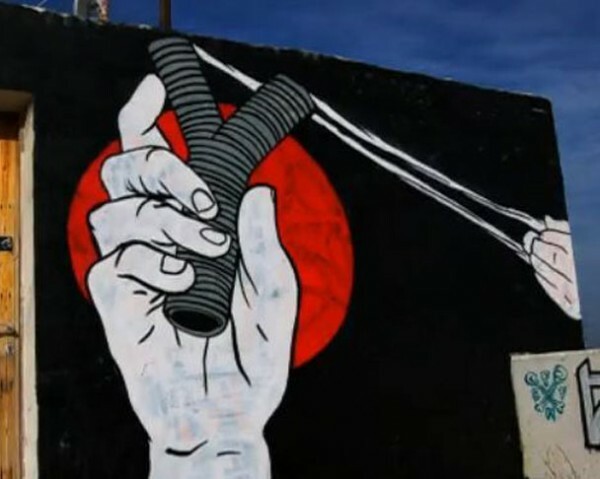 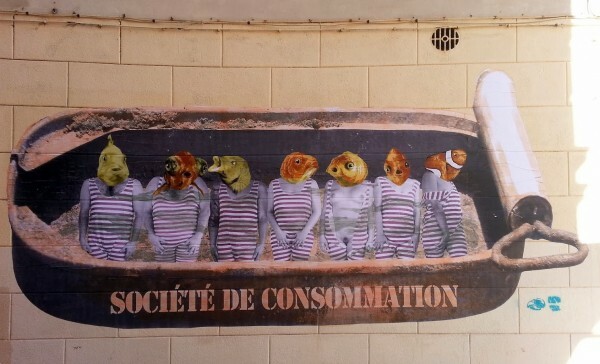 Images from Street Art News. 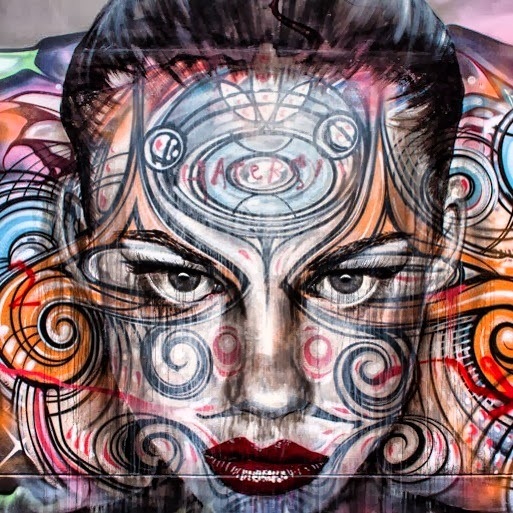 DISCLAIMER: All images are copyrighted by their respective owners unless otherwise stated. 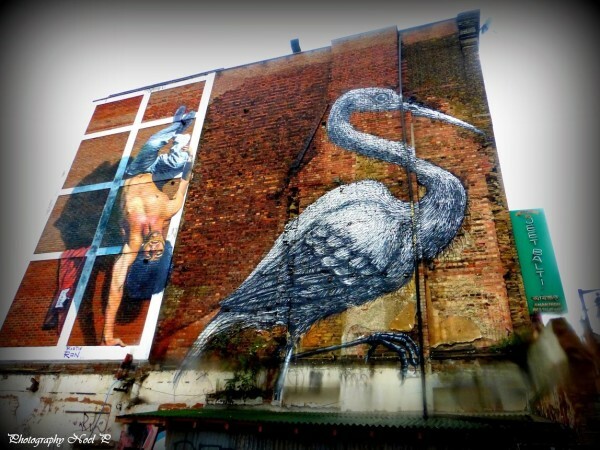 None of the images in this blog are property of Mr Pilgrim unless stated otherwise. 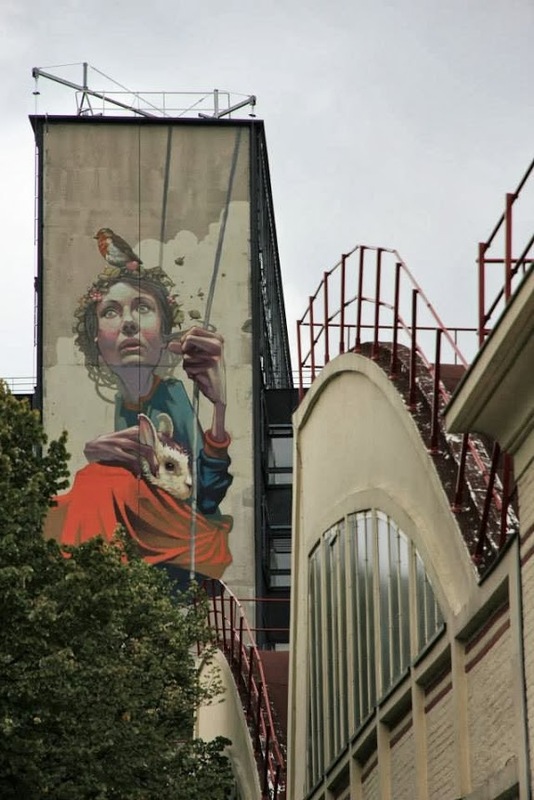 FOR PHOTO OWNERS: If it happens that you see your work posted here, and you don’t want it to be, and you want it removed/credited, please email using the contact me page. 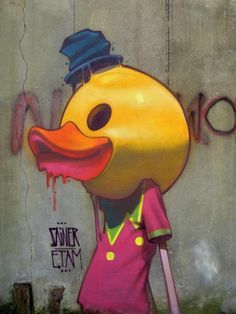 FOR OTHERS: If you see a photo that is not properly credited, and you know the real owner, or artist please let me know using the contact me page. 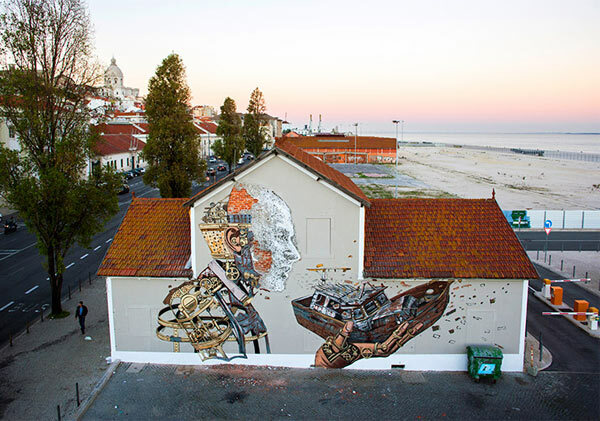 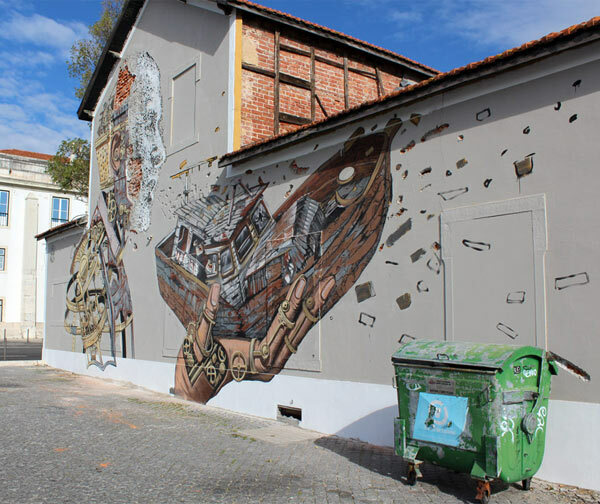 In November of last year two amazing urban artists Pixel Pancho and Vhils teamed up to create an incredible piece of street art in Lisbon (Portugal). 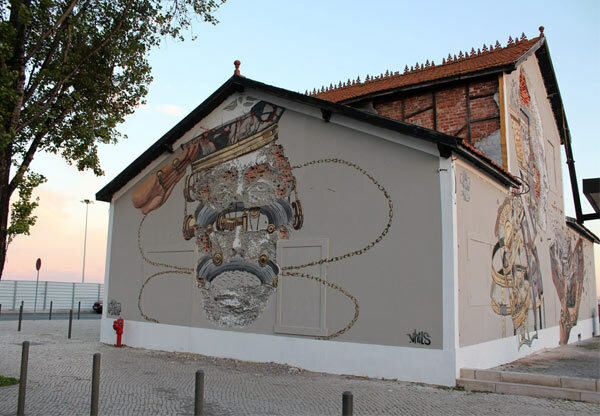 They were invited to Lisbon by the Underdogs to add some decoration to an already beautiful city and they did not disappoint. 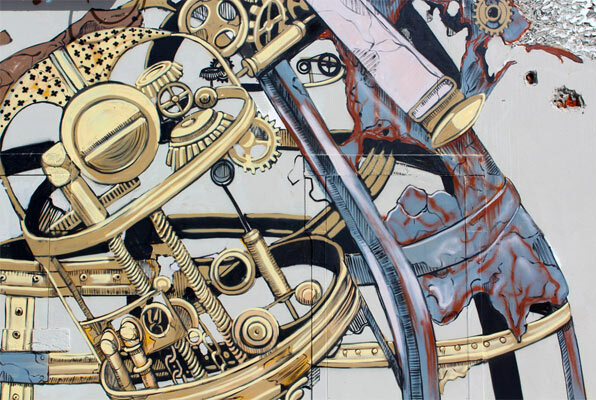 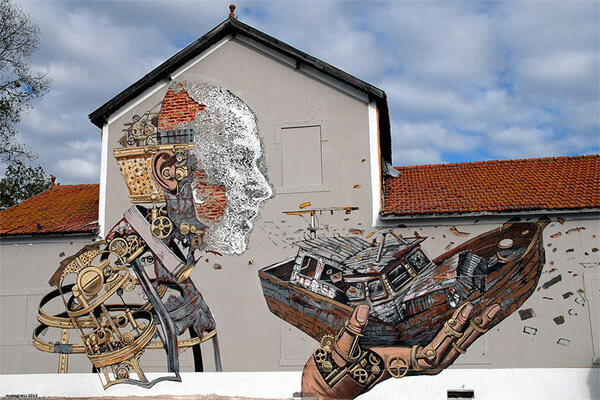 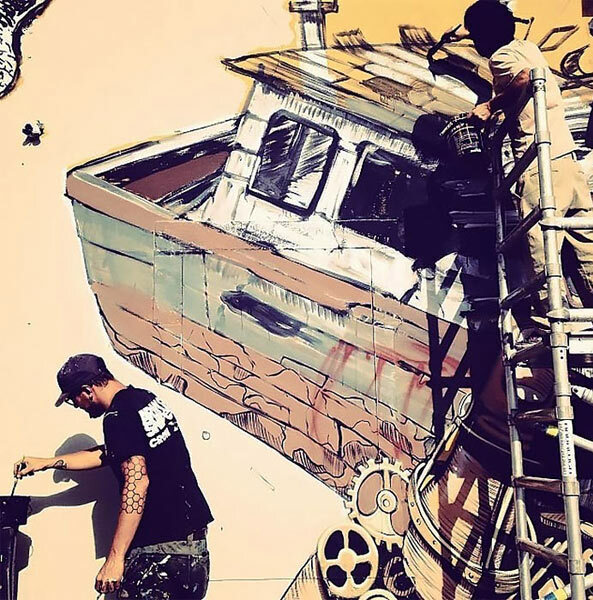 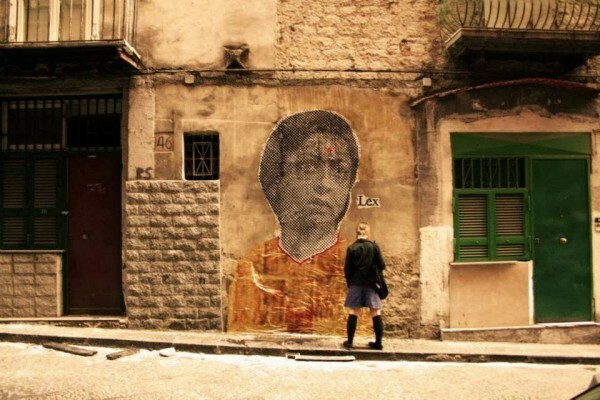 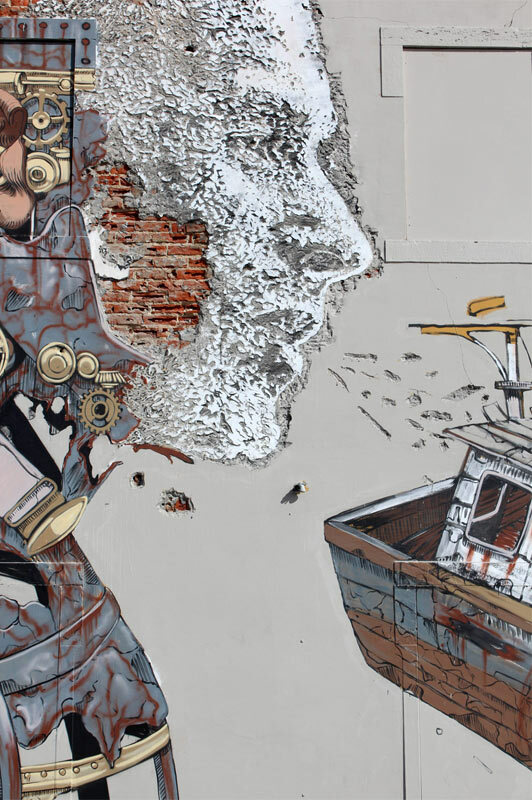 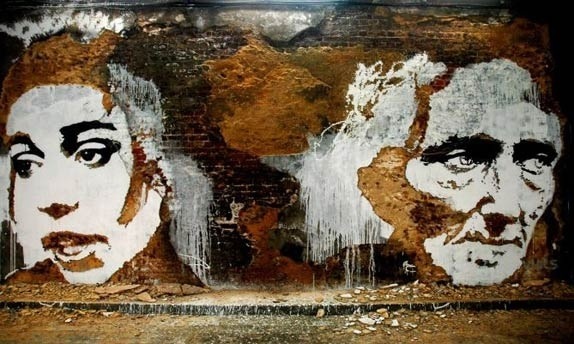 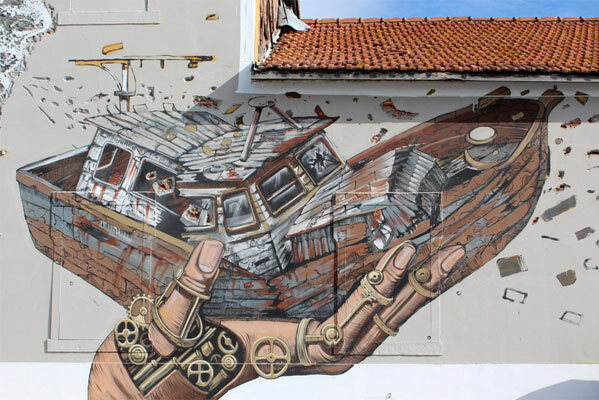 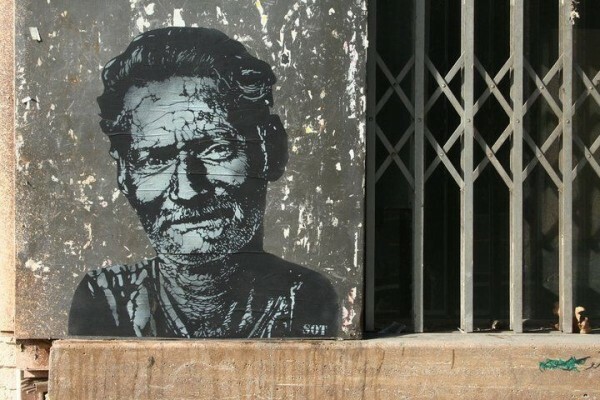 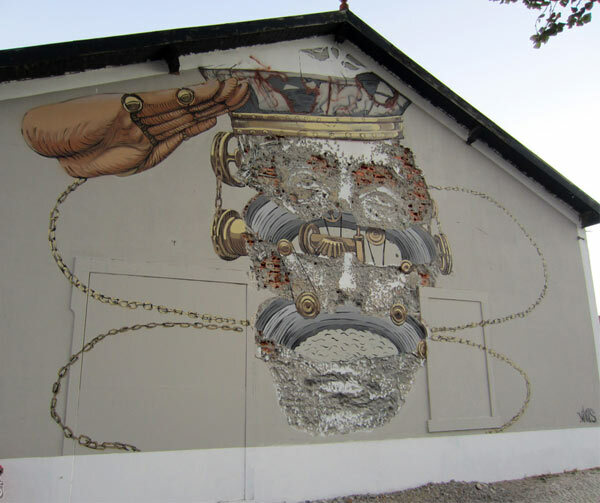 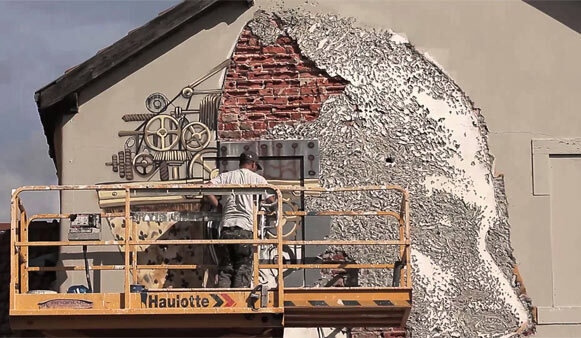 Italian artist Pixel Pancho used traditional techniques to create his trademark mechanically inspired work while native Portuguese Vhils used his extraction technique to add his portrait style vision. 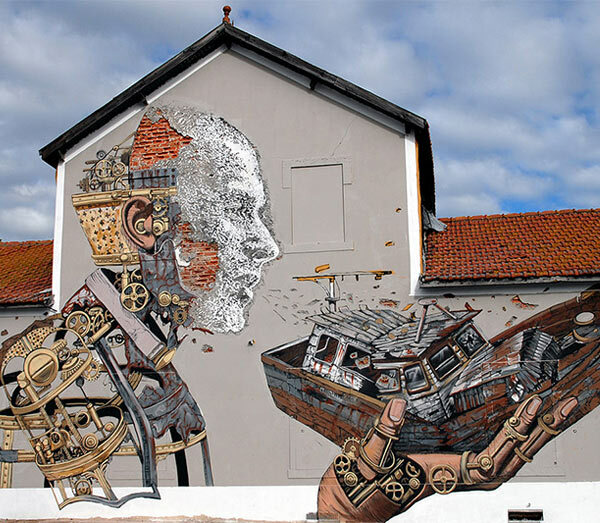 Over the course of four days near the Tagus river they completed one of the most stunning pieces of urban art I’ve ever seen. 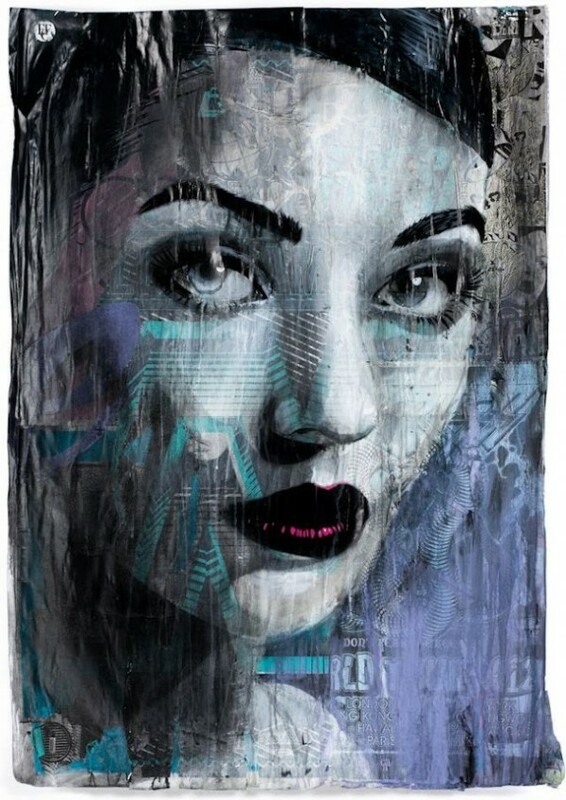 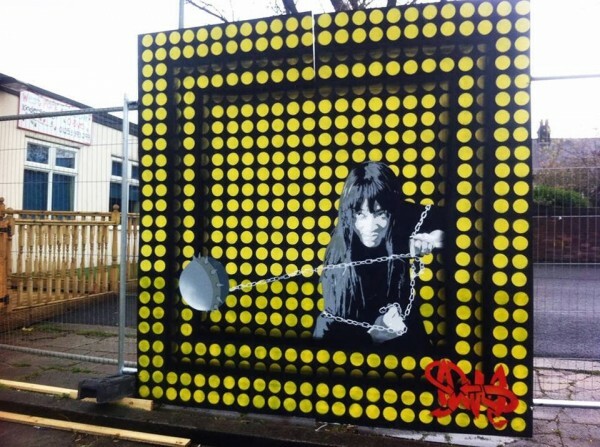 See more from the world’s urban artists on Mr Pilgrim’s street art & freewalls blog, alternatively catch up with the very latest posts on his street art google page. 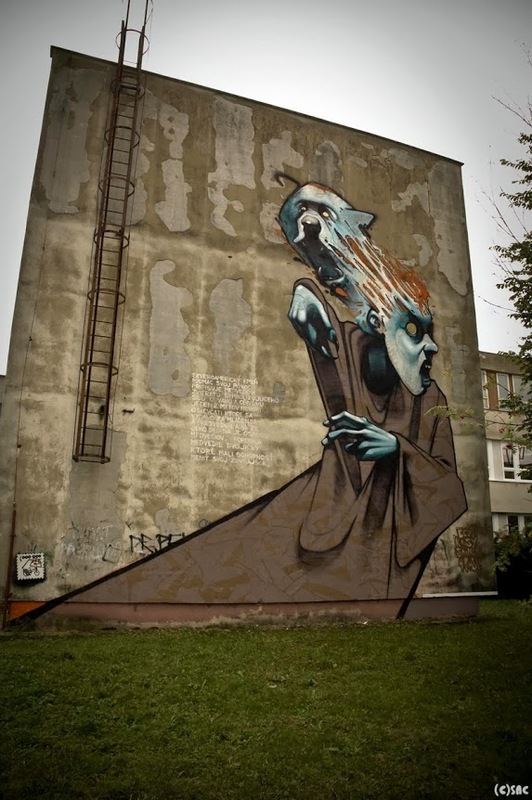 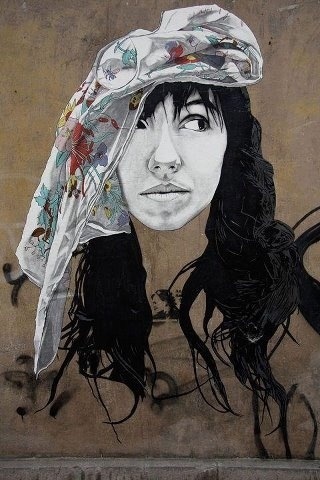 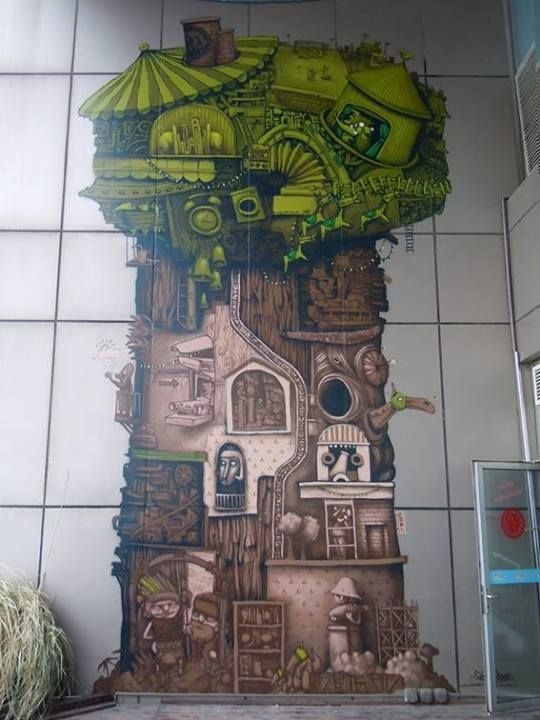 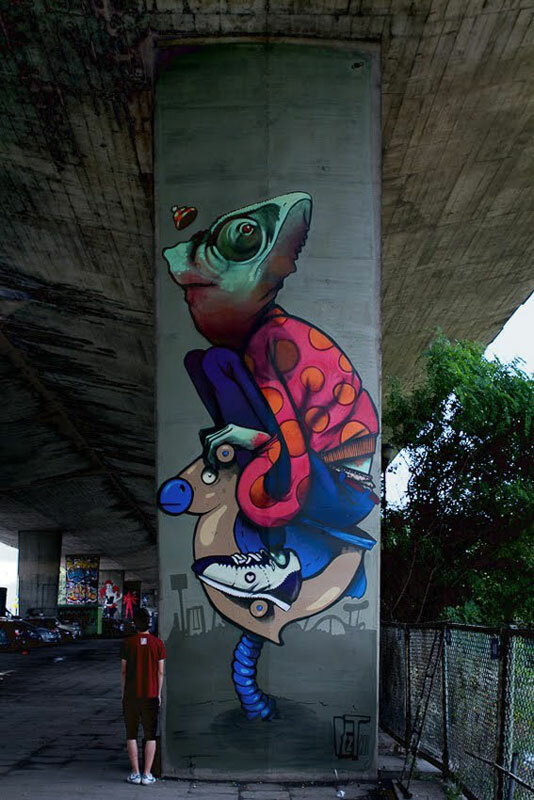 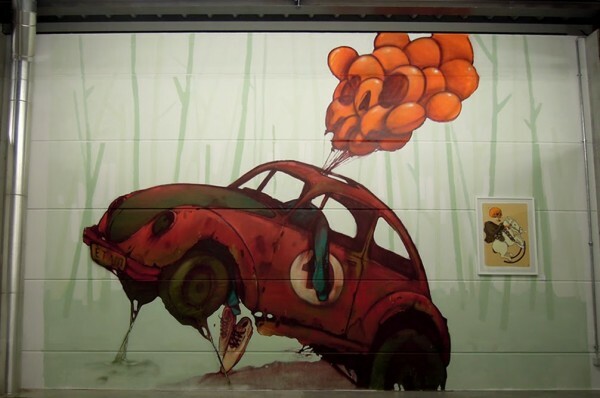 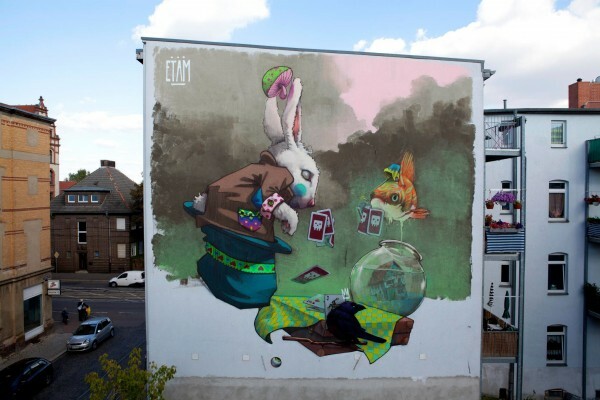 Unbelievable Street Art by Sainer & Bezt of Etam Cru! 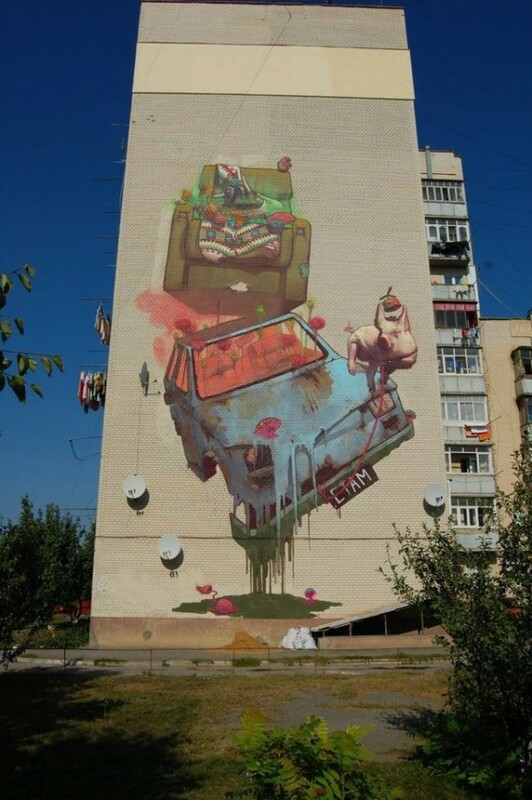 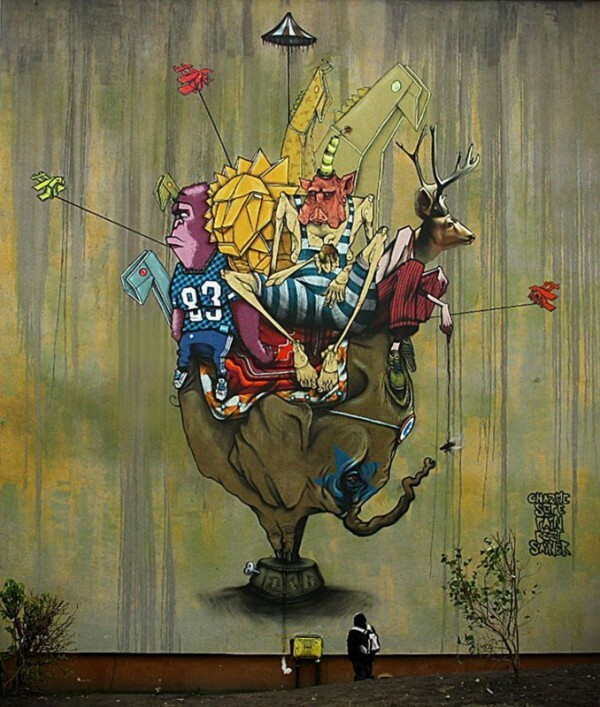 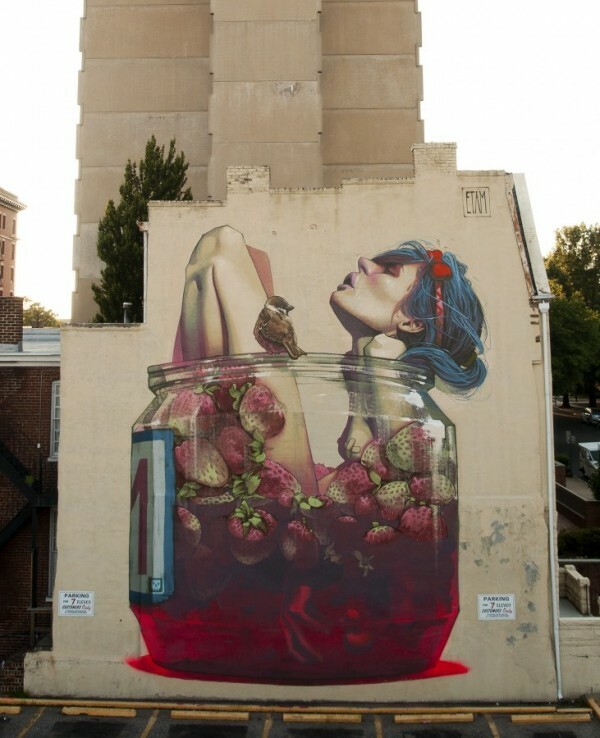 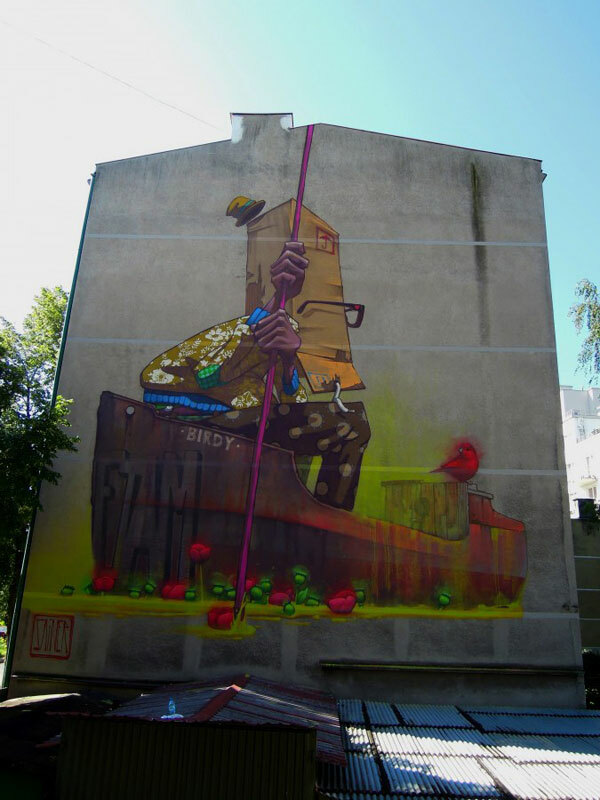 I can honestly say that the work of the group of artists known as Etam Cru count among my all time favourites. 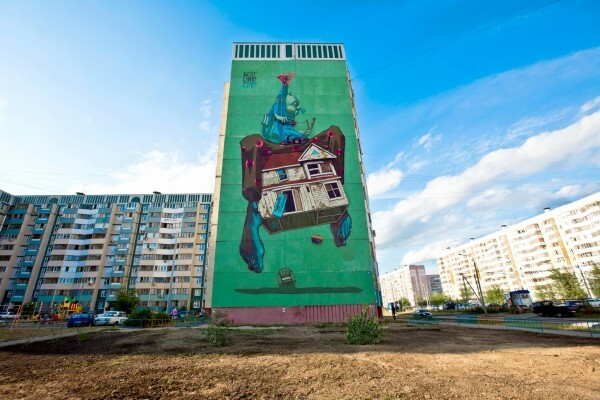 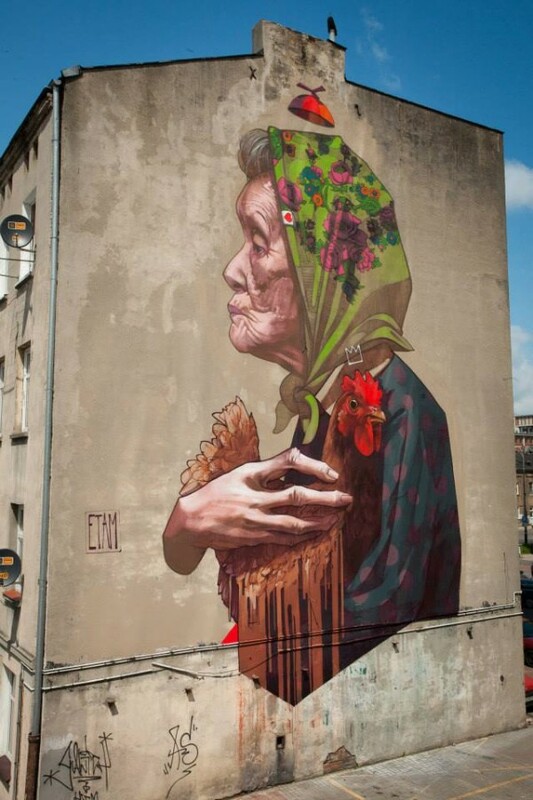 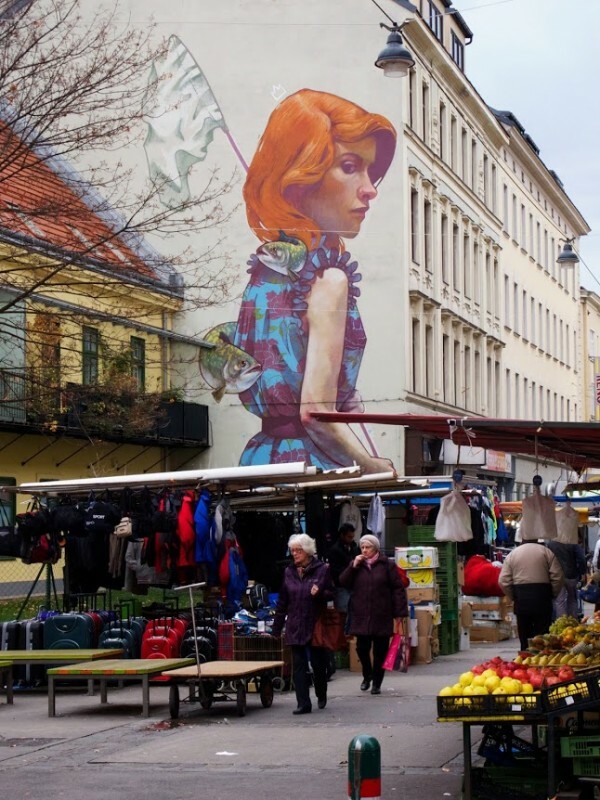 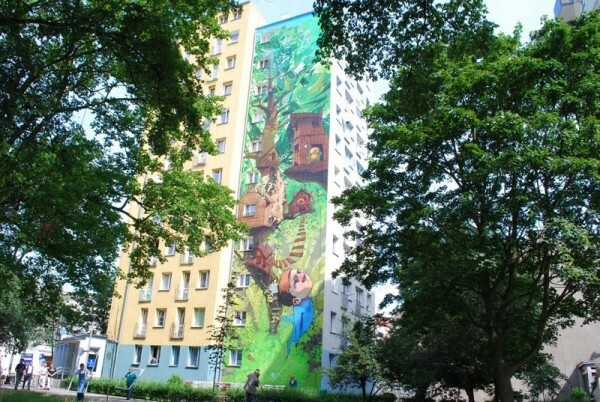 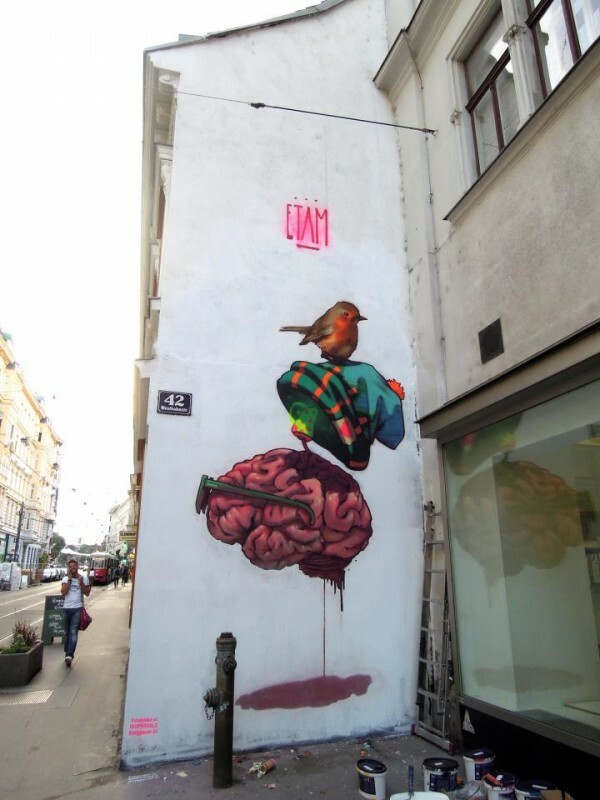 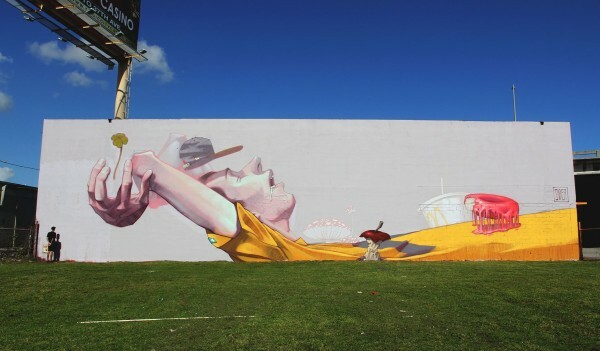 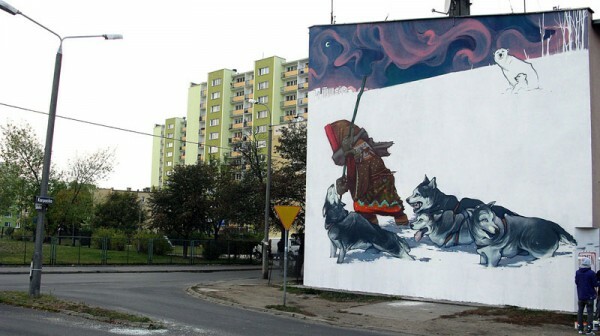 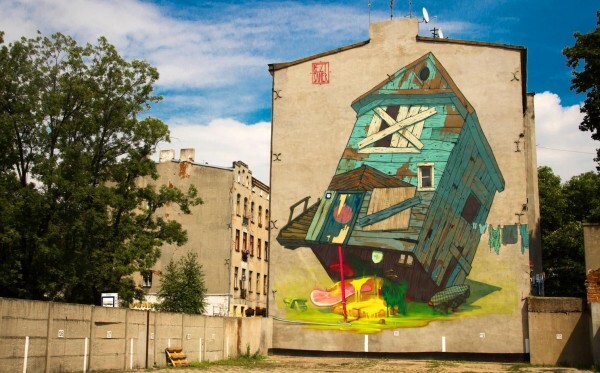 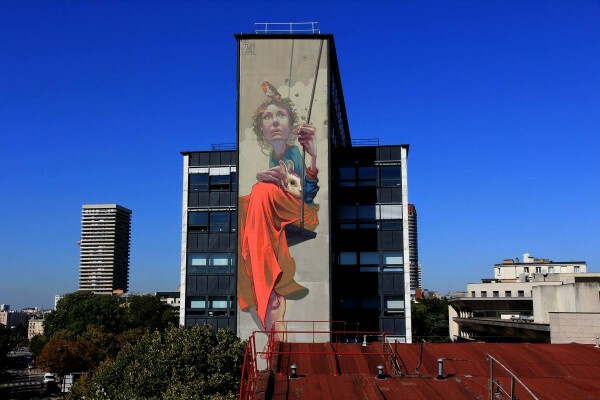 If you are not already familiar with their work, Etam Cru have created stunning work throughout Europe and many great pieces in their homeland of Poland. 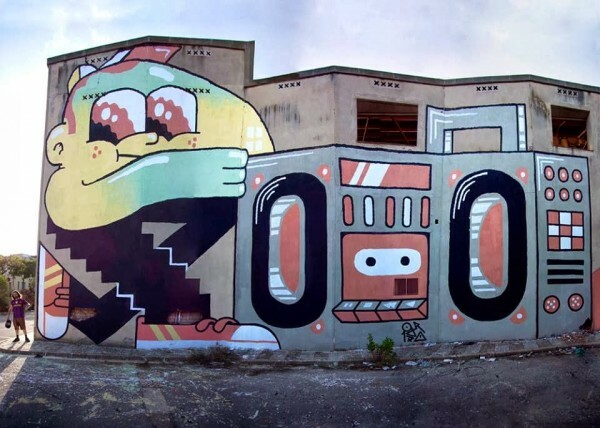 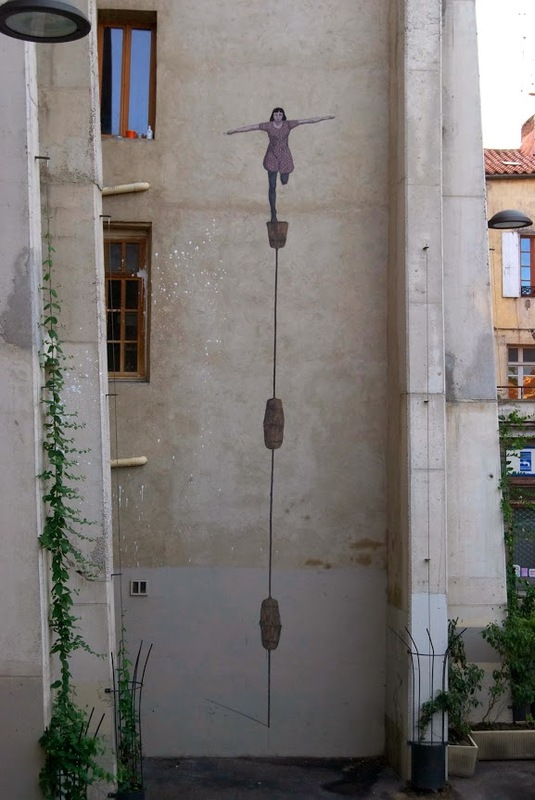 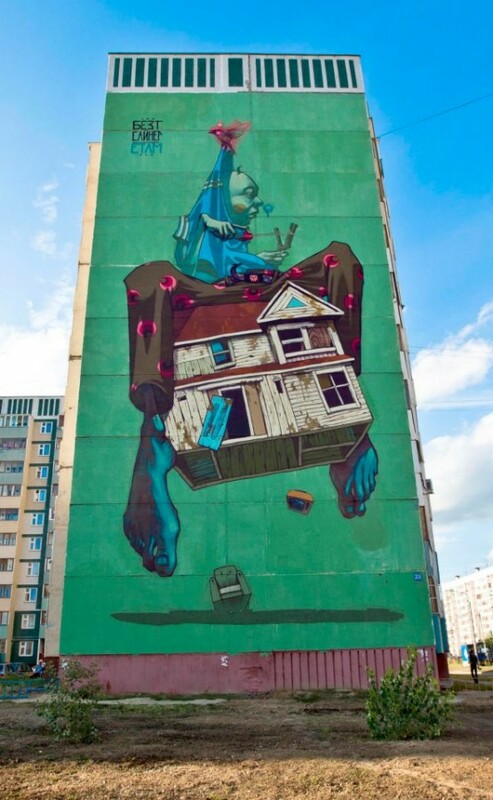 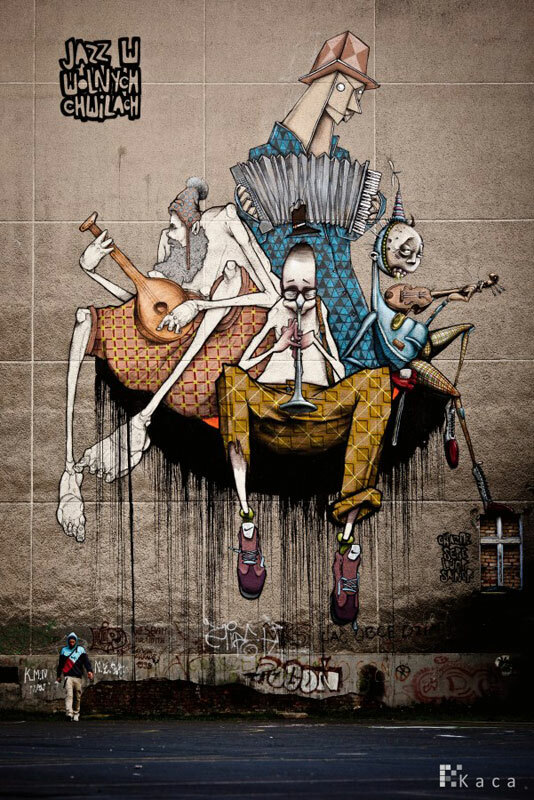 Amazing urban art that could easily be scaling a ten story building, their instantly recognisable style, incredible imagination, huge scale and downright weirdness is infectious to the point many others pale in comparison. 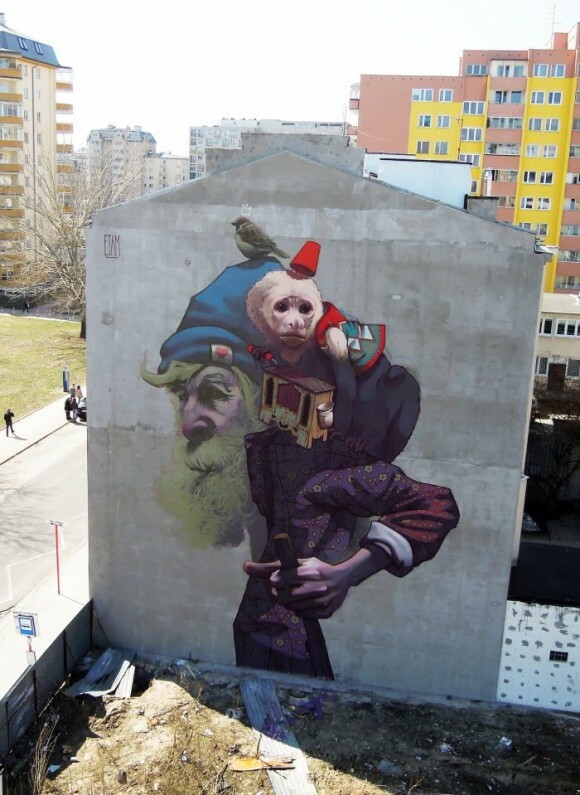 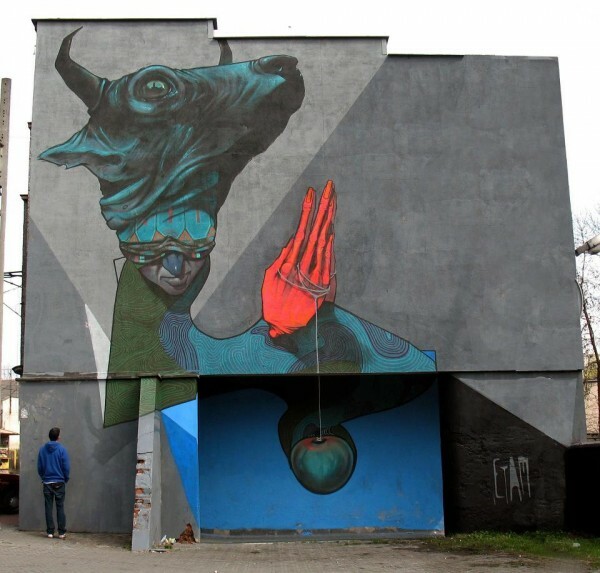 Etam Cru (often shortened to simply Etam) is made of base members Bezt (Mateusz Gapski) & Sainer (Przemek Blejzyk) who often work with some other amazing urban artists such as Chazme, Pener, Sepe, Roem, Tone, Lump, Chylo and Sat One to name a few. 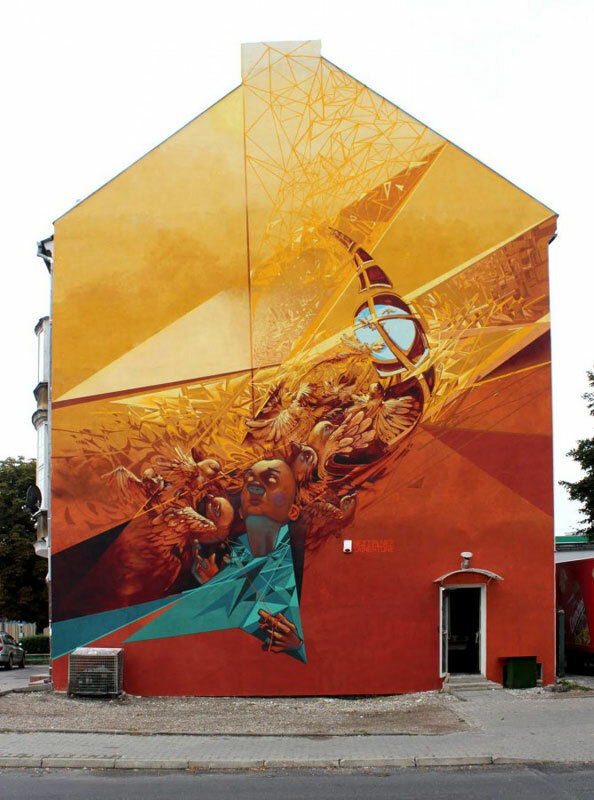 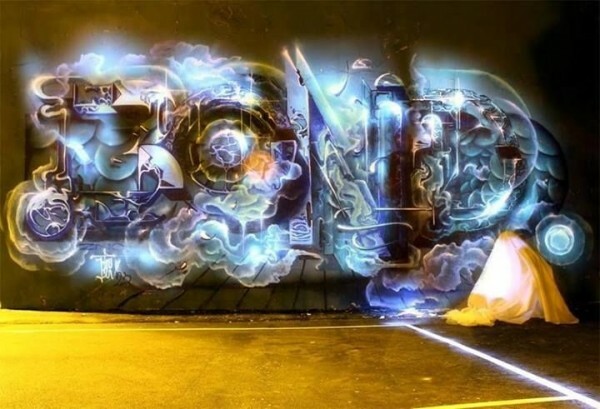 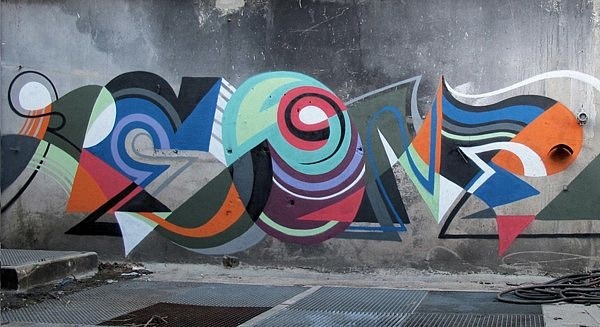 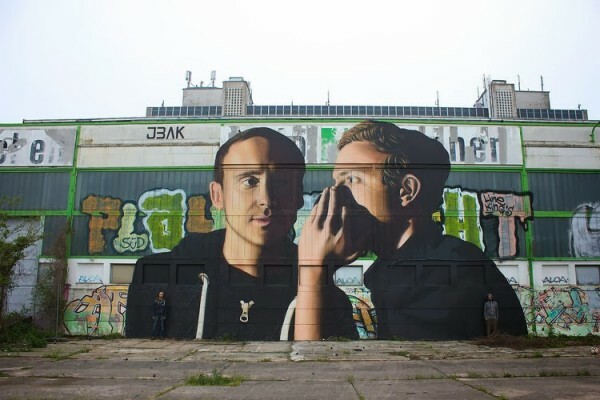 Bezt & Sainer met while studying fine art and since then they have created some incredibly memorable urban art murals together while keeping their own individual work whether it is wall or canvas based entirely their own. 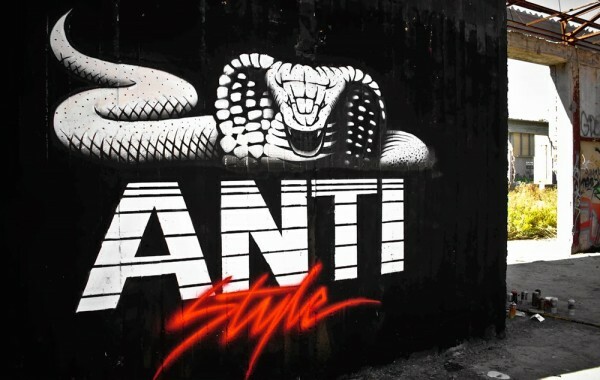 Their styles perfectly complement each other and their working relationship is bolstered by the fact that they both have a mutual understanding of what works, not to mention being such good friends. 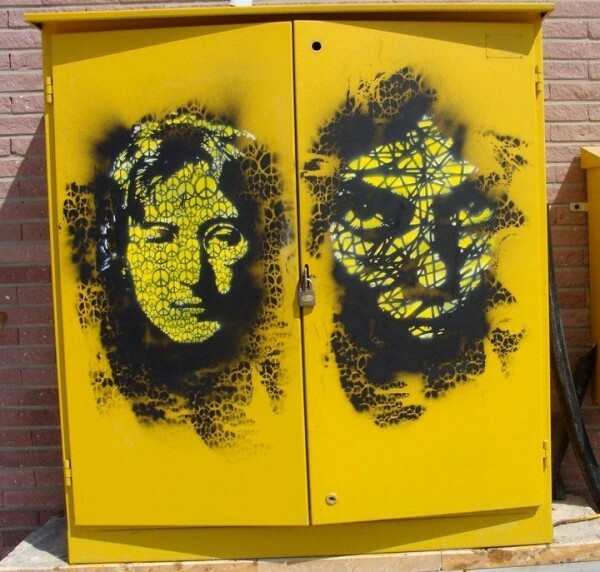 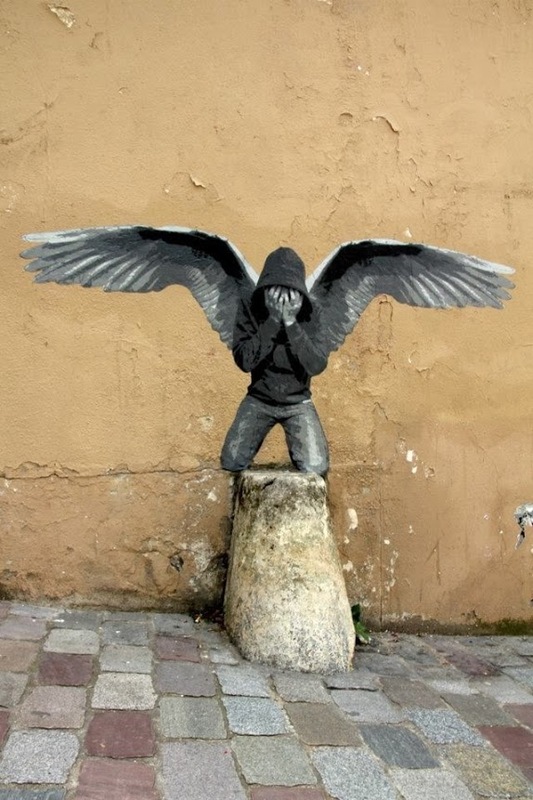 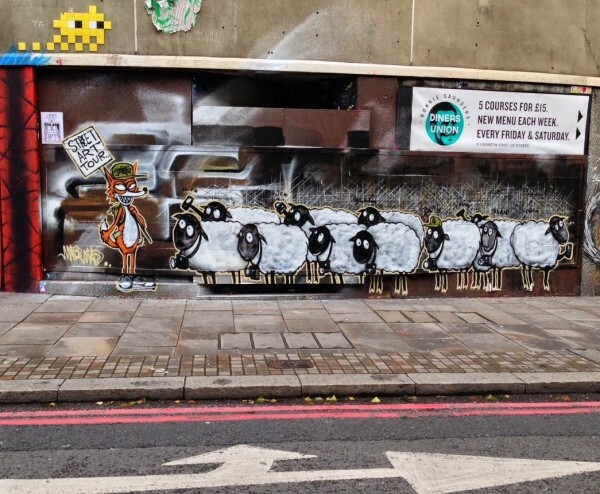 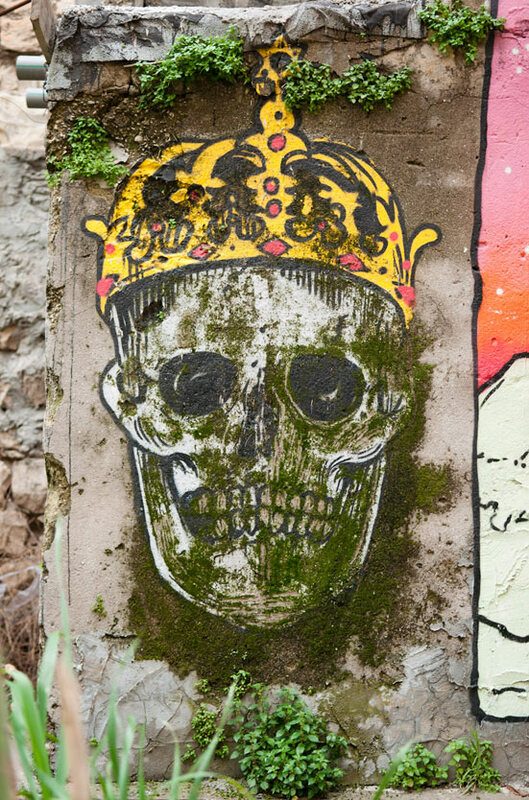 See more street art everyday from the world’s urban artists on Mr Pilgrim’s graffiti art google feed. 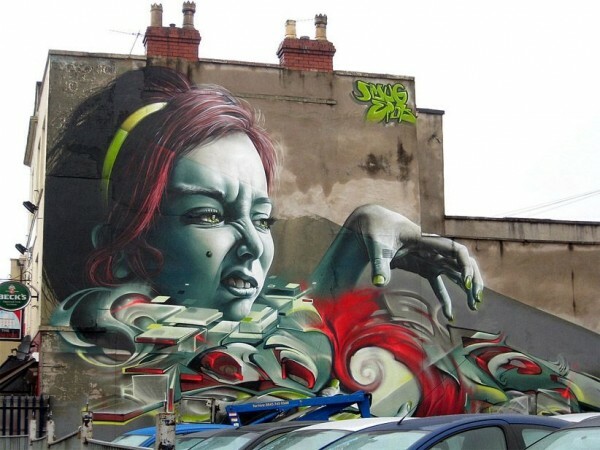 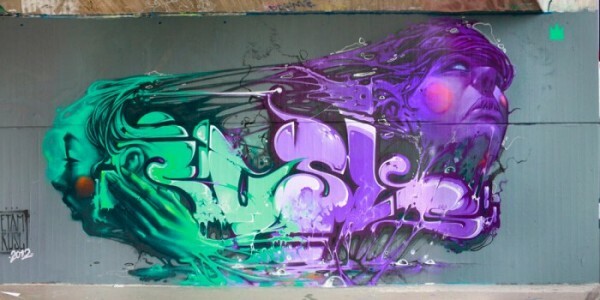 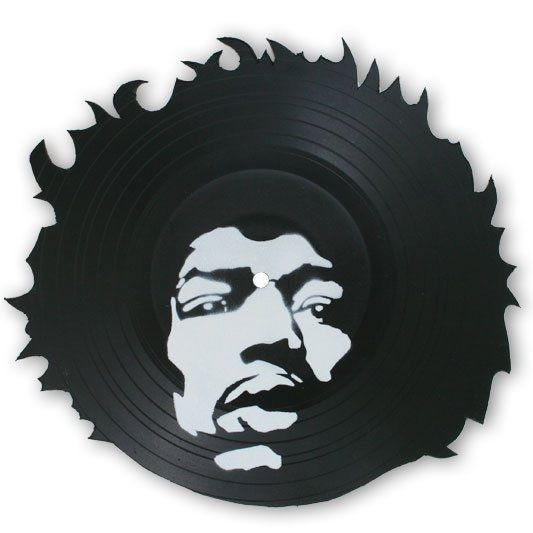 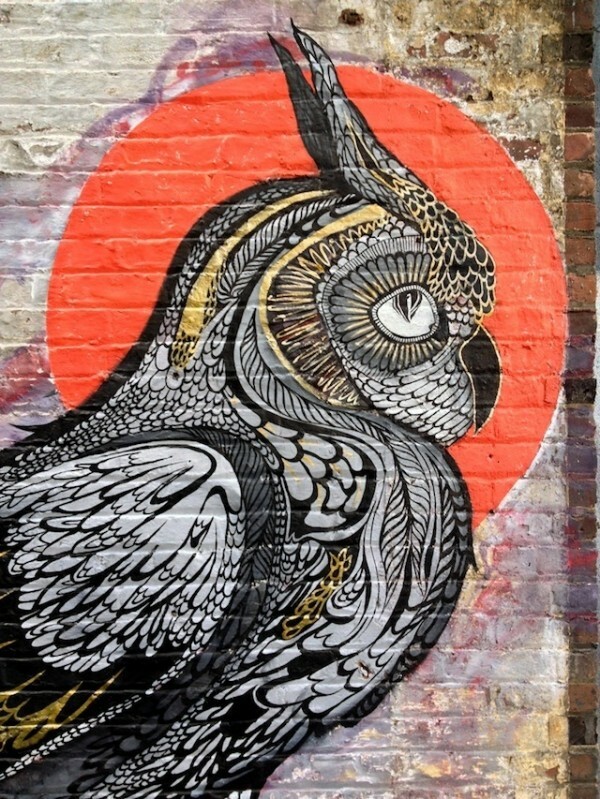 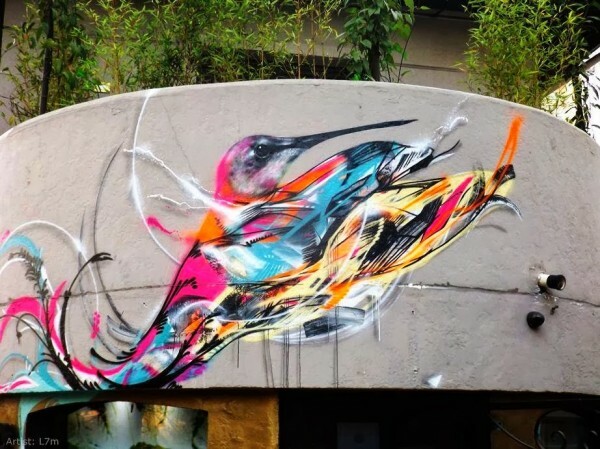 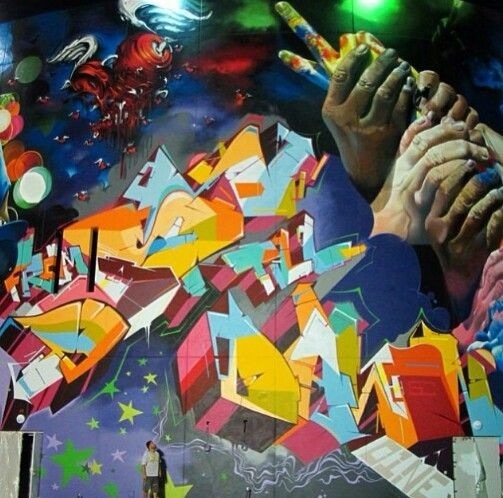 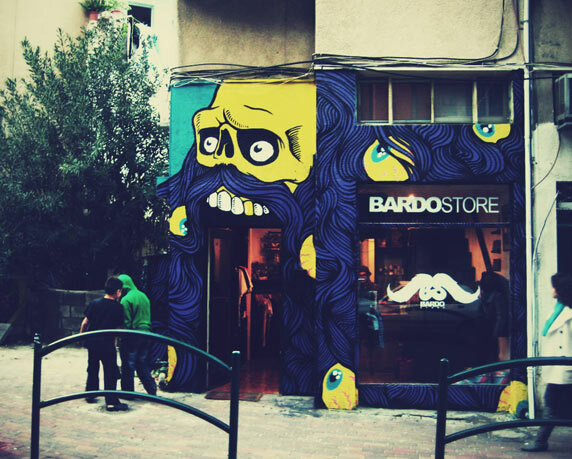 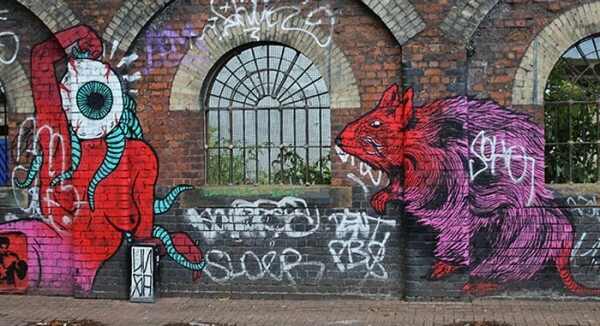 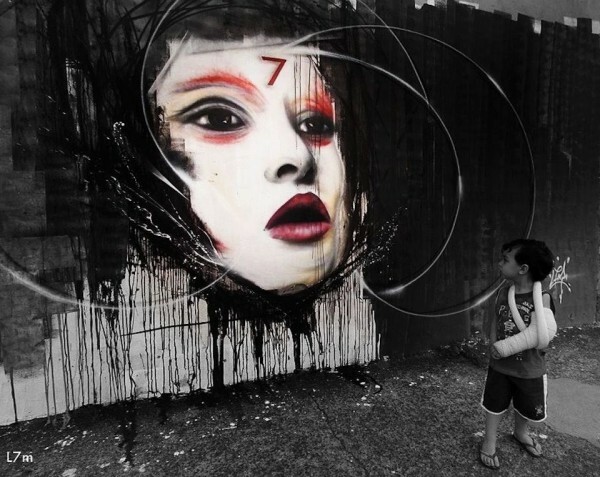 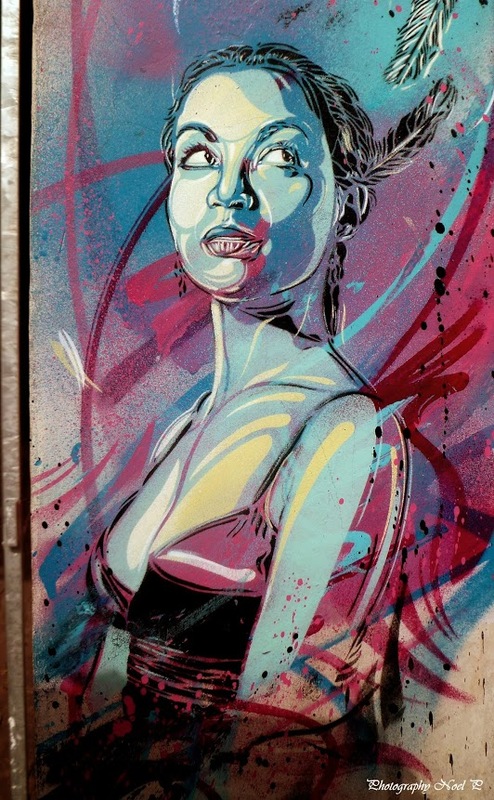 Alternatively you can always catch up some amazing urban artists with past street art & graffiti art posts. 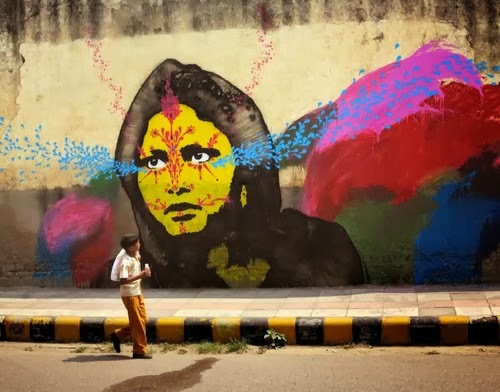 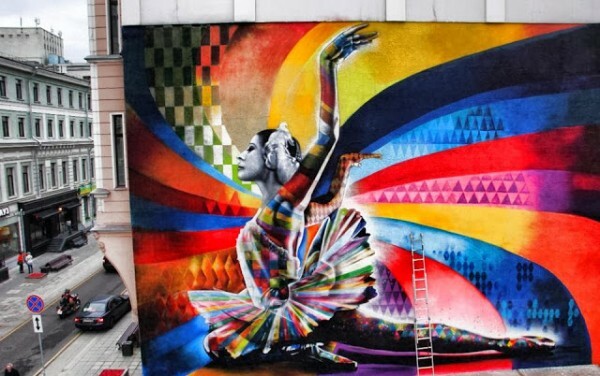 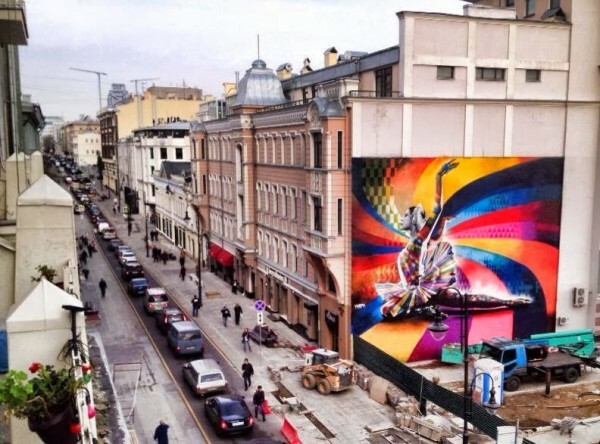 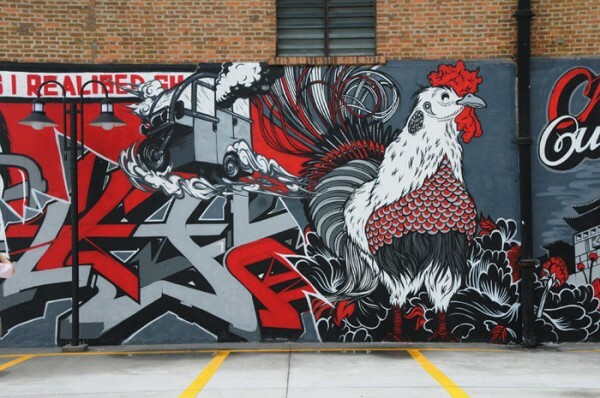 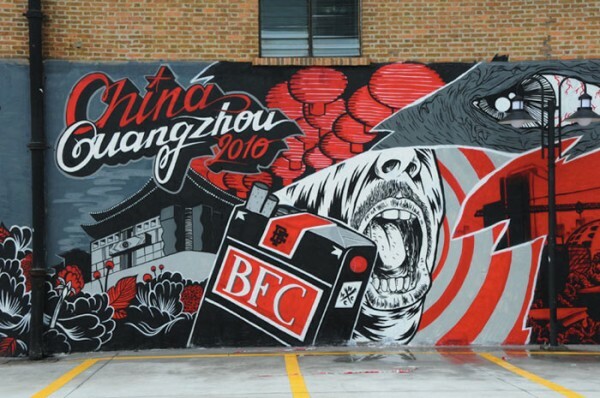 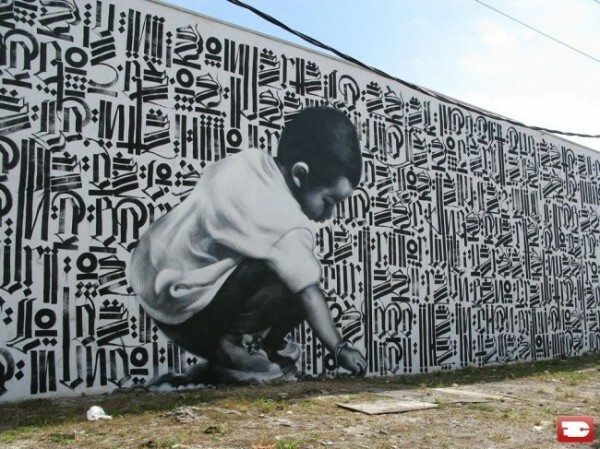 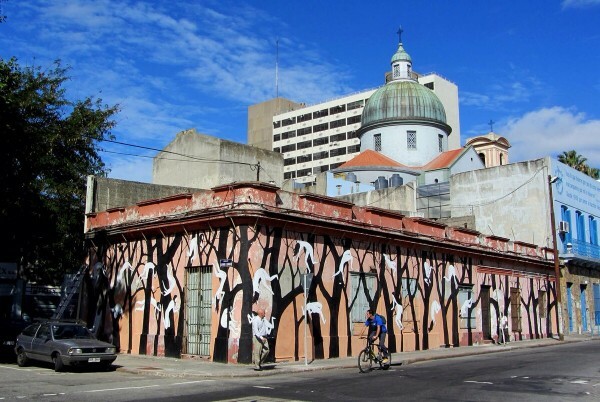 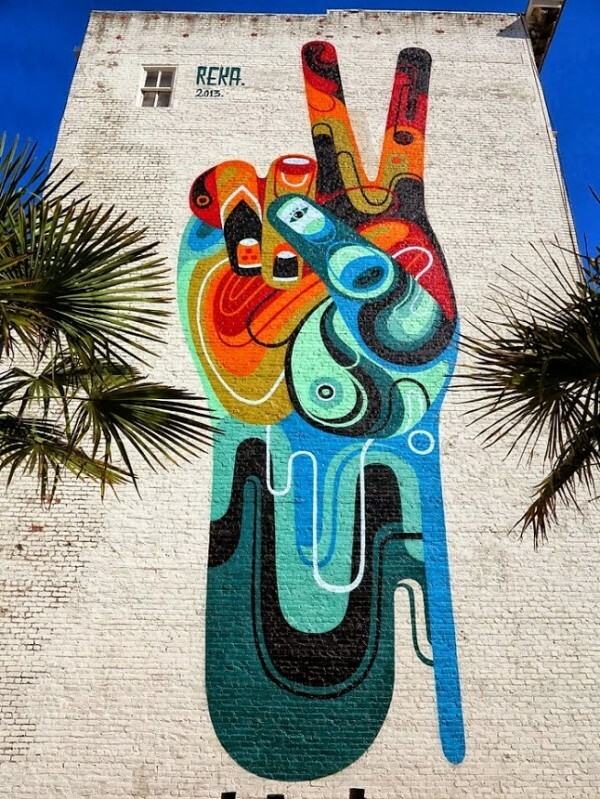 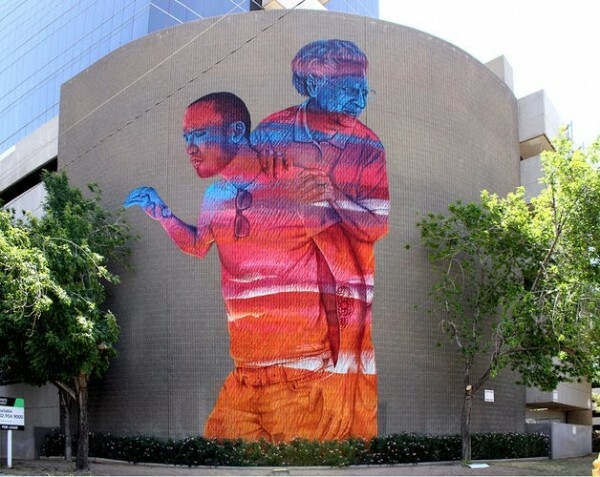 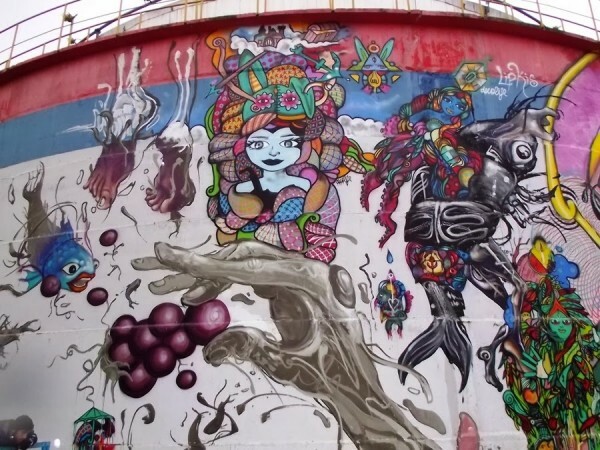 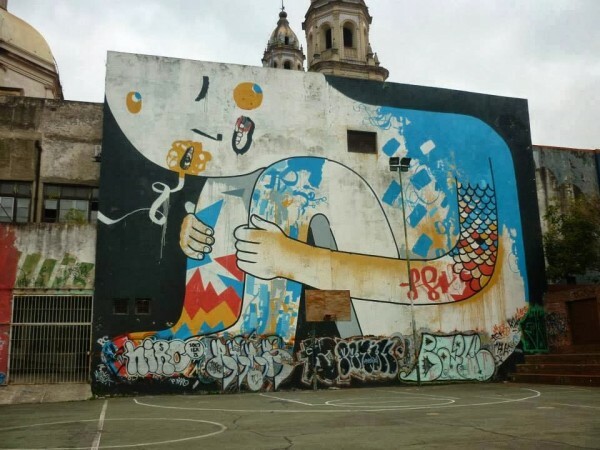 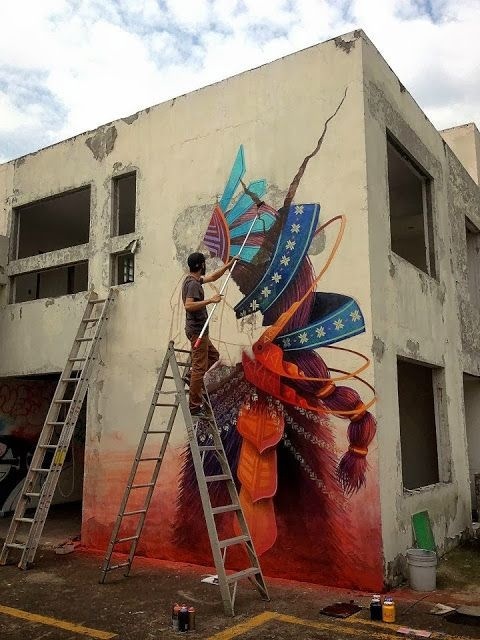 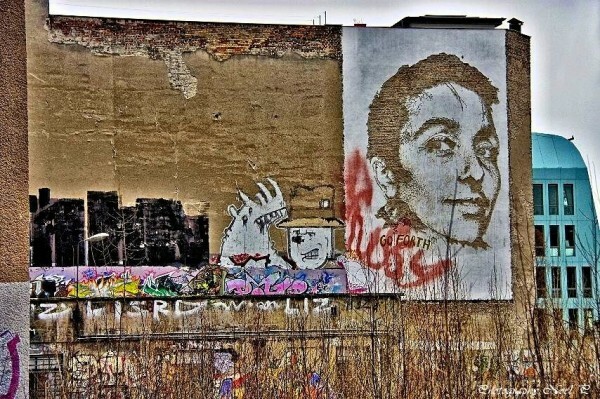 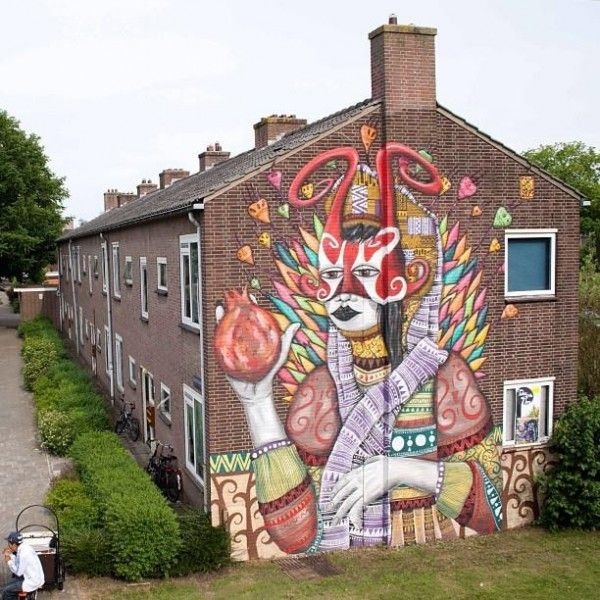 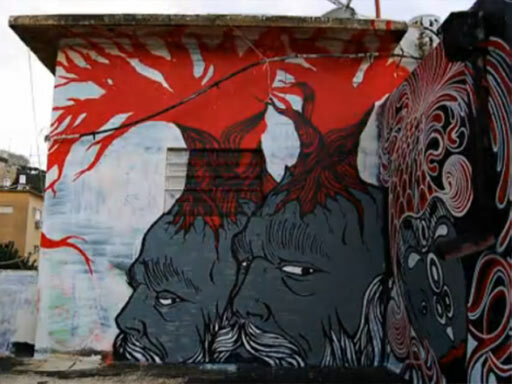 Here’s another update of street art & graffiti art around the world from China to the USA, Russia to Bombay there is a world of art out there to discover. 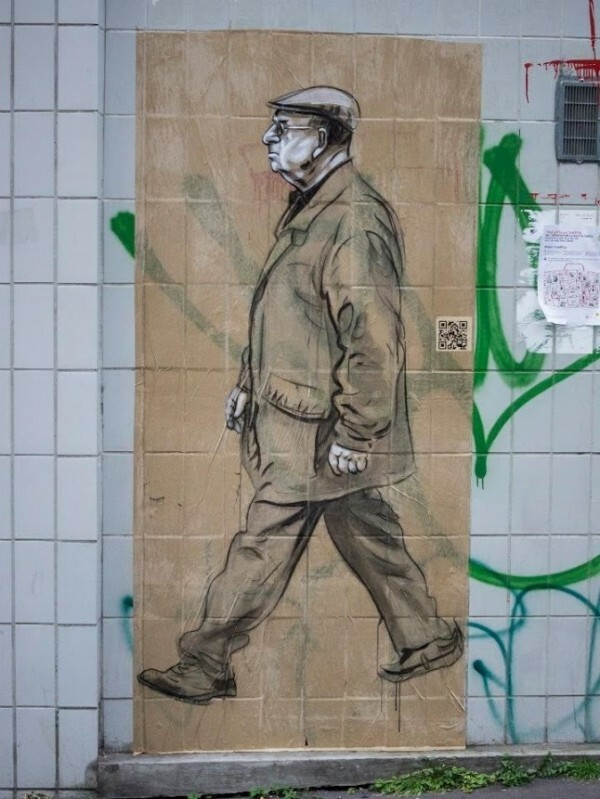 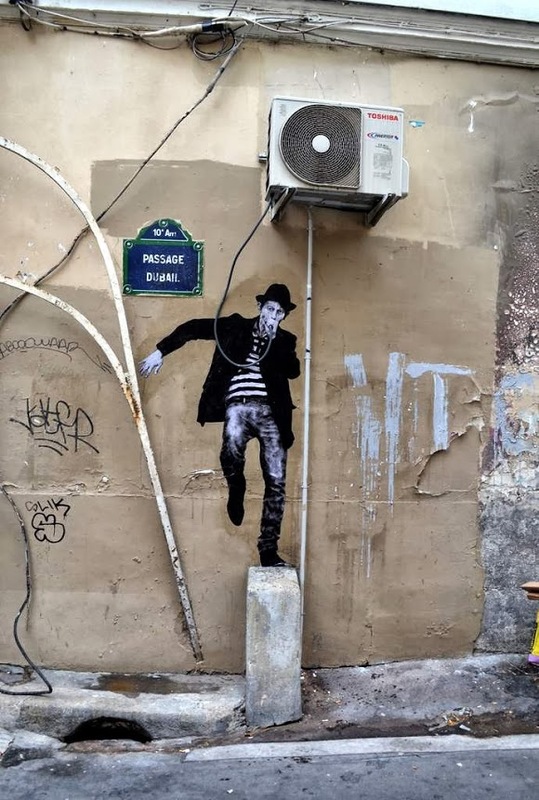 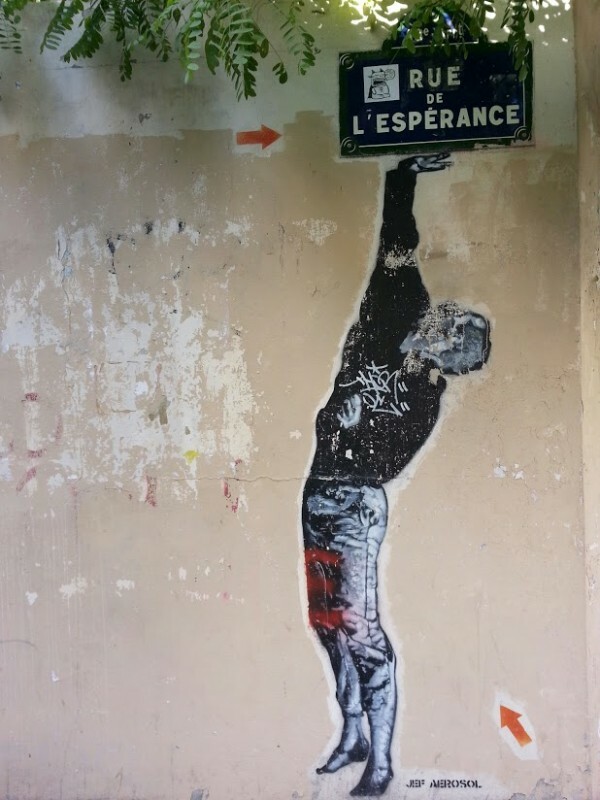 Catch up with the very latest street art and graffiti art from the world’s street artists on Mr Pilgrim’s street art page. 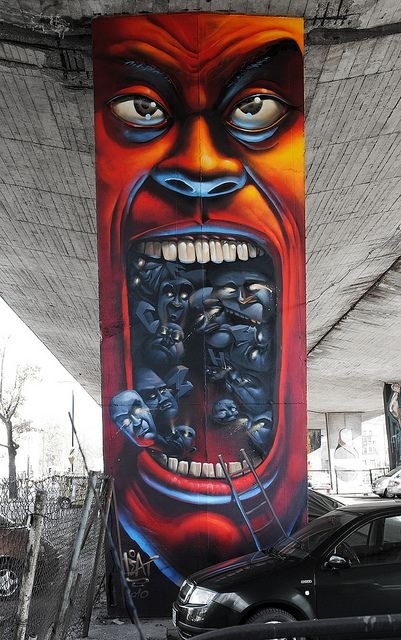 Alternatively see more global street art and some amazing graffiti art in previous posts on Mr Pilgrim graffiti art online. 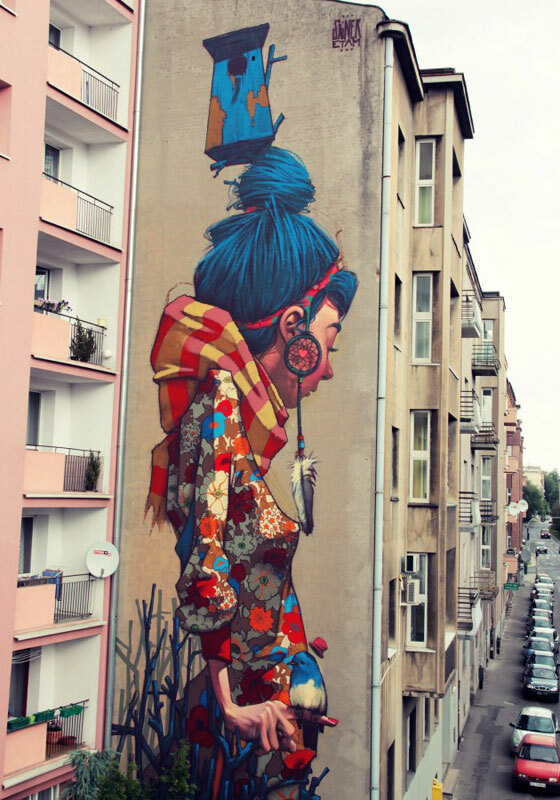 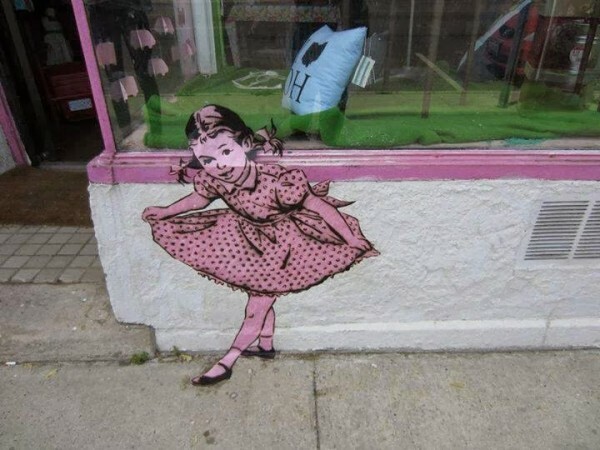 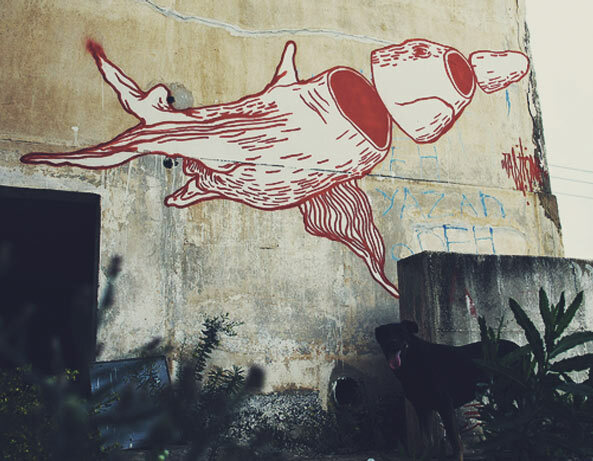 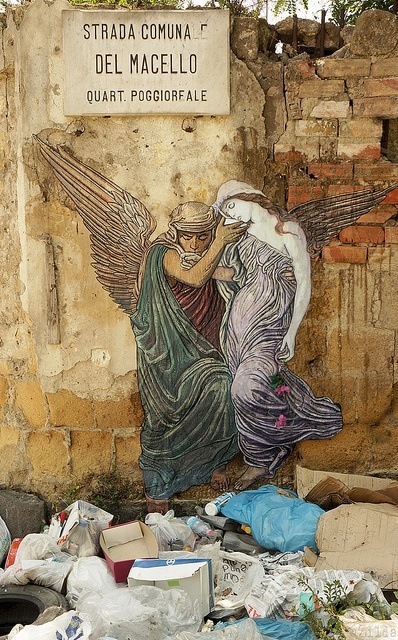 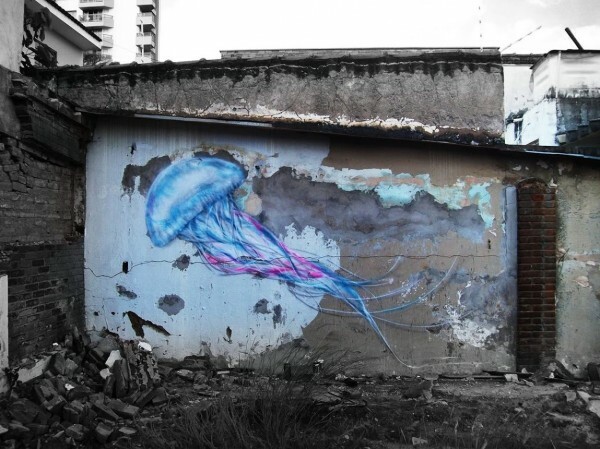 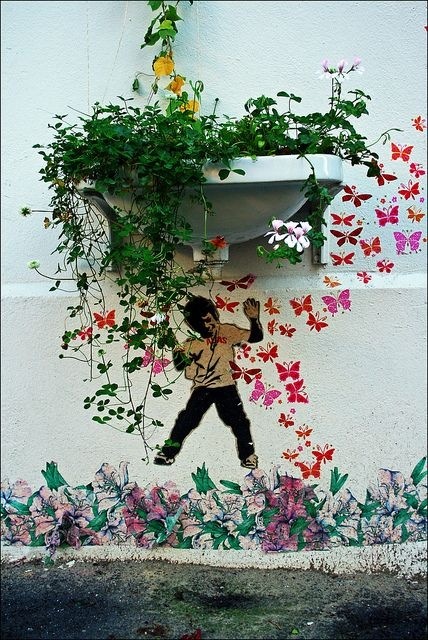 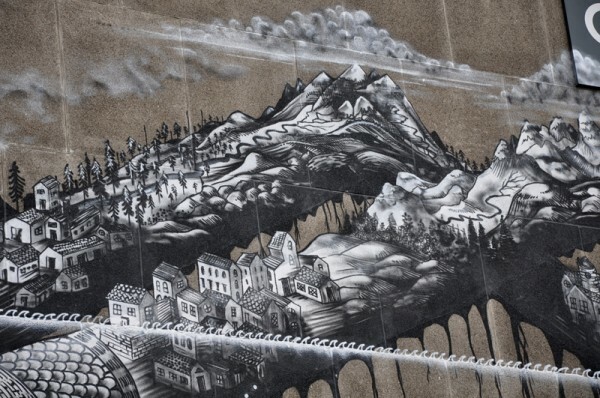 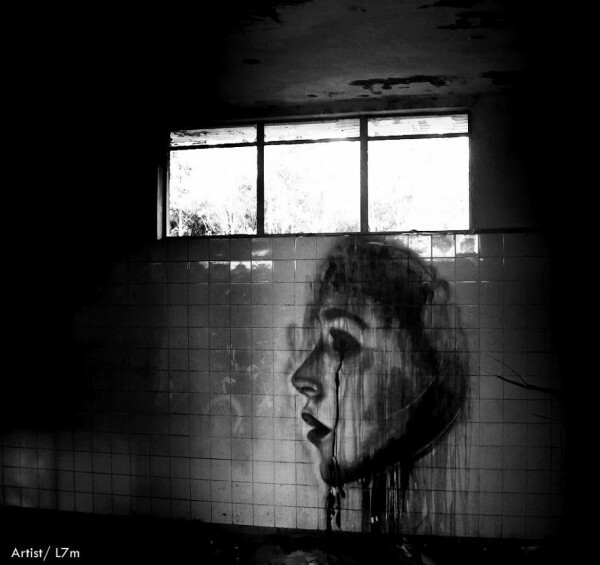 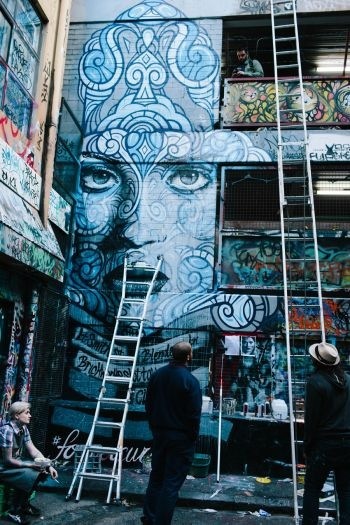 We live in a beautiful world of urban art that is all around us waiting to be discovered. 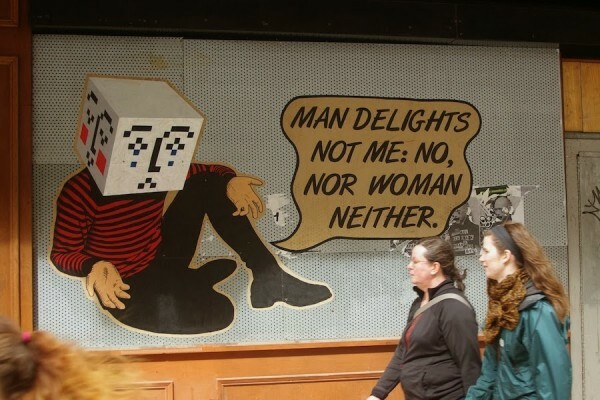 But in case you can’t be bothered to get up here is the latest update from Mr Pilgrim! 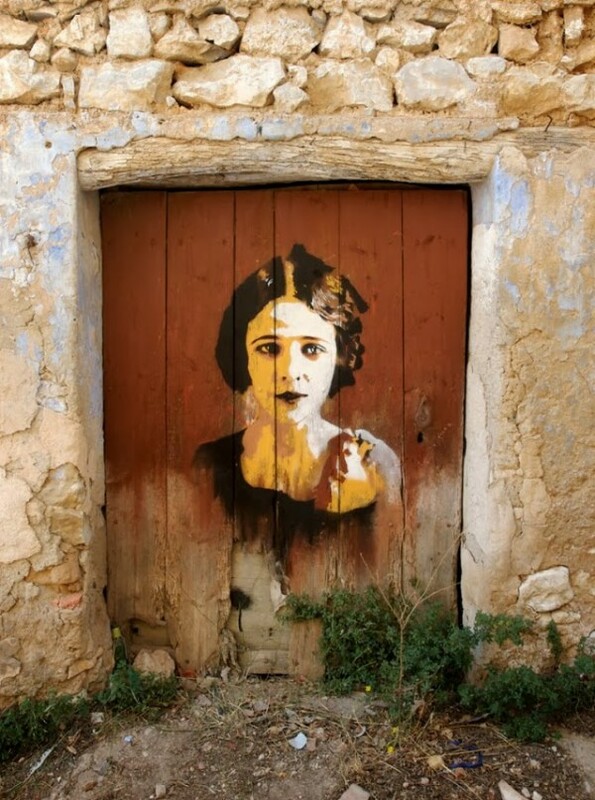 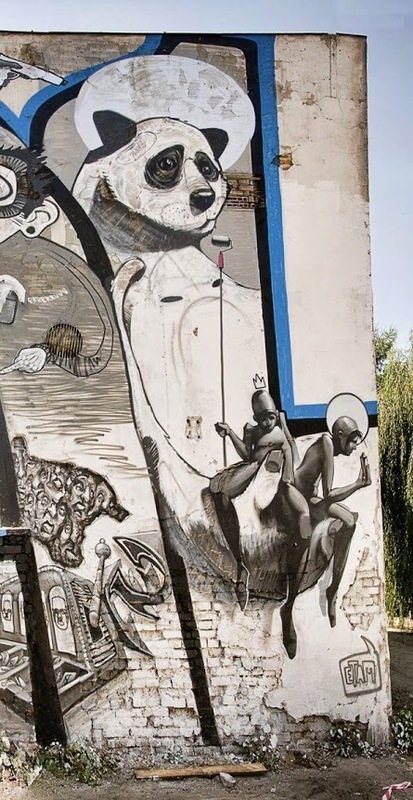 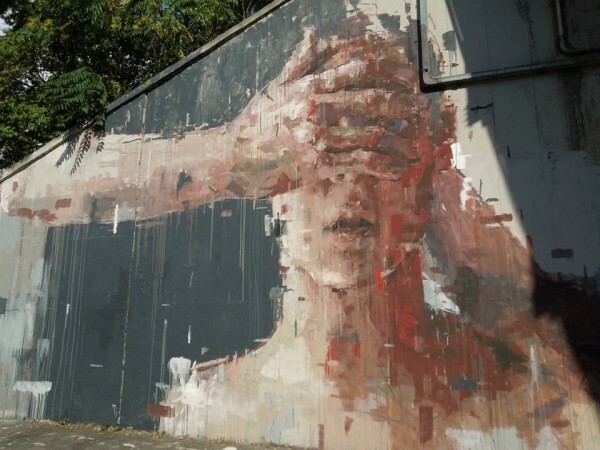 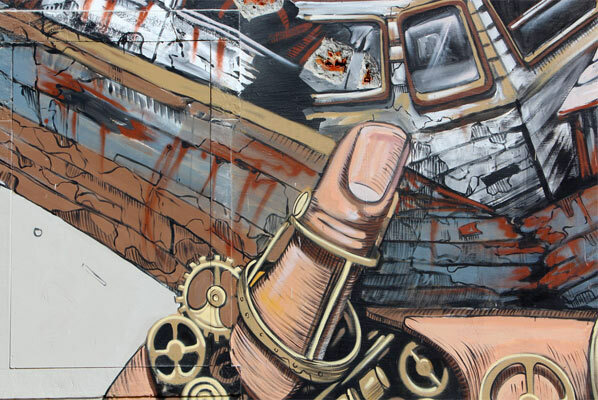 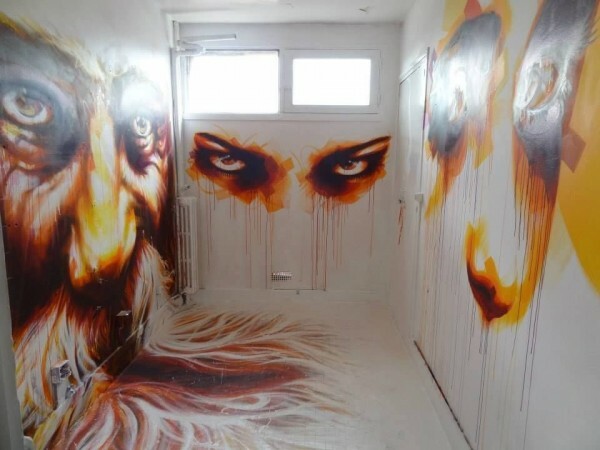 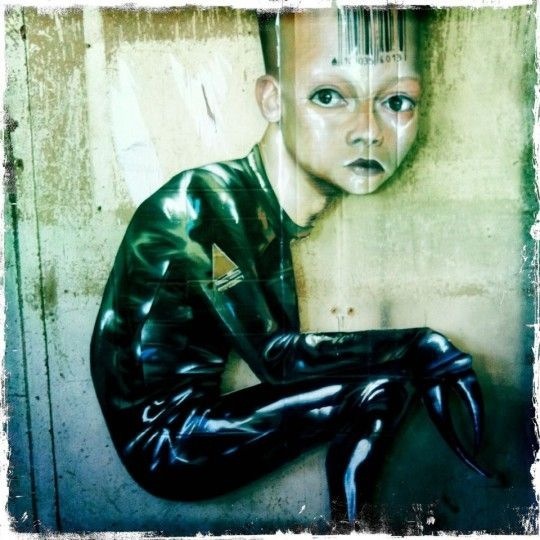 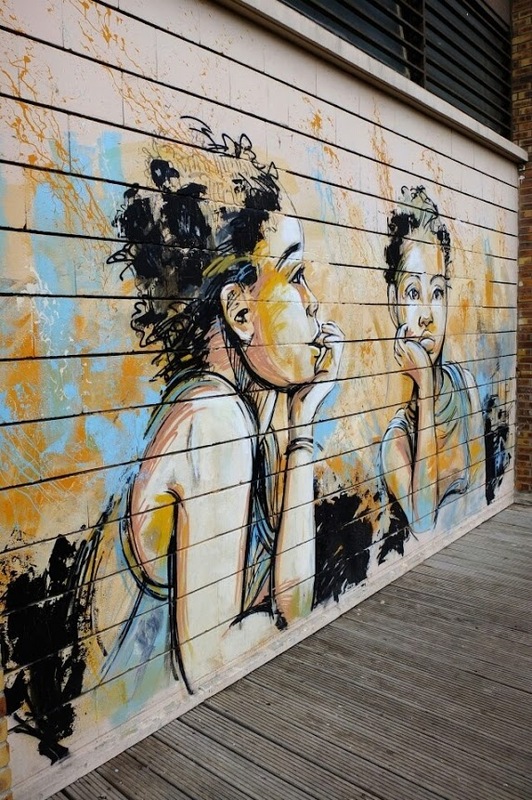 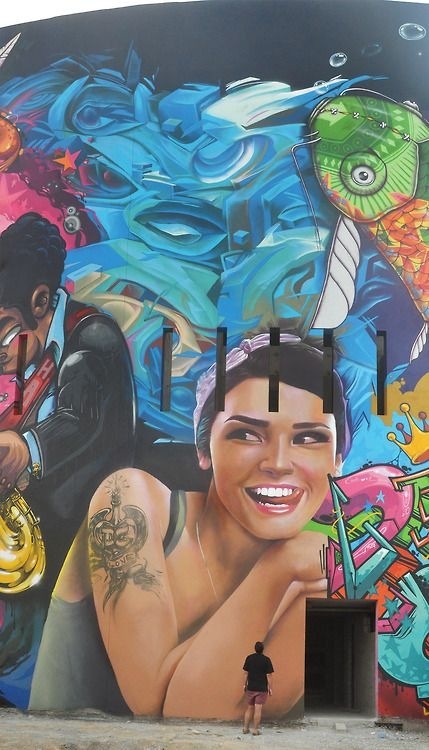 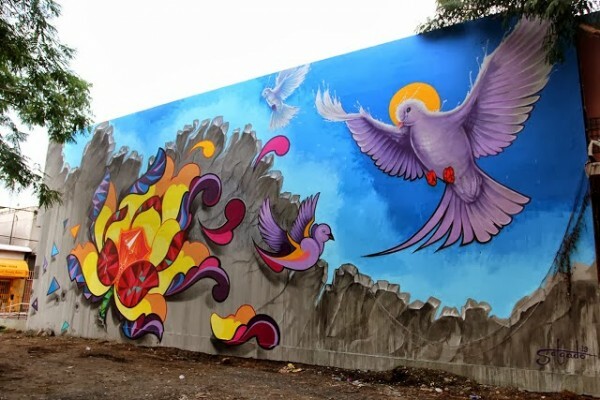 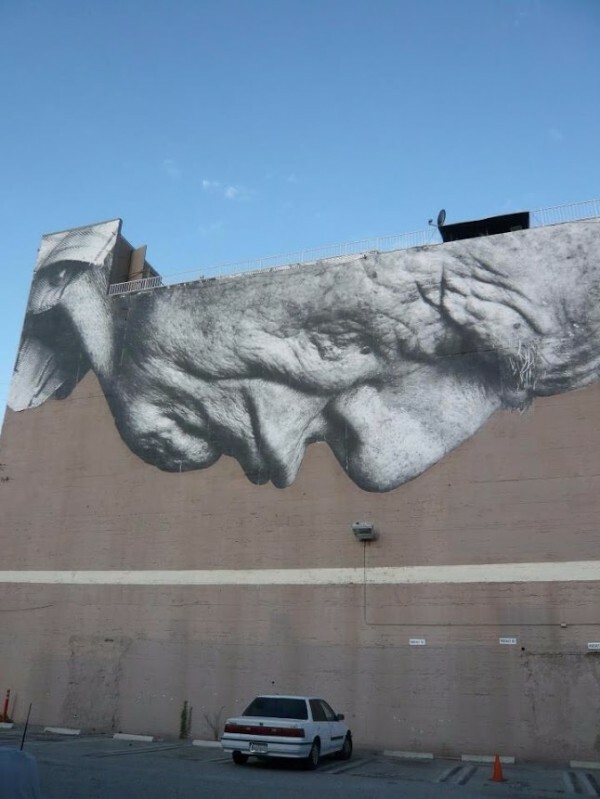 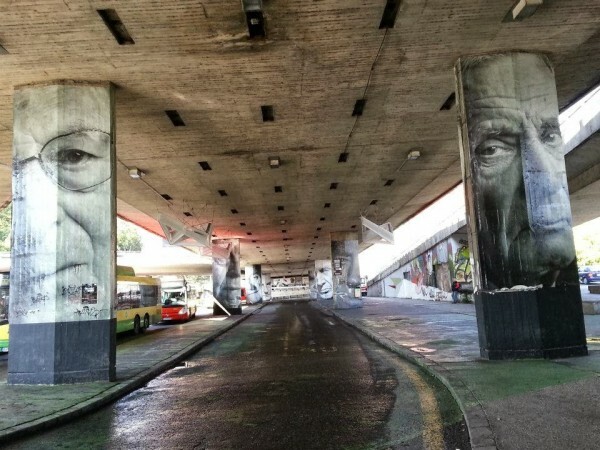 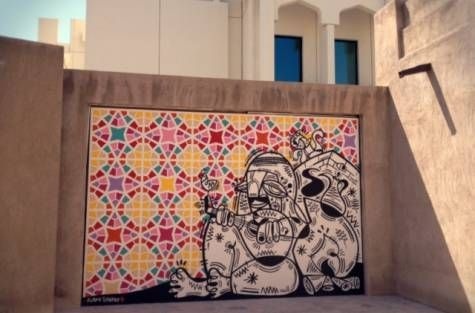 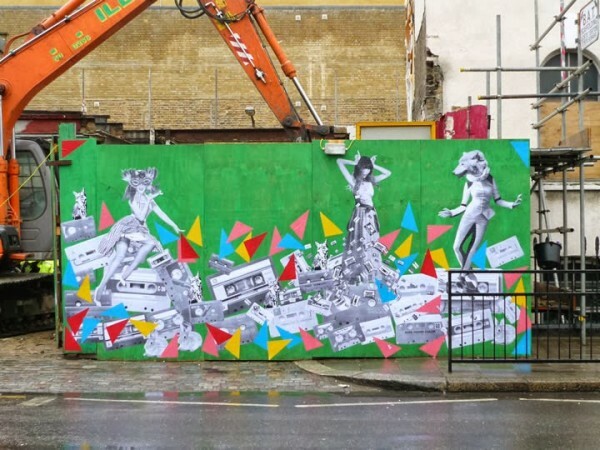 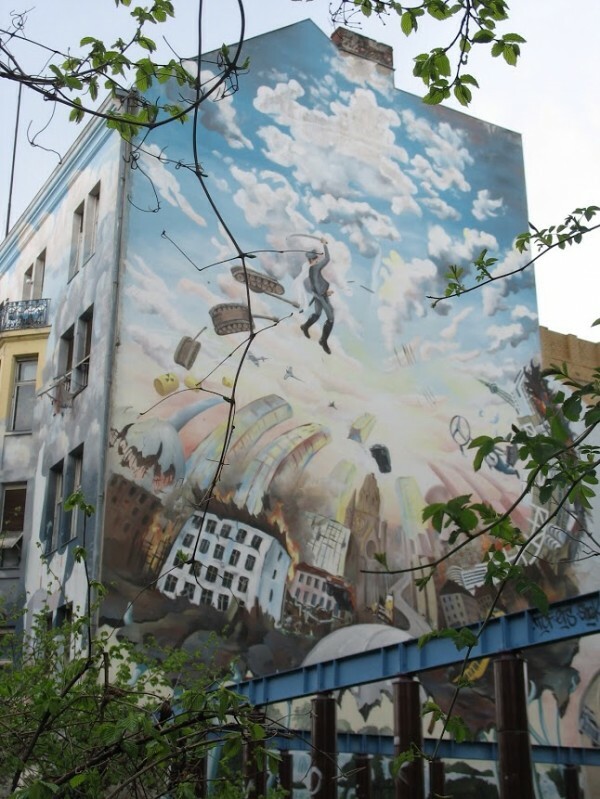 See all the latest finds on Mr Pilgrim’s google plus street art & wall murals page, alternatively catch up with all the previous urban art volumes here. 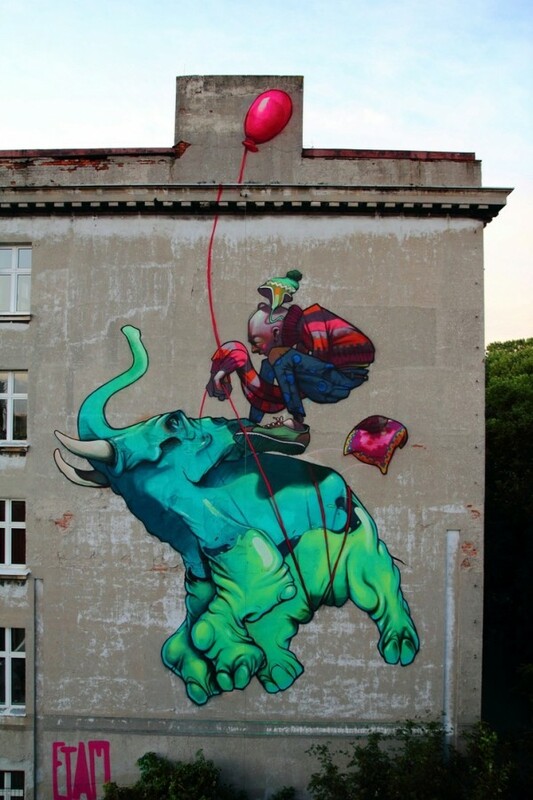 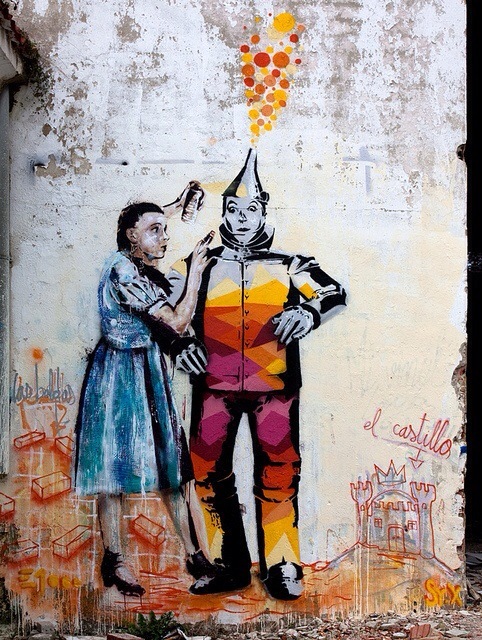 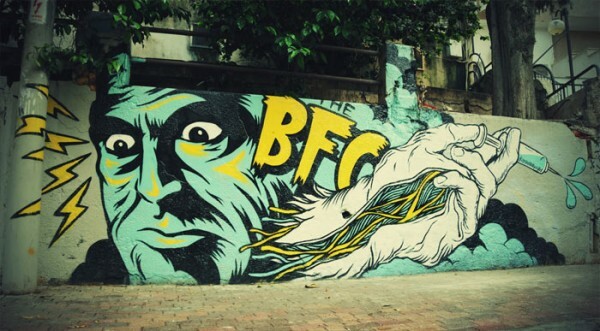 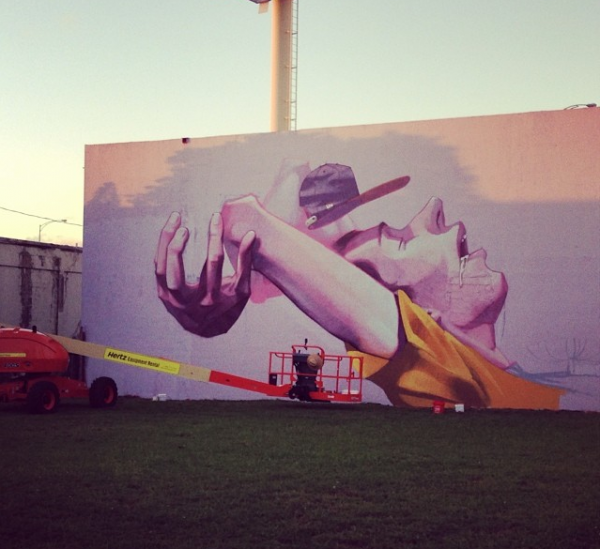 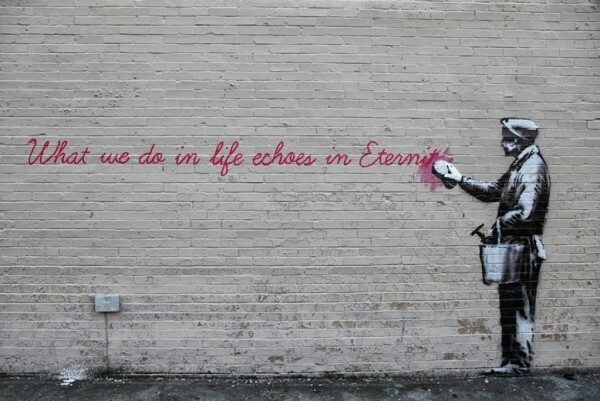 The first update of the year for our beautiful street art world, all the best to all of you out there for a great 2014! 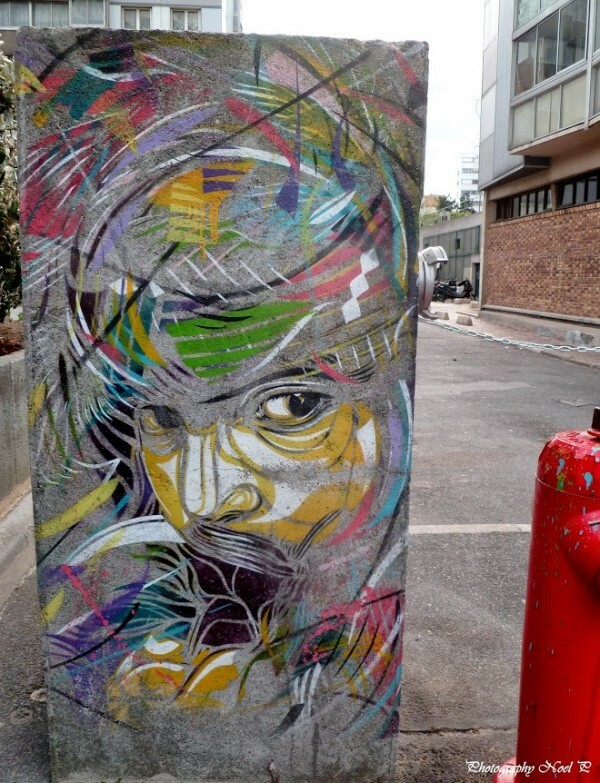 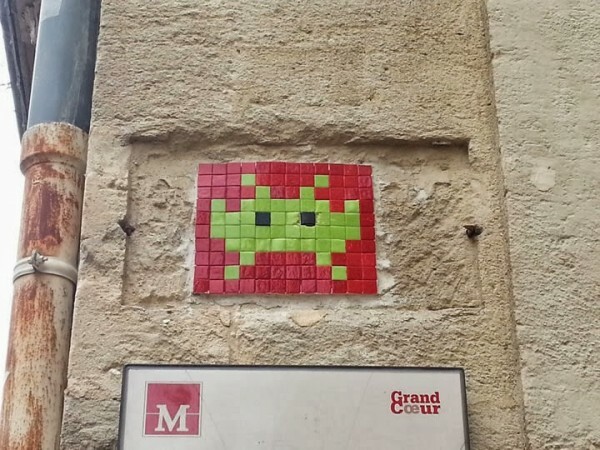 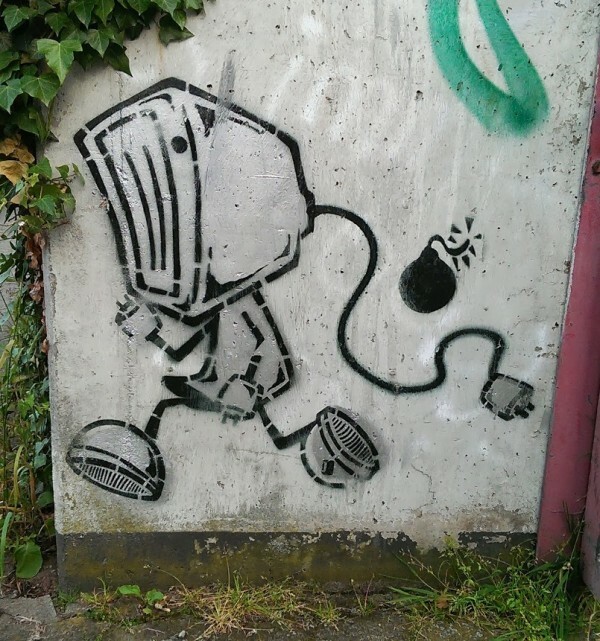 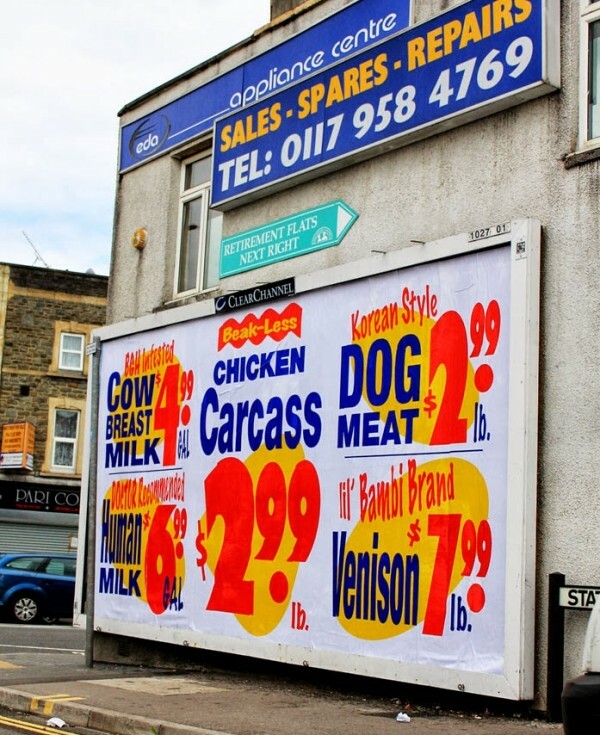 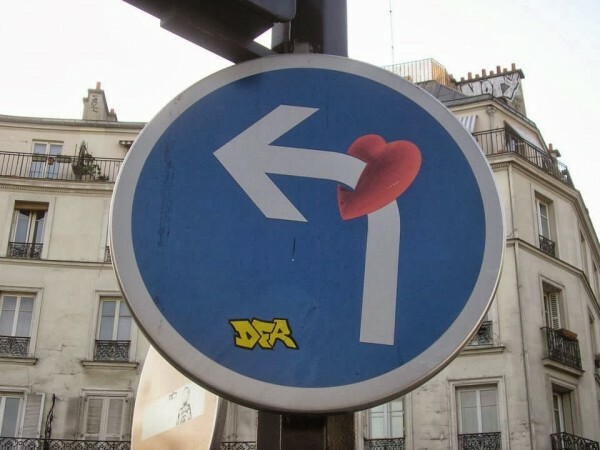 See more up to date posts from the world of street art on Mr Pilgrim‘s google plus page or alternatively catch up with urban art on his street art blog. 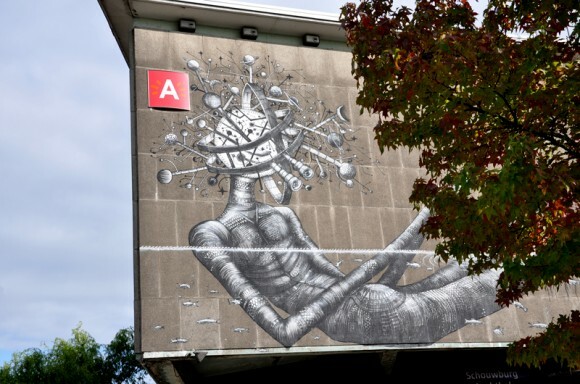 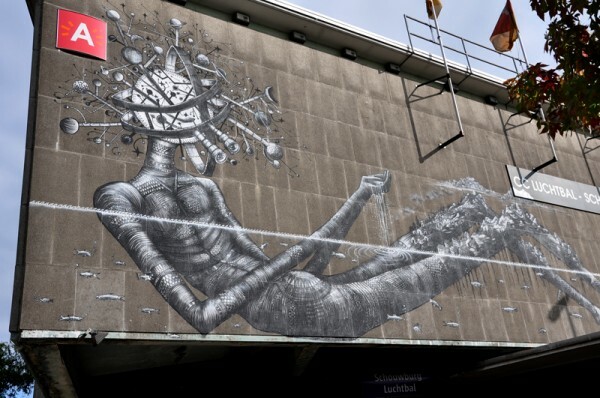 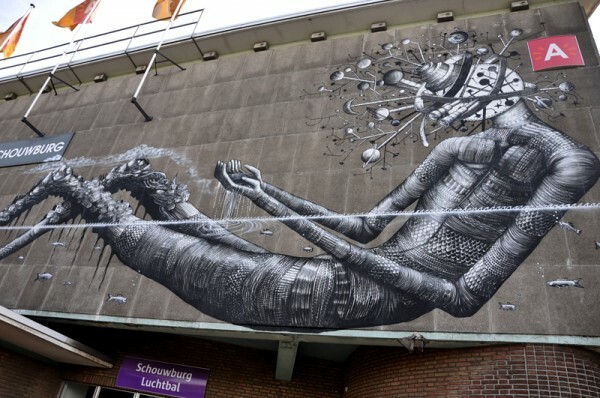 The world renowned and talented British street artist Phlegm visited Belgium in October to paint this amazing new wall mural. 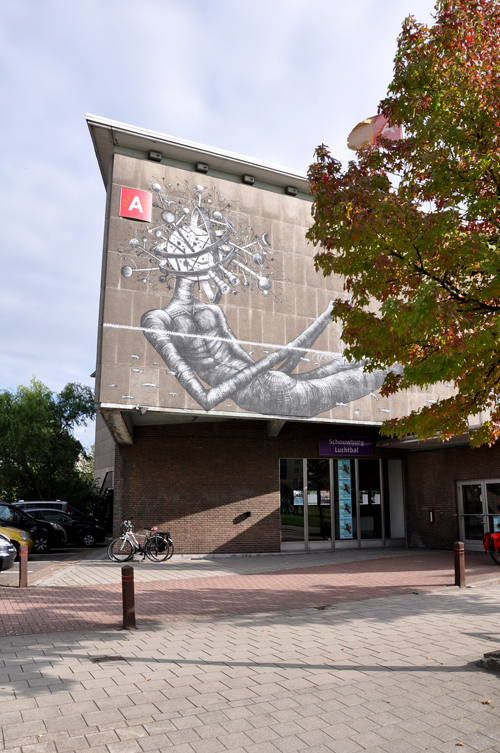 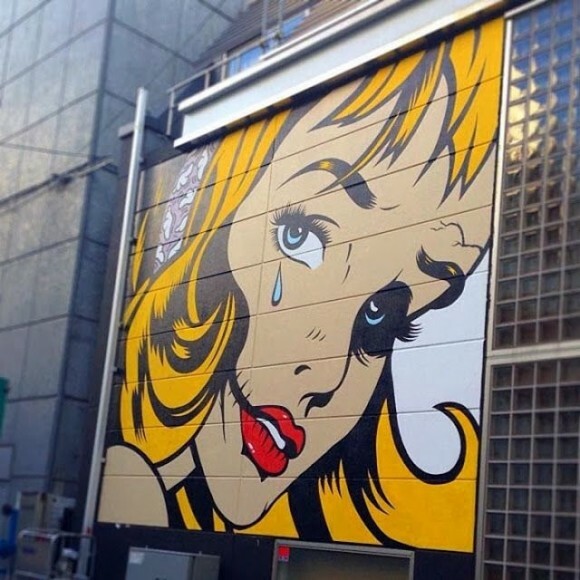 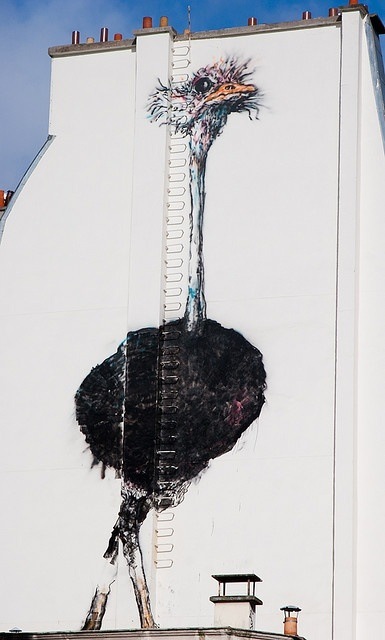 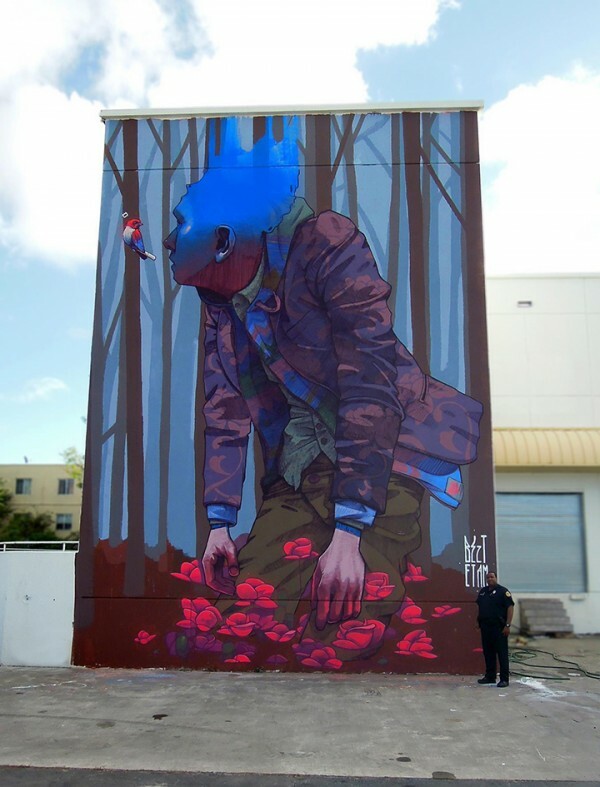 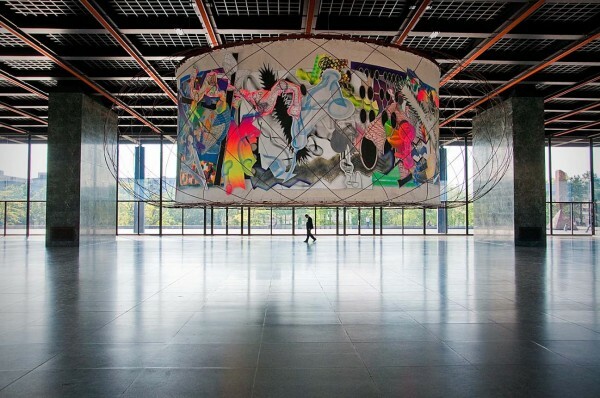 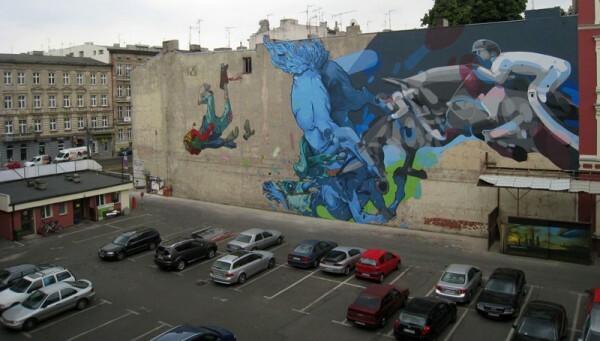 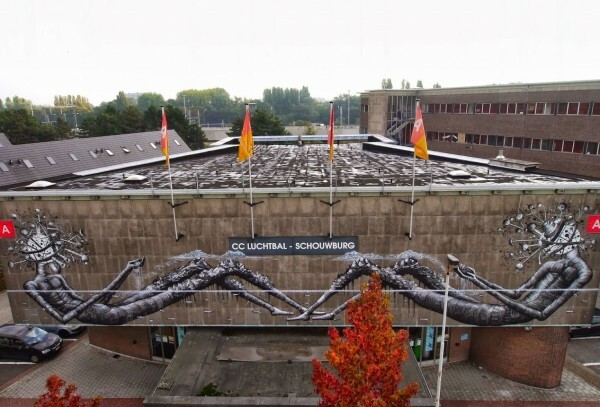 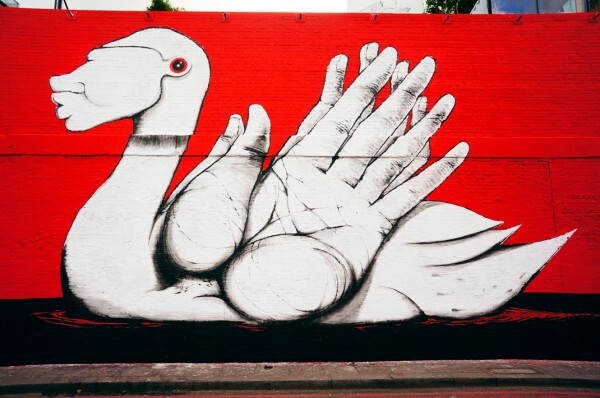 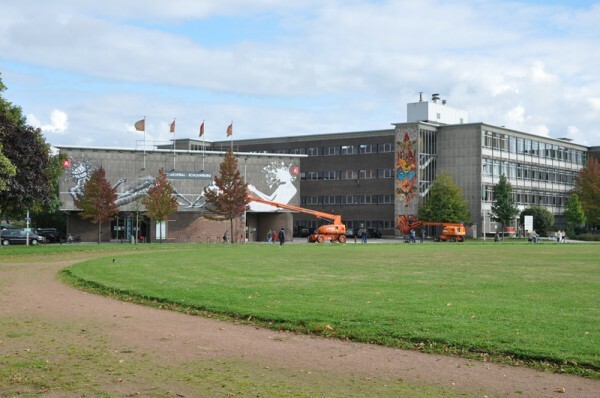 The large piece was painted on the cultural centre, Columbiastraat, Luchtbal in Antwerp. 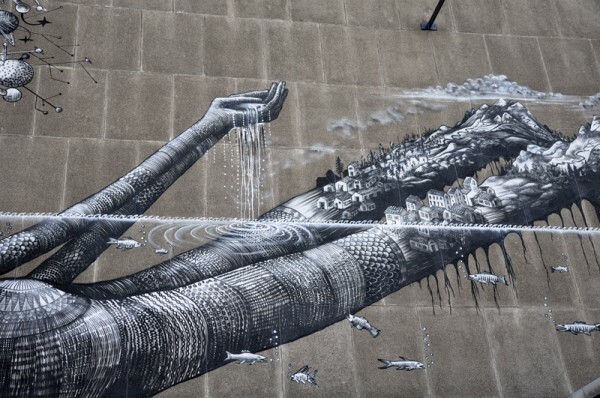 Phlegm is currently working on his next book with a basis on a series of myth inspired pieces painted in large scale on large walls! 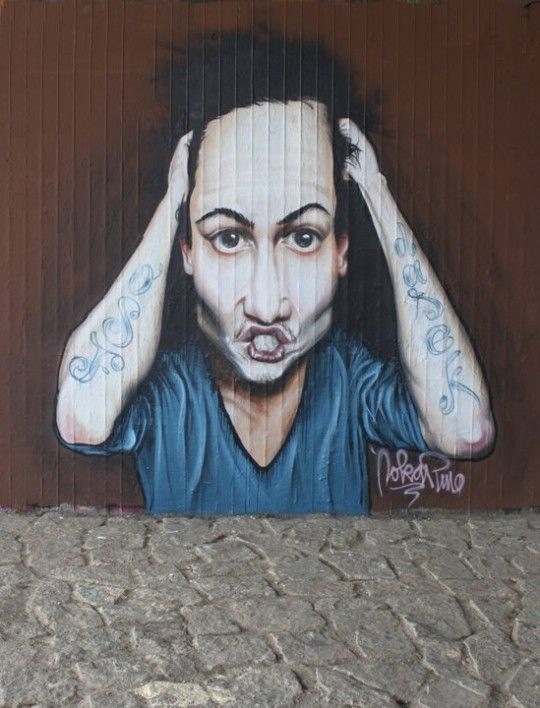 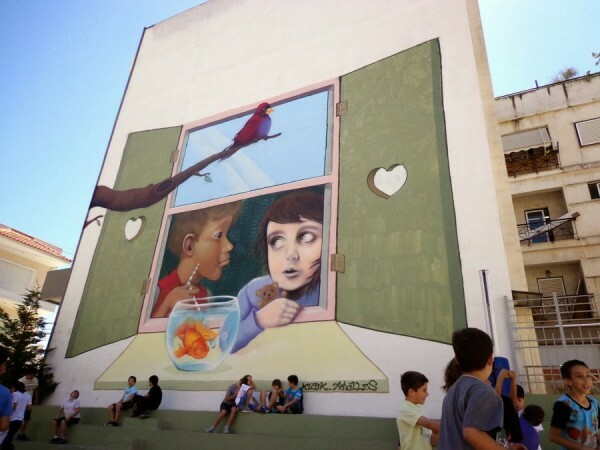 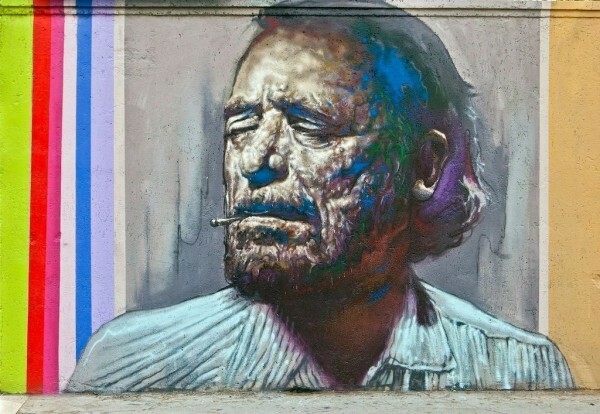 See more street art, urban art & wall murals from the world’s street artists on Mr Pilgrim‘s google plus page. 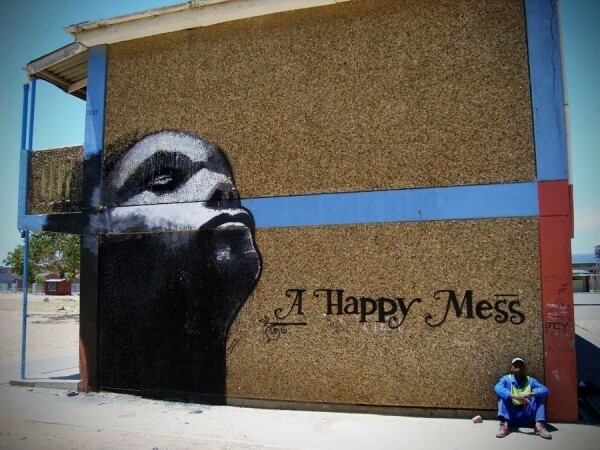 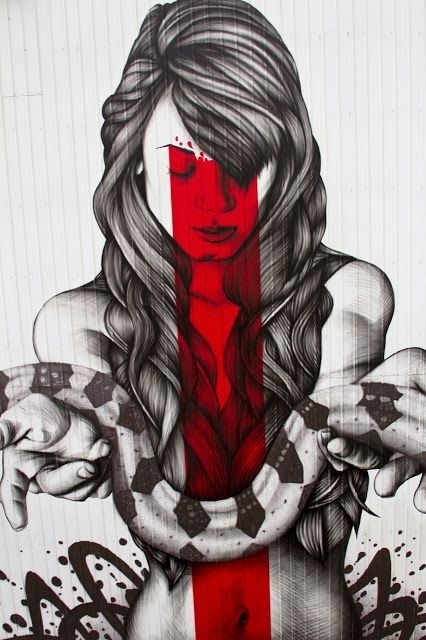 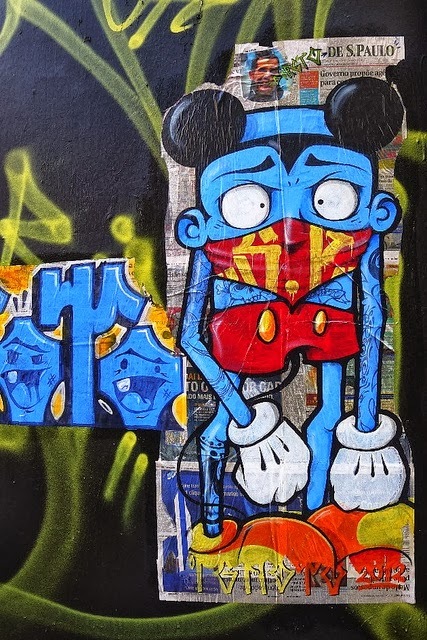 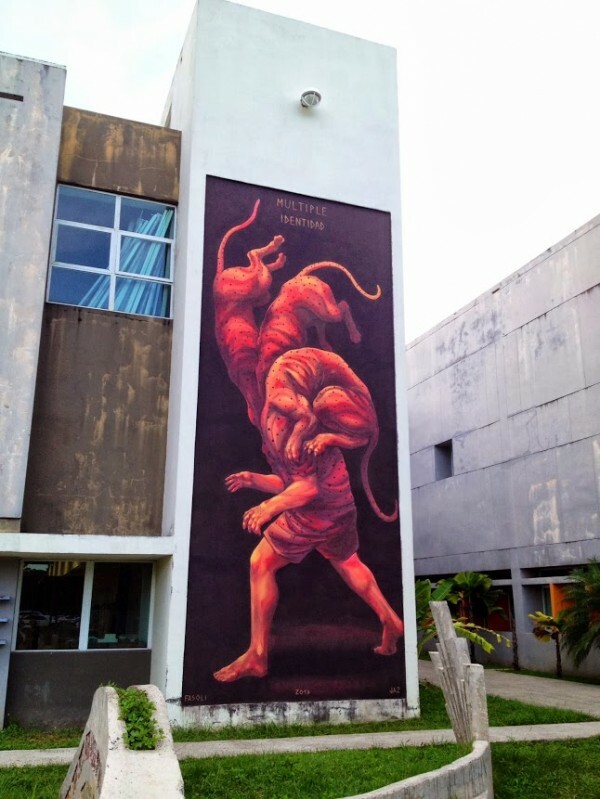 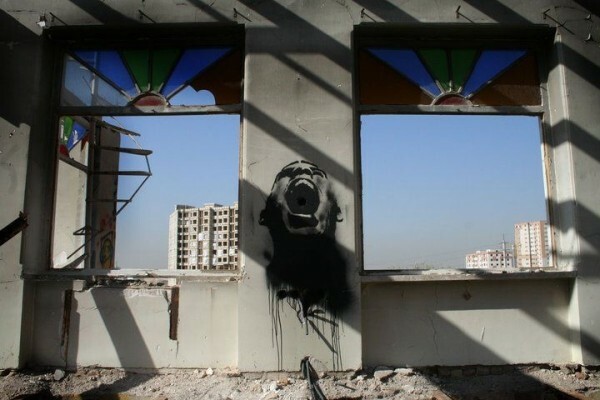 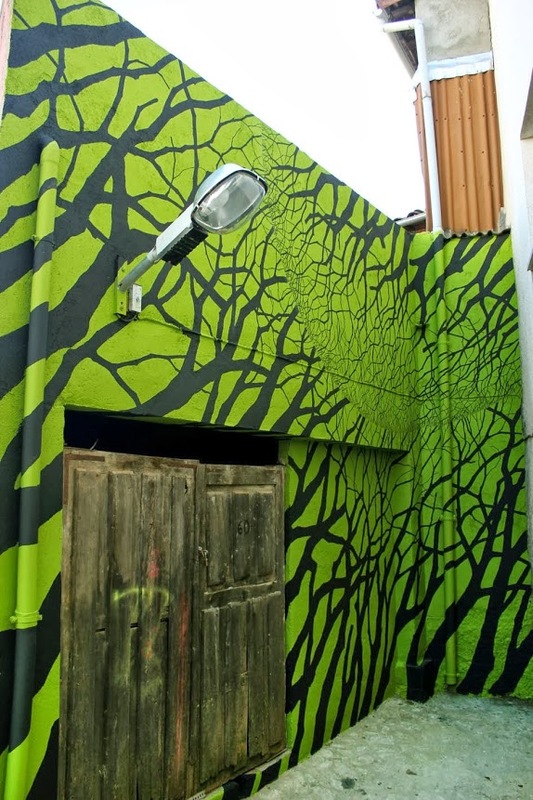 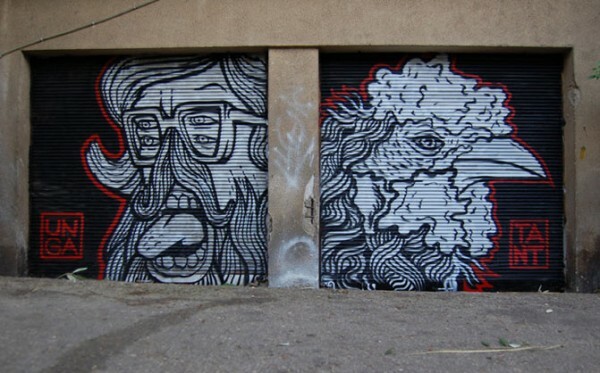 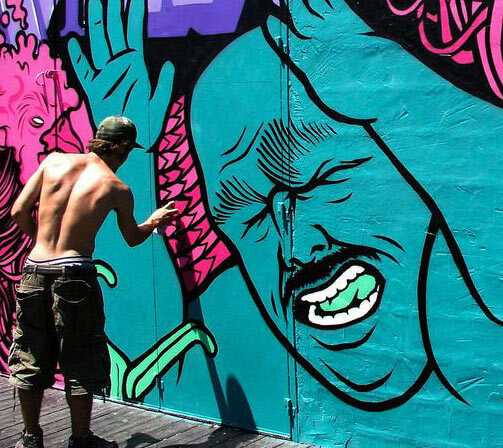 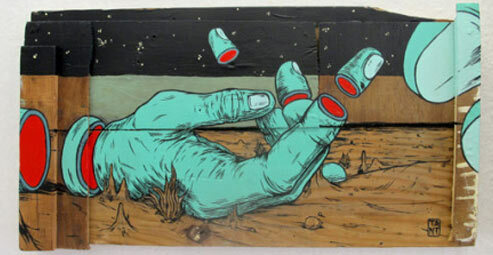 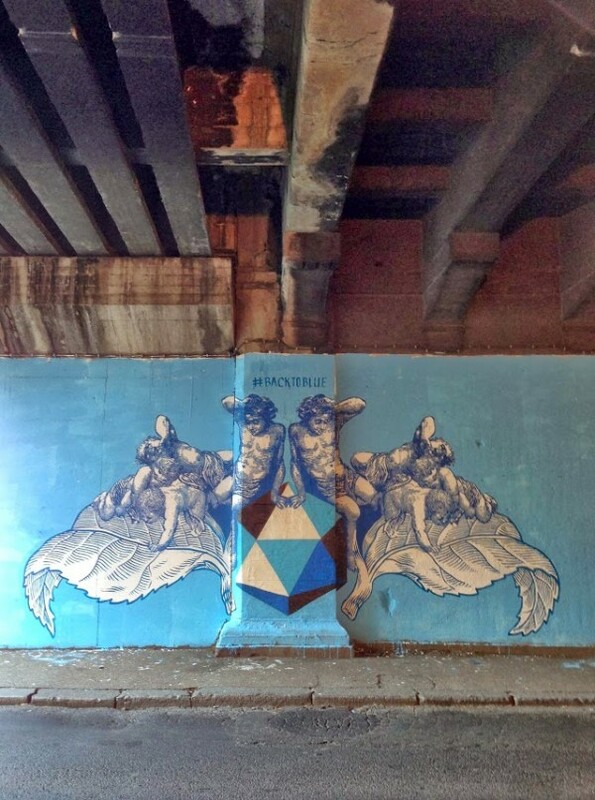 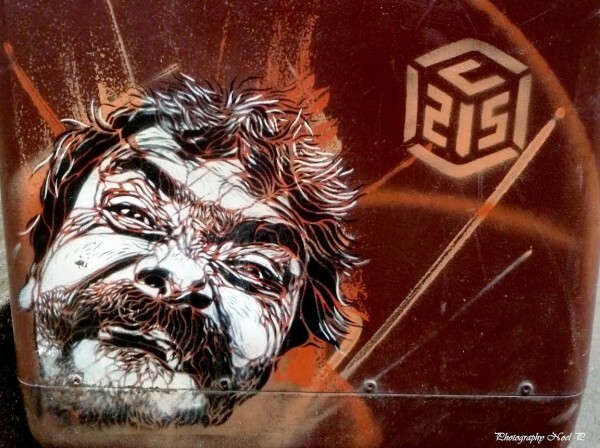 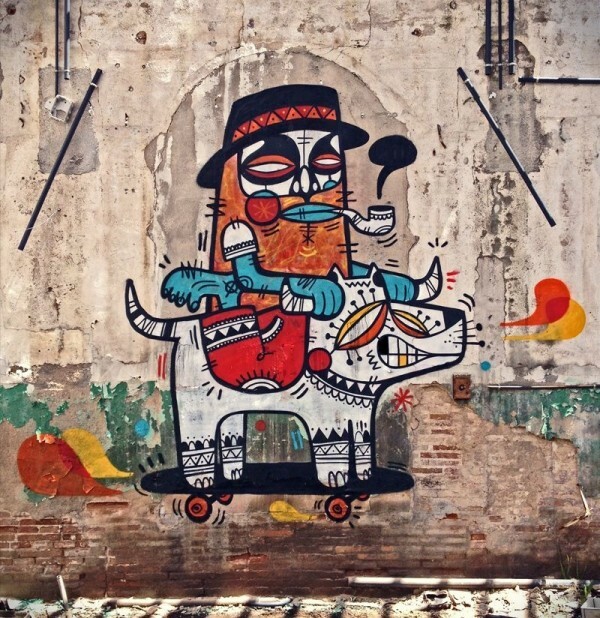 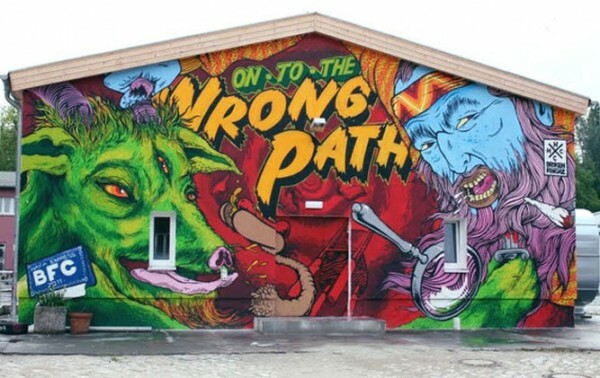 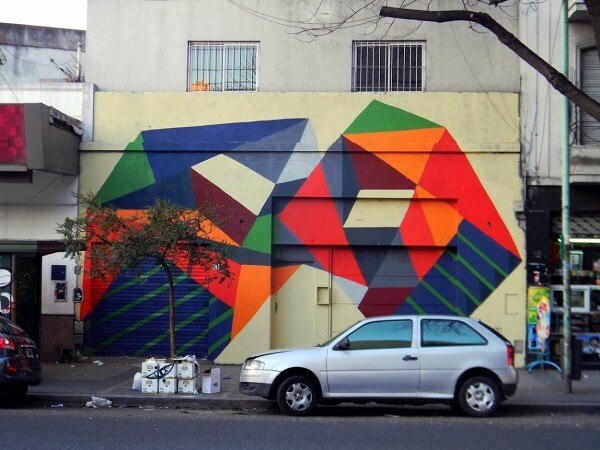 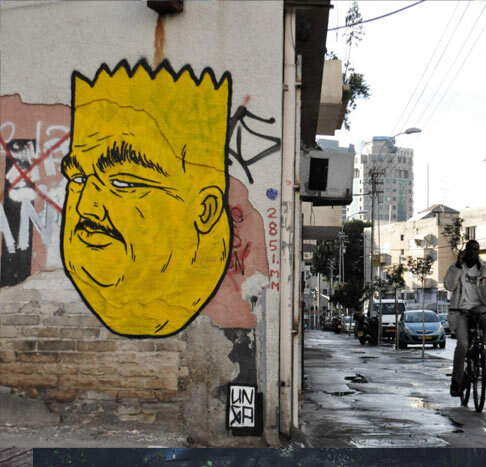 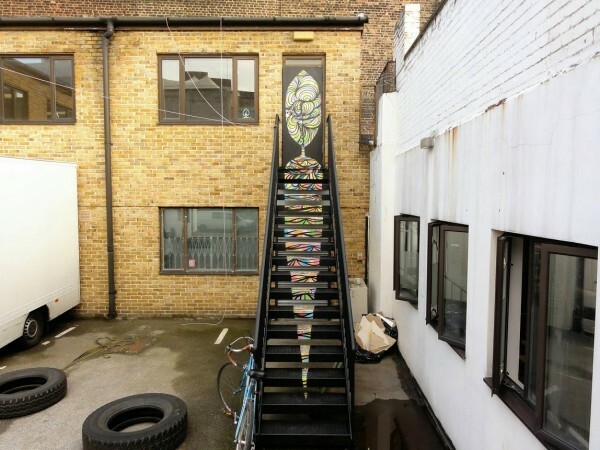 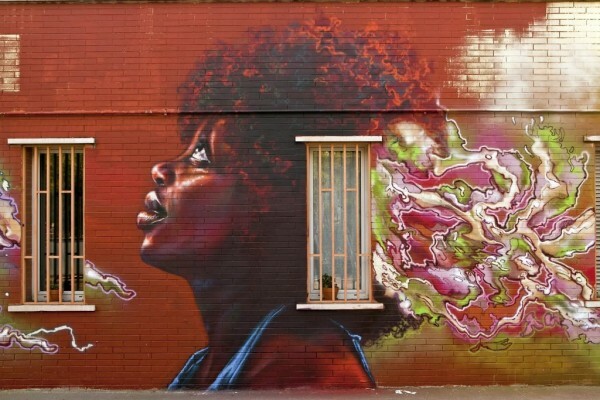 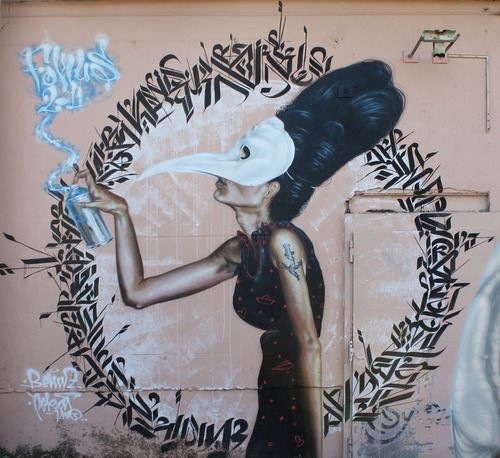 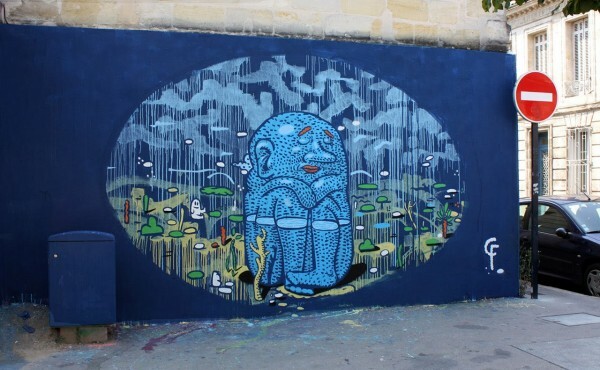 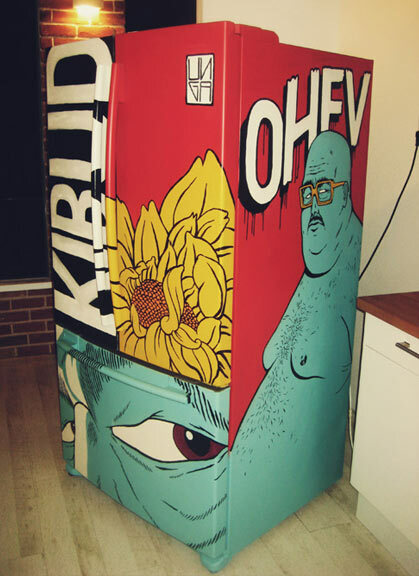 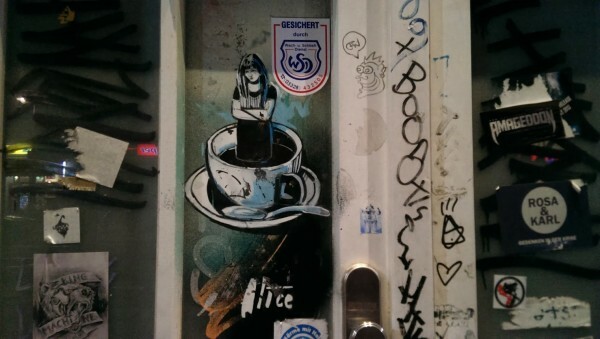 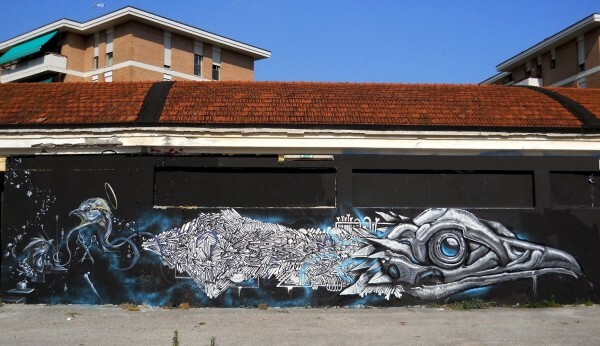 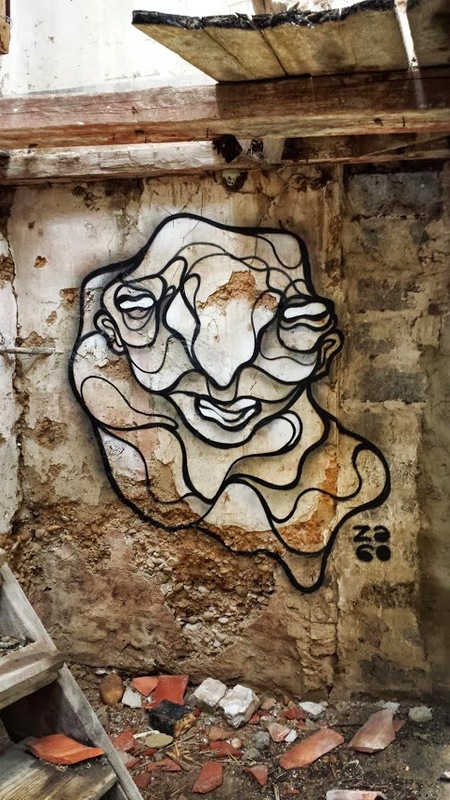 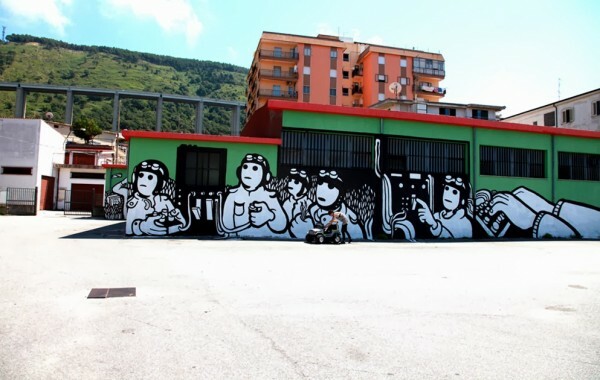 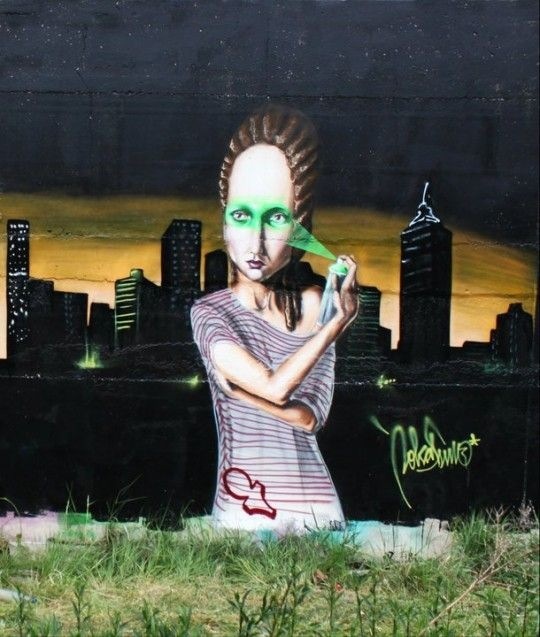 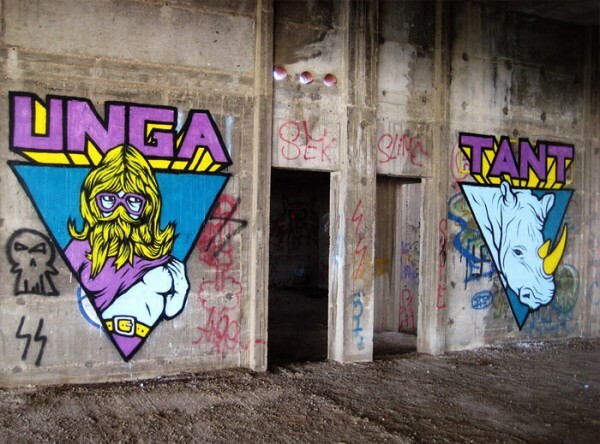 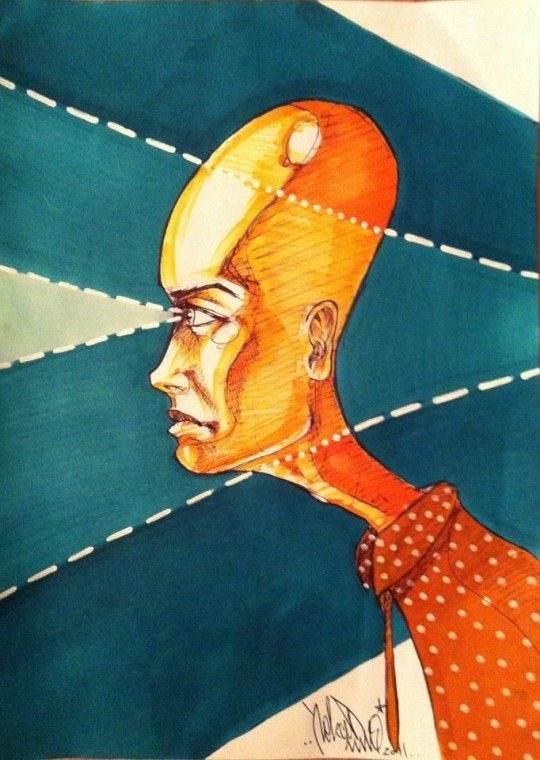 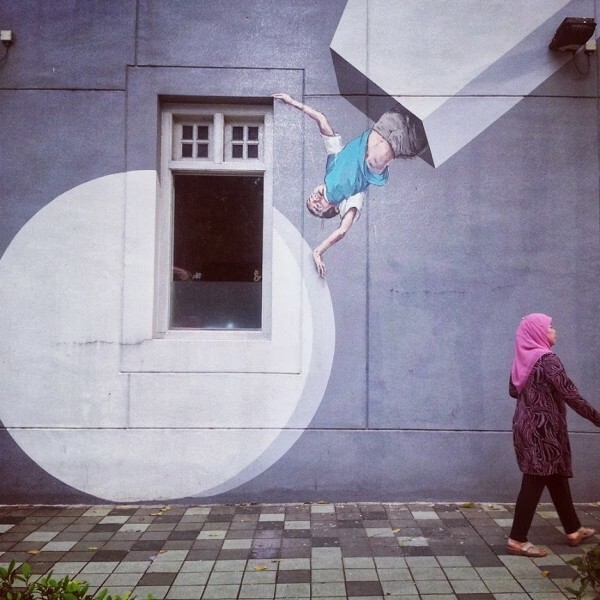 Alternatively catch up on previous posts of amazing art from around the world in Mr Pilgrim’s urban art blog. 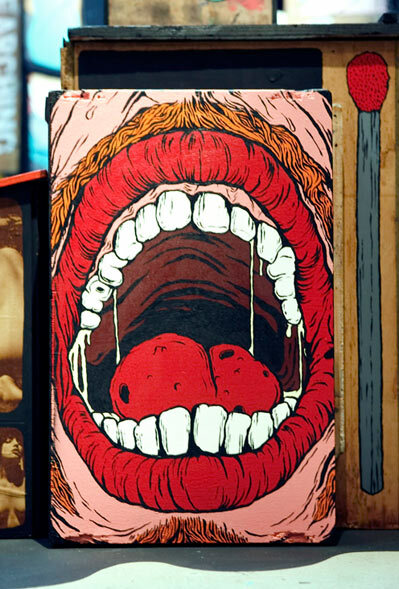 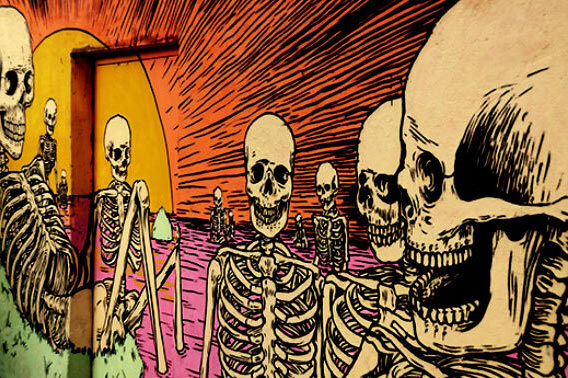 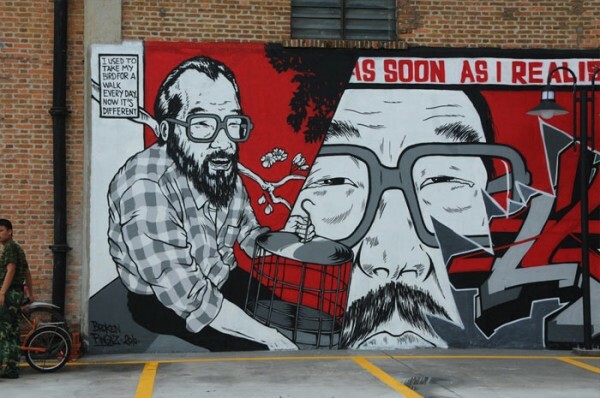 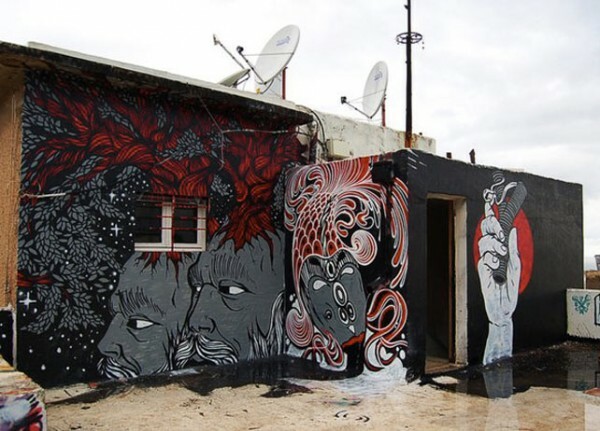 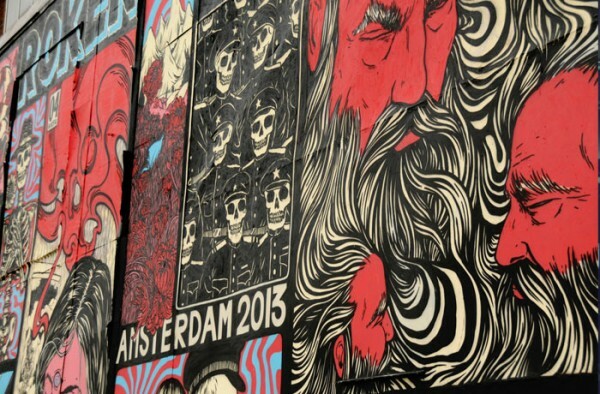 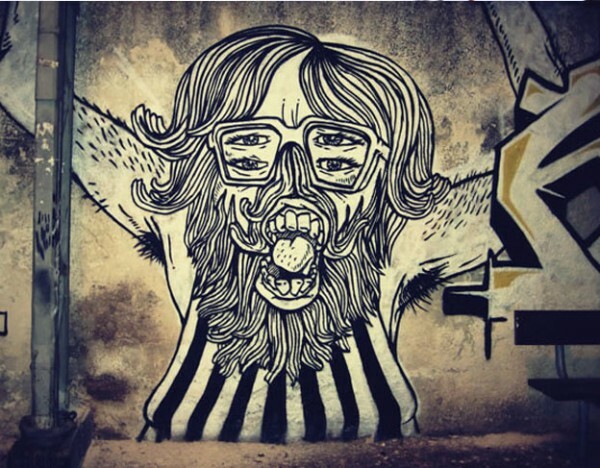 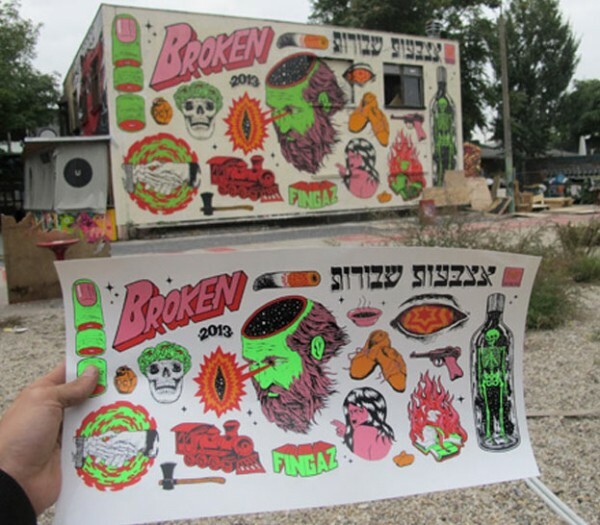 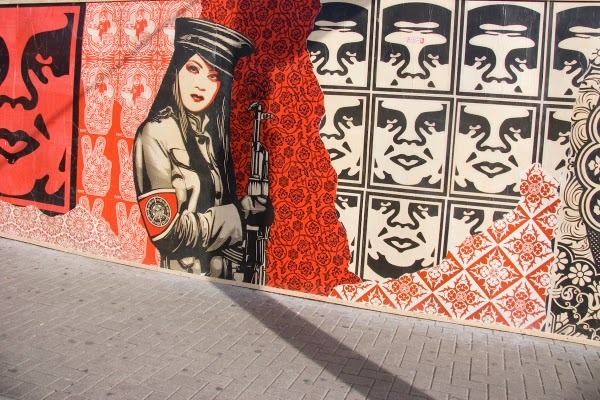 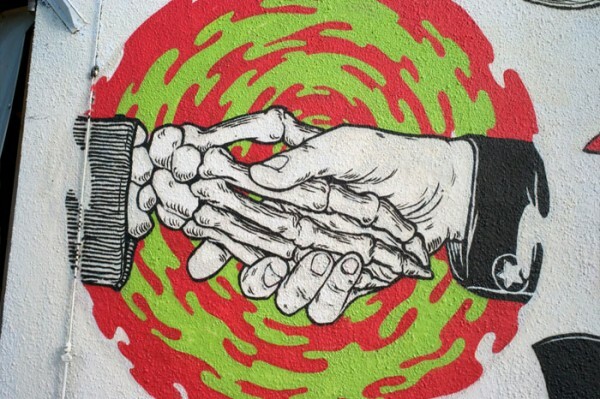 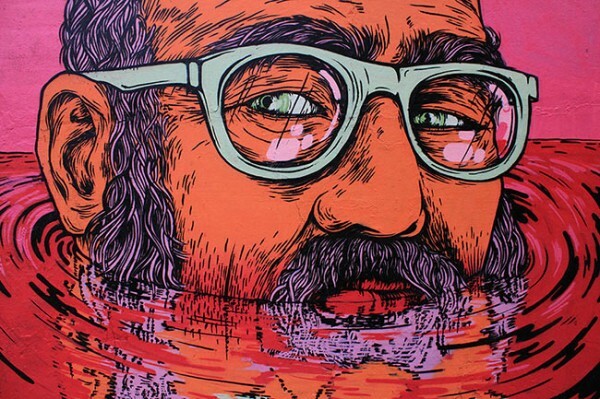 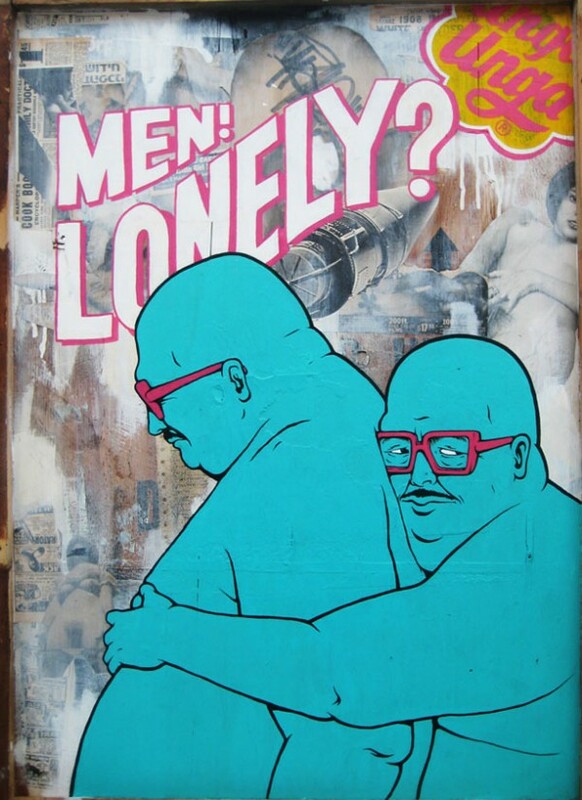 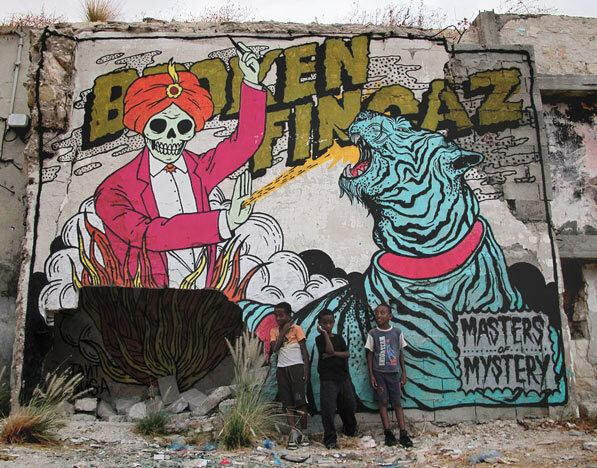 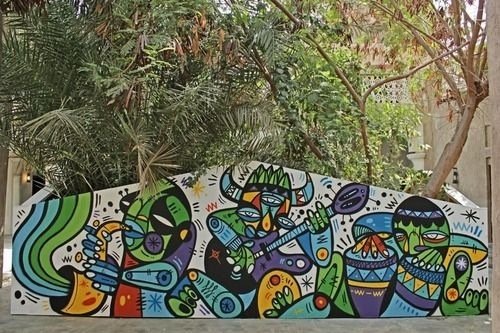 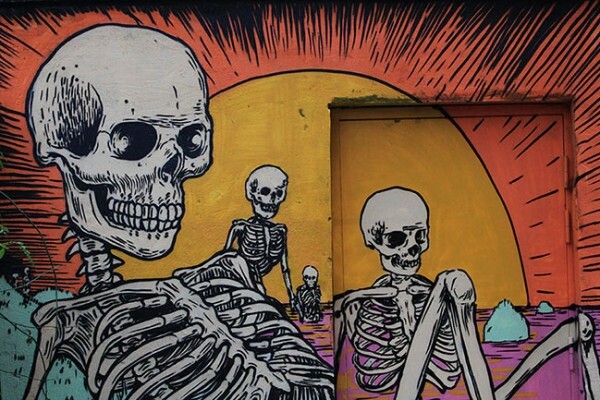 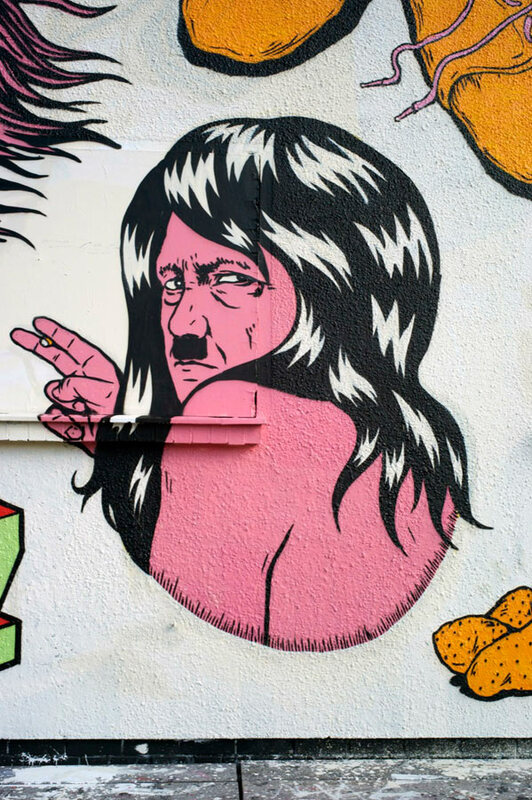 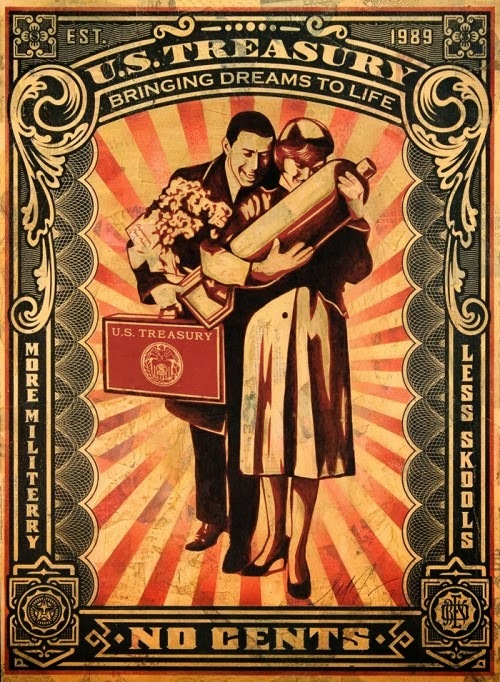 A collection of incredibly talented street artists make up the Israel based Broken Fingaz Crew. 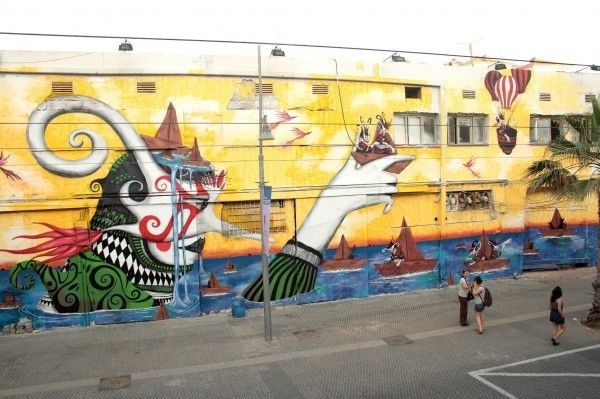 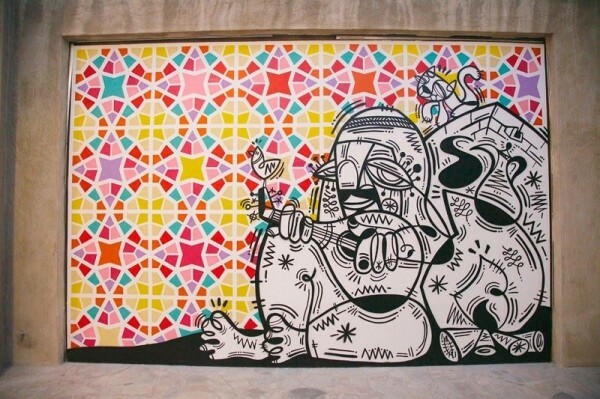 They hail from the town of Haifa where you will find their brightly coloured creations adorning many walls in and around the city. 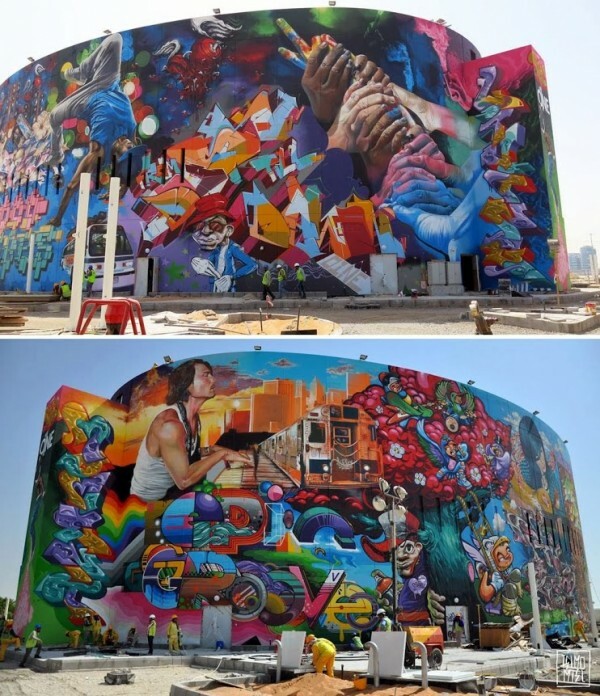 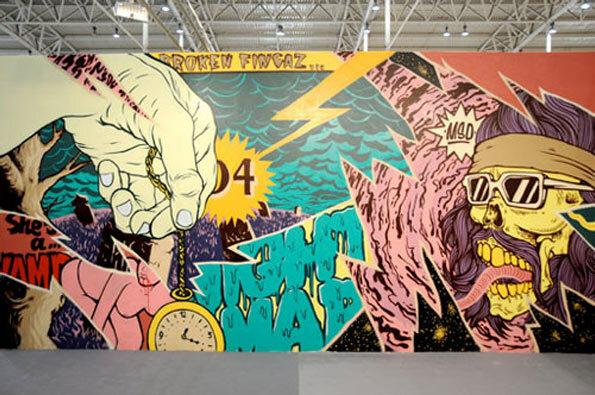 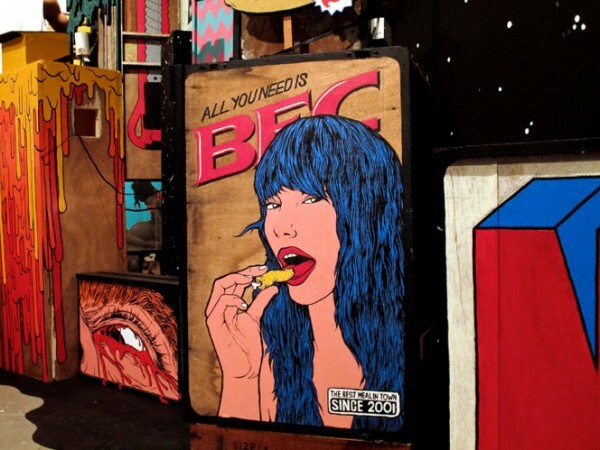 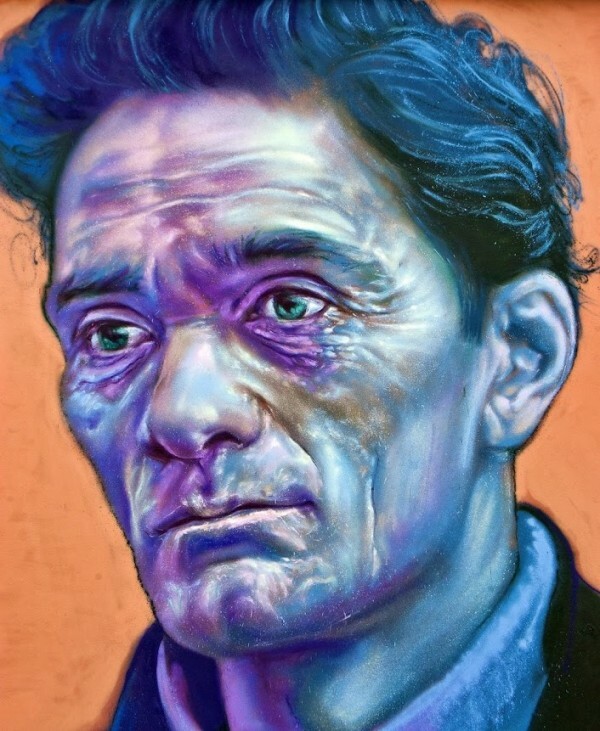 They have travelled all over the world painting their vivid, strange and eclectic work and can be counted among the world’s best urban artists. 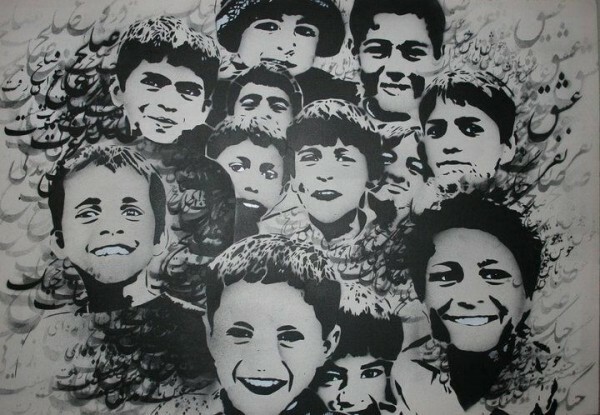 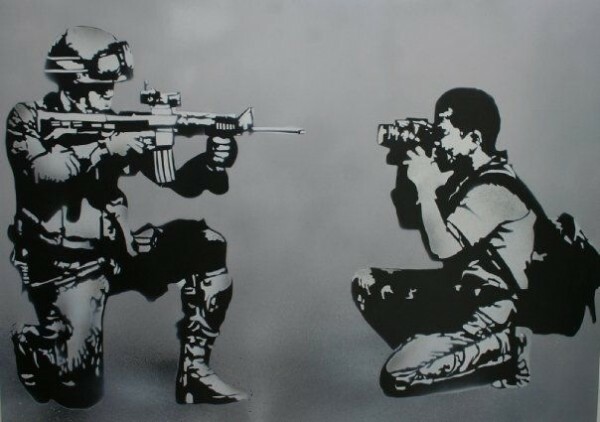 Their work is not political although deeper meanings can be found in some of their work. 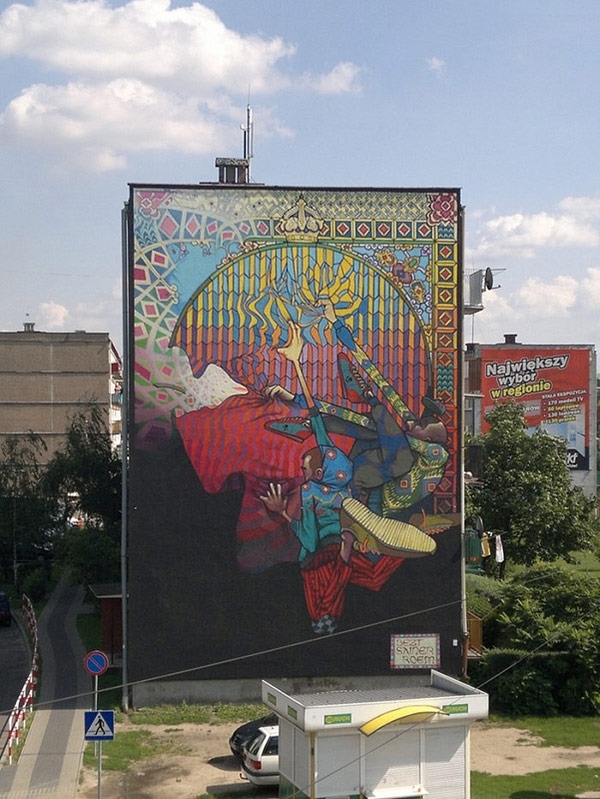 With inspiration coming from the world around them, their colourful background and a gypsy influence their work is at once varied and steeped in detail. 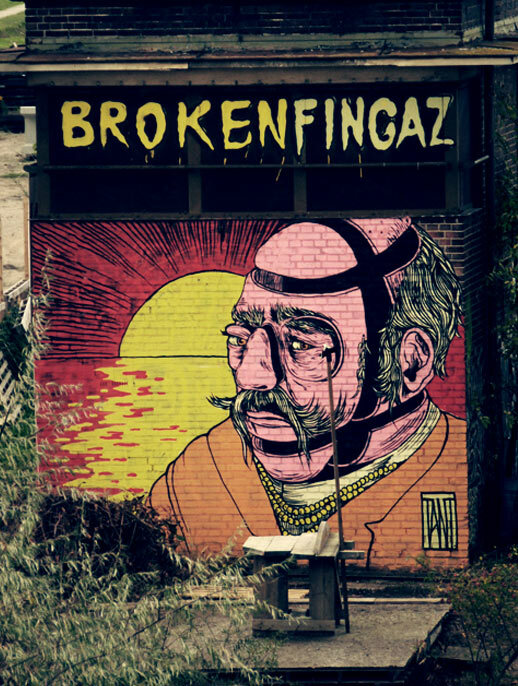 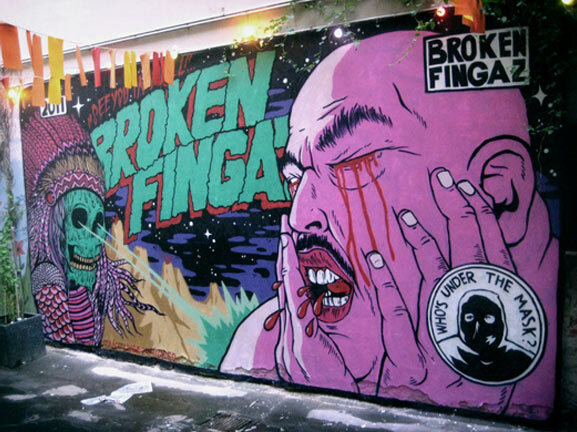 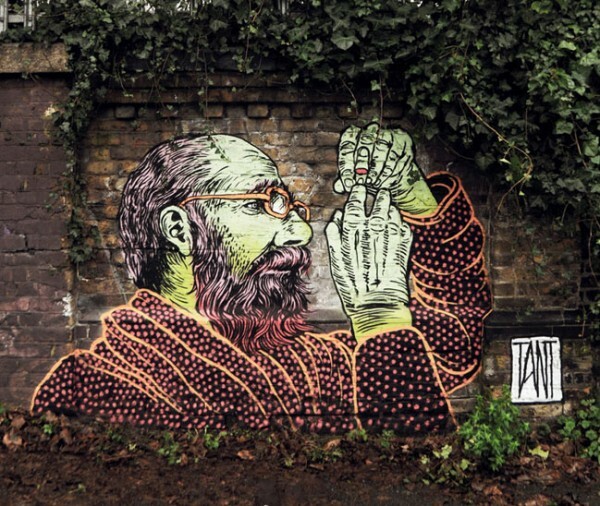 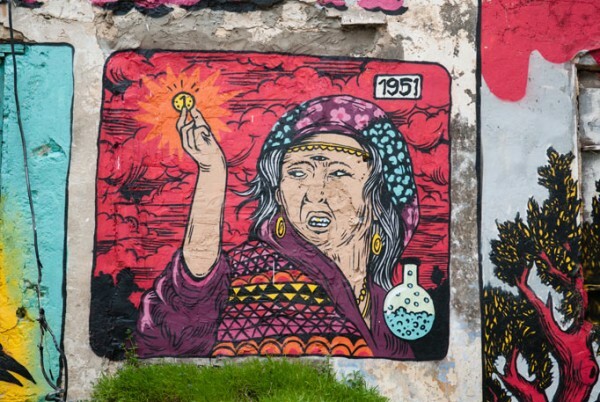 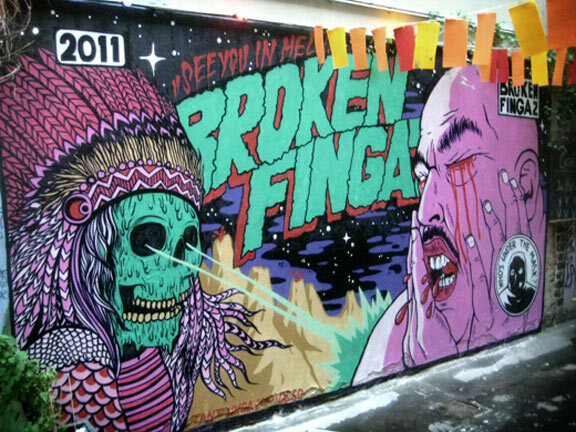 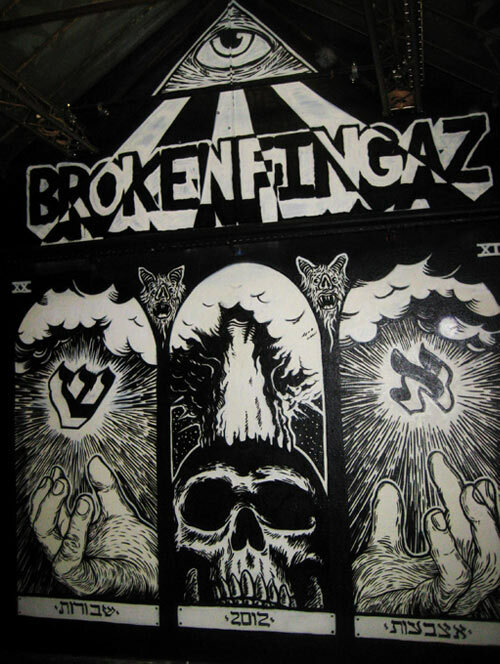 Broken Fingaz crew is made up of Unga, Kip, Deso and Tant, two of them grew up in a comune (Unga & Kip) where from a young age they were surrounded by artists, musicians and gypsies inspiring them to pursue an artistic career. 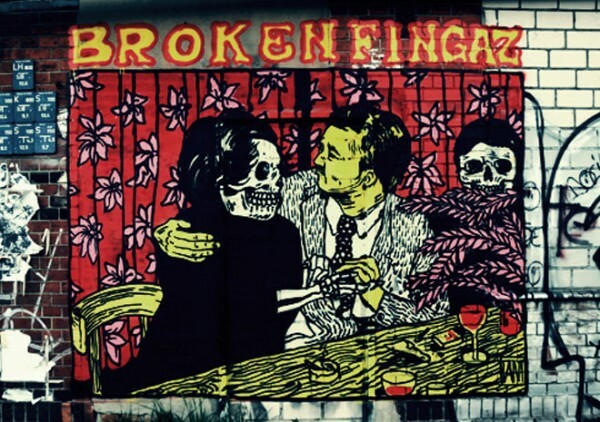 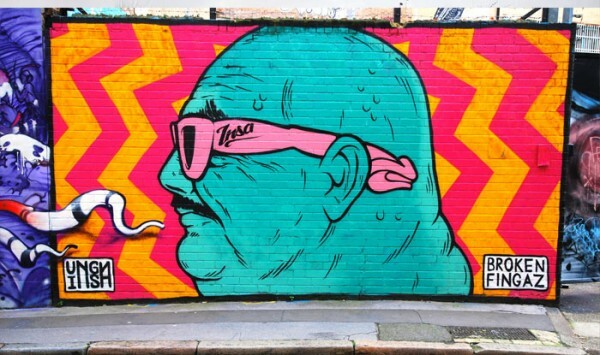 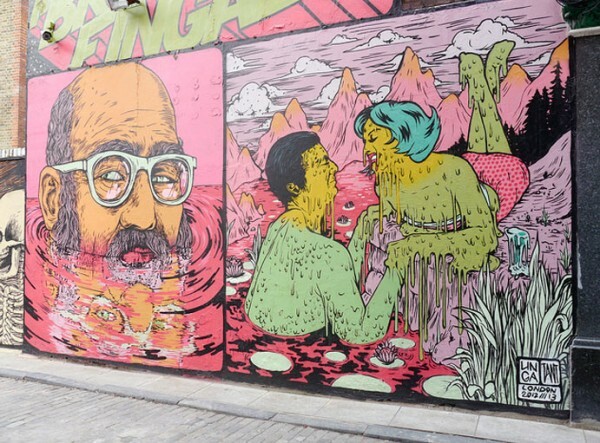 Last year Broken Fingaz hosted their first London exhibition in the Old Truman Brewery in Brick Lane, undoubtedly the first of many as their following will continue to grow. 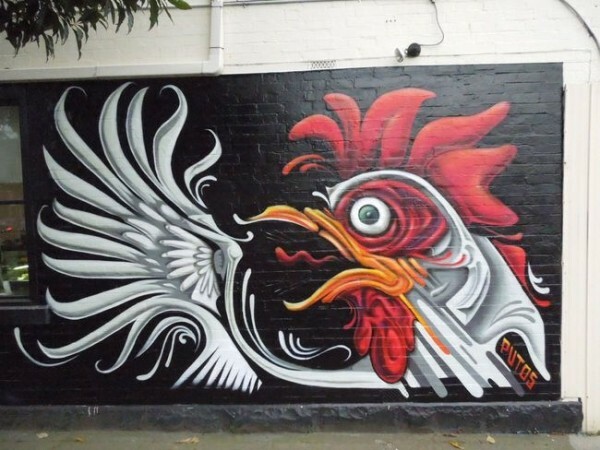 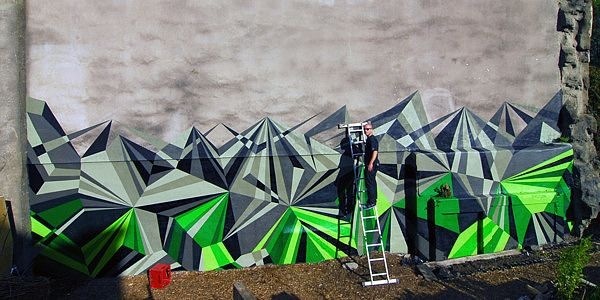 See more new graffiti art & wall murals from the world’s street artists on Mr Pilgrim’s google plus page. 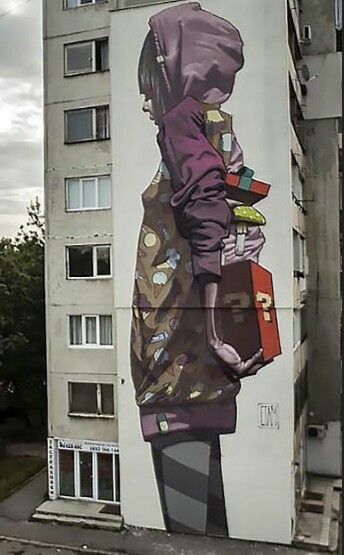 Check out previous posts here on Mr Pilgrim to see more featured urban artists and great street art from around the world. 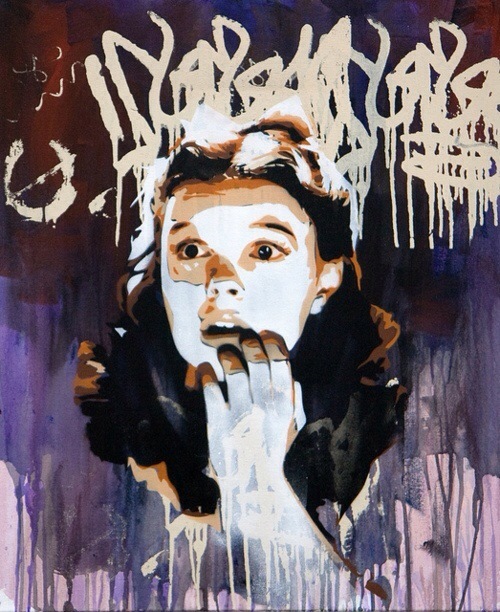 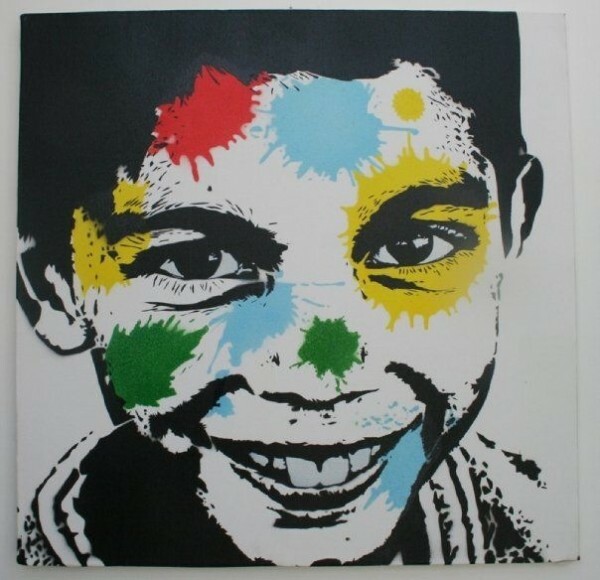 Original canvas wall art from Mr Pilgrim graffiti artist, see his latest graffiti art for sale & original paintings in his buy art online shop!